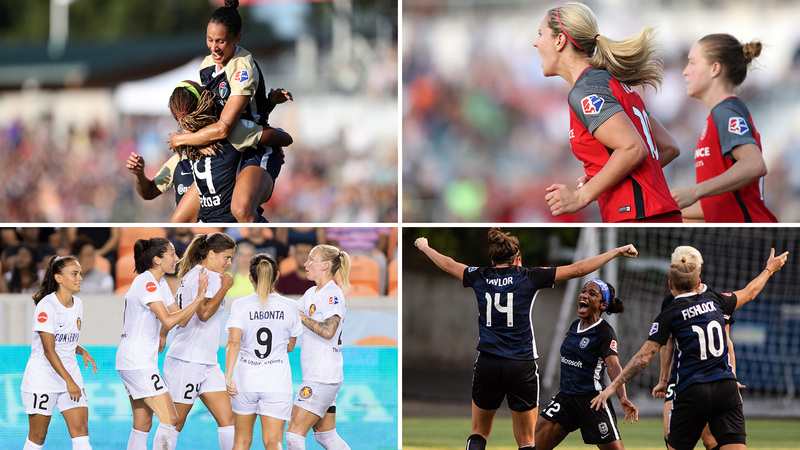 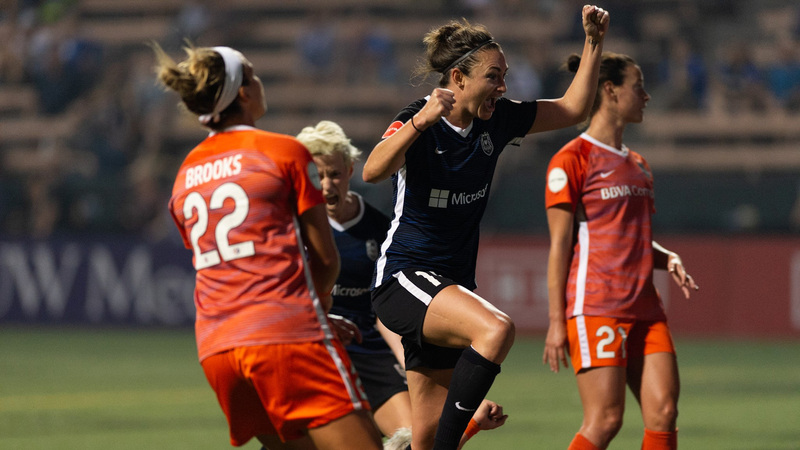 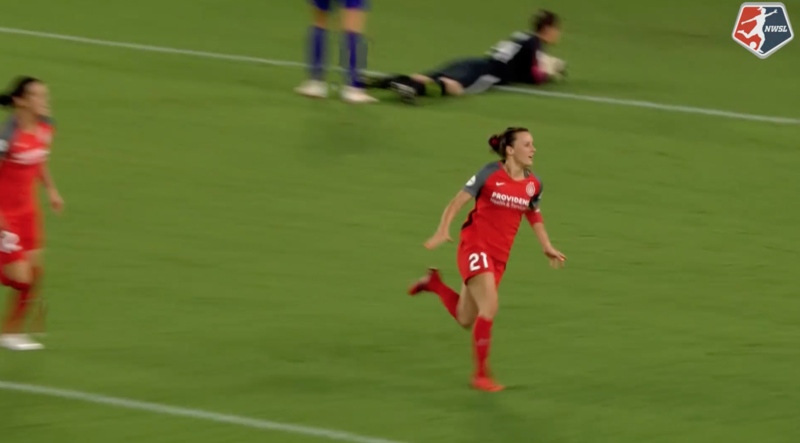 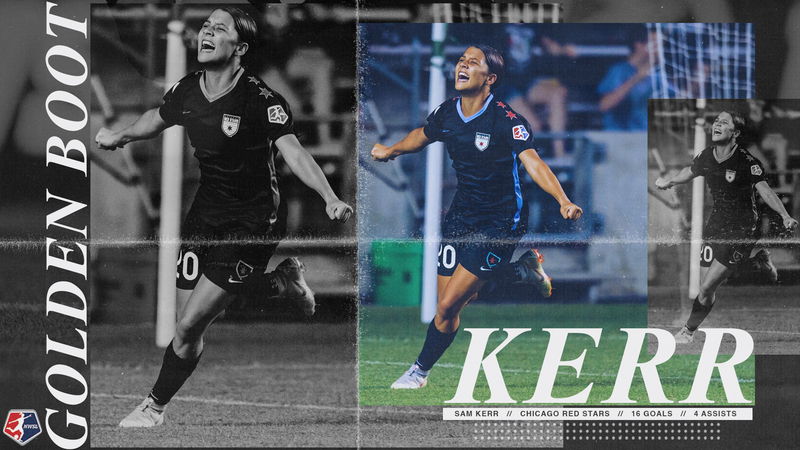 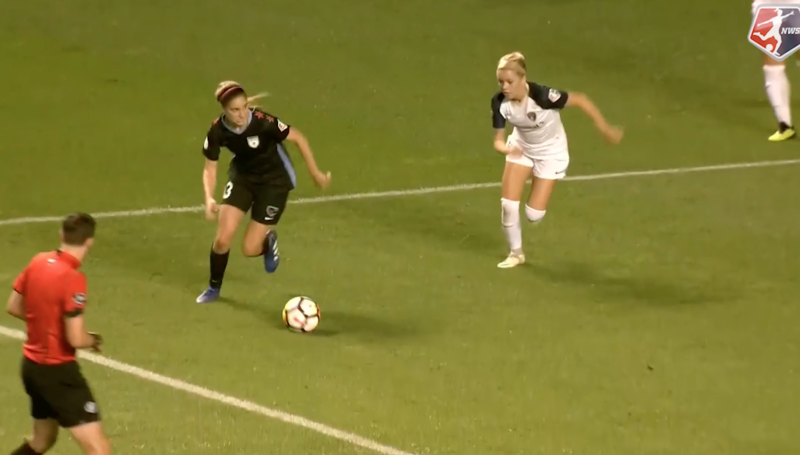 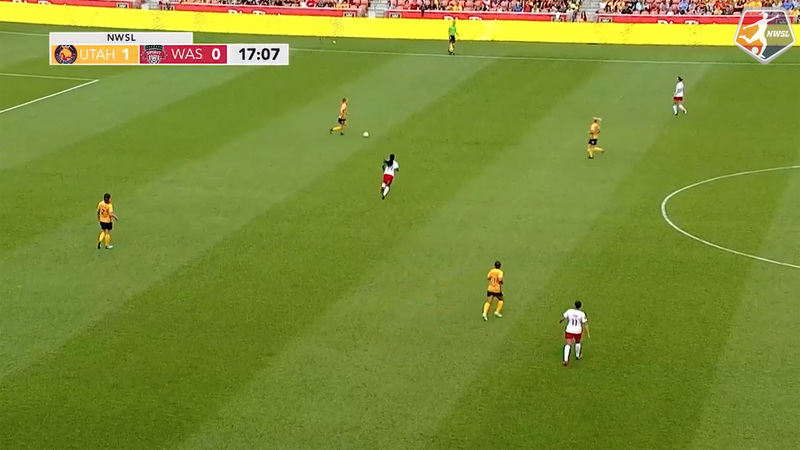 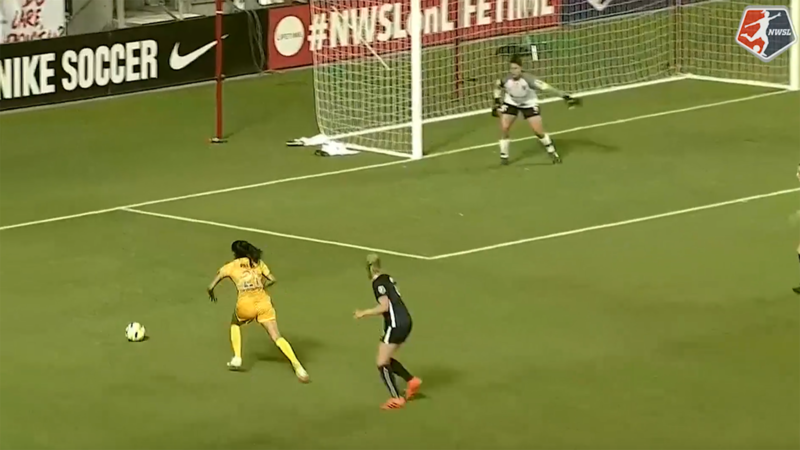 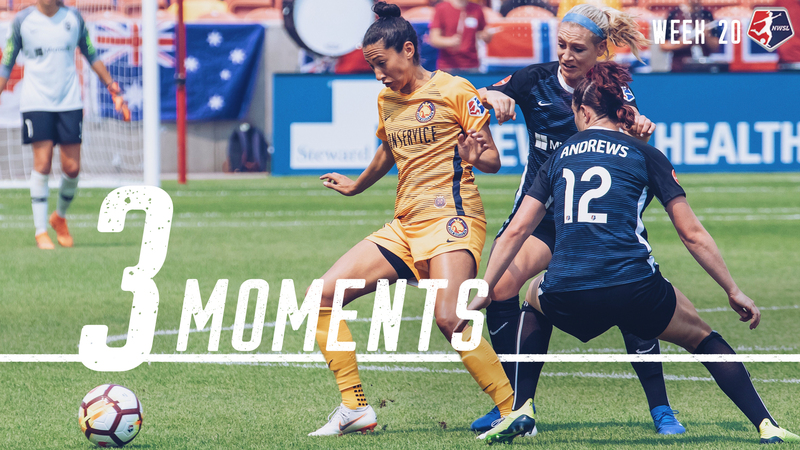 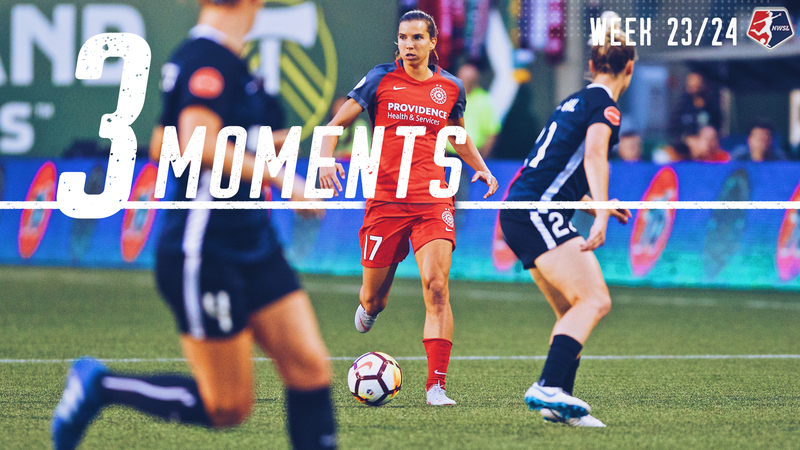 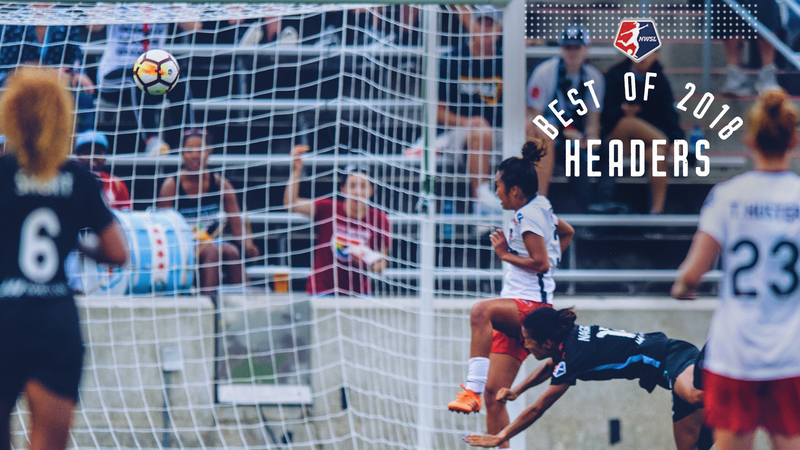 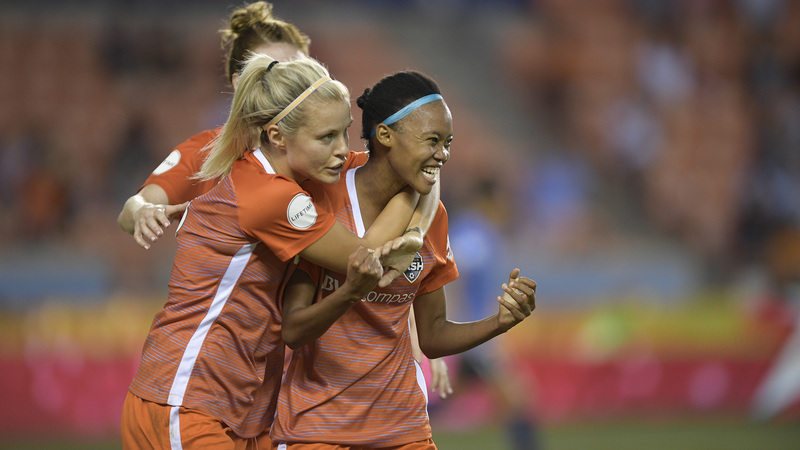 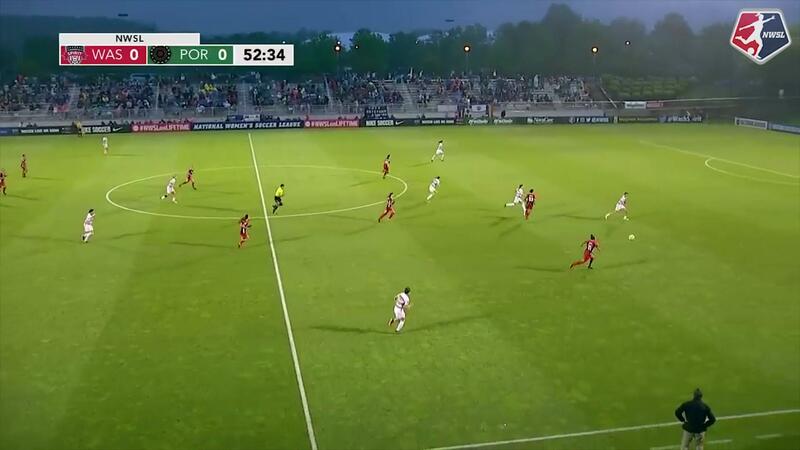 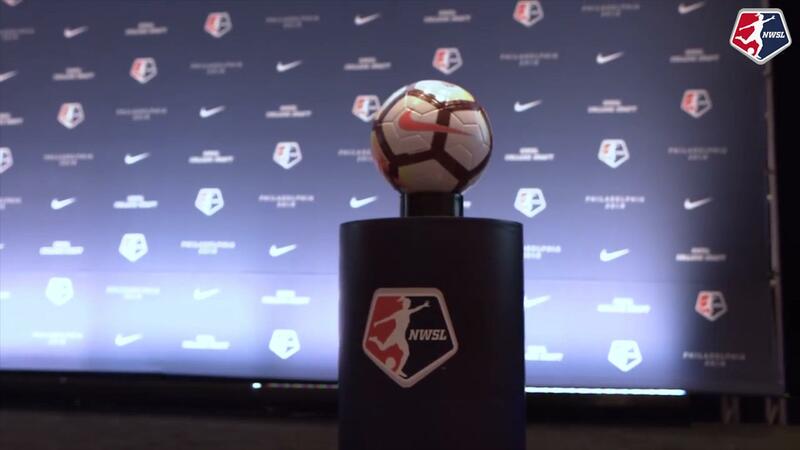 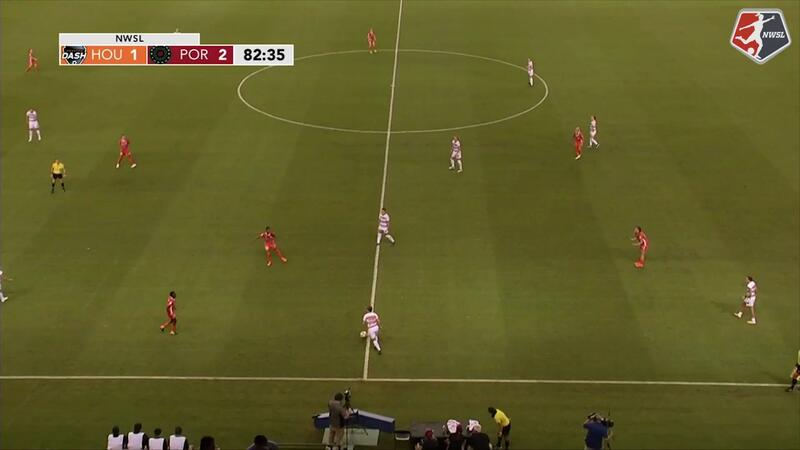 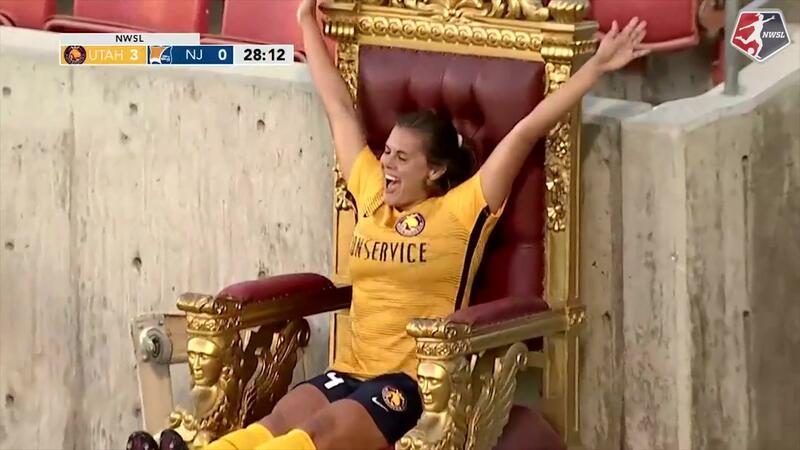 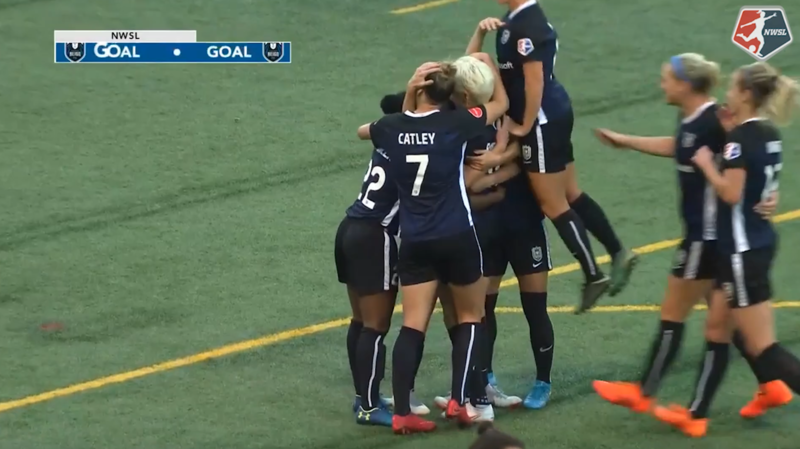 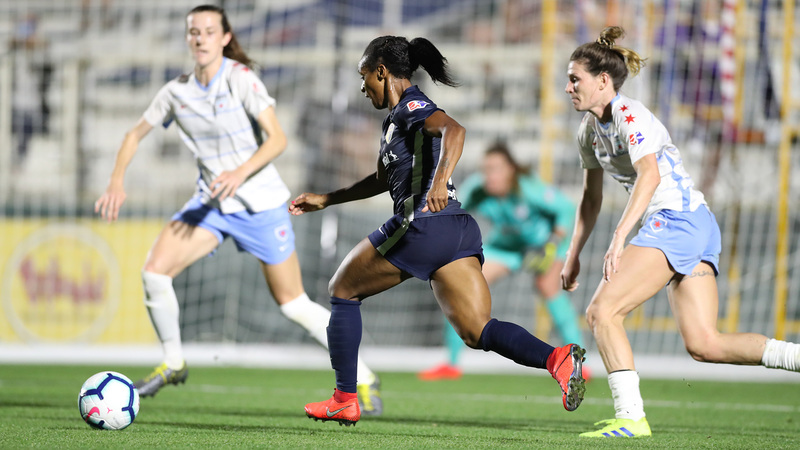 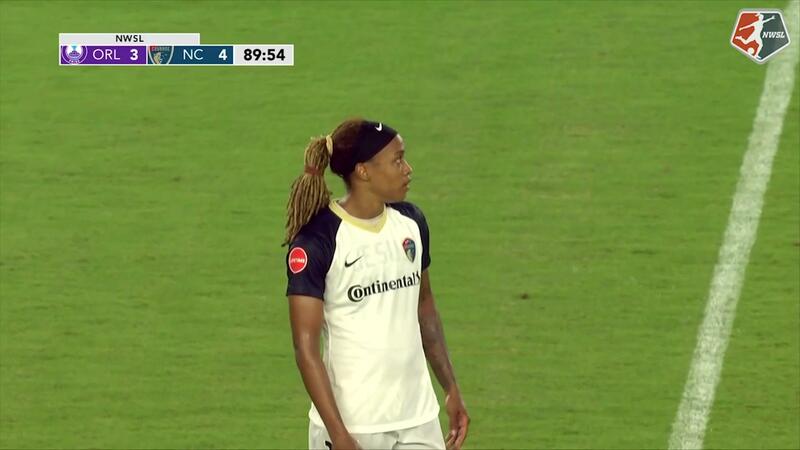 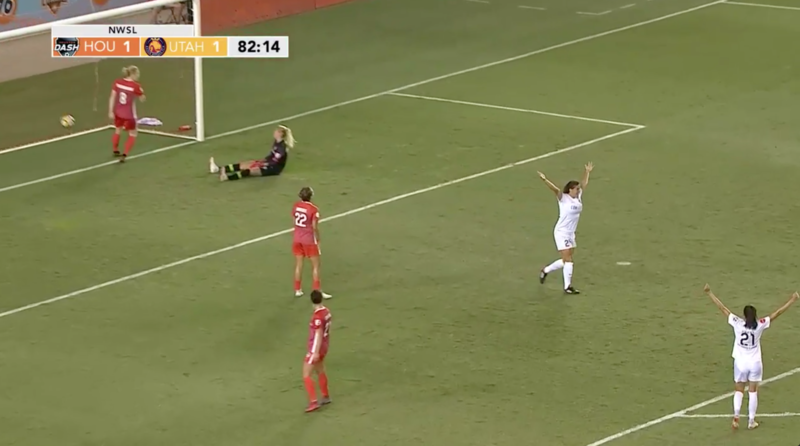 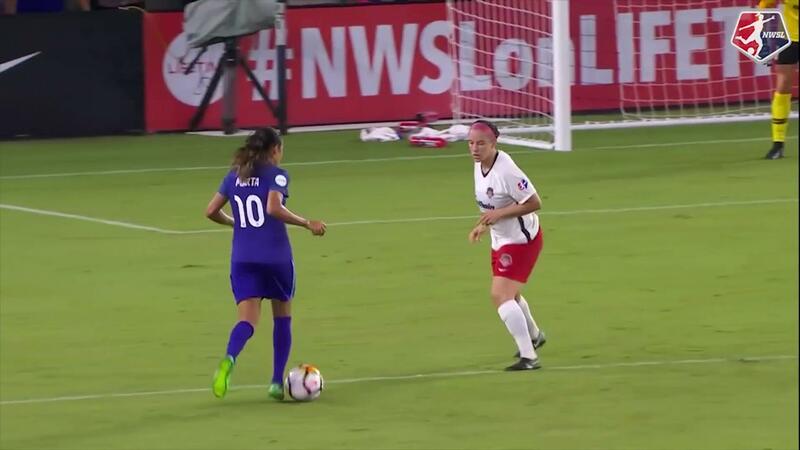 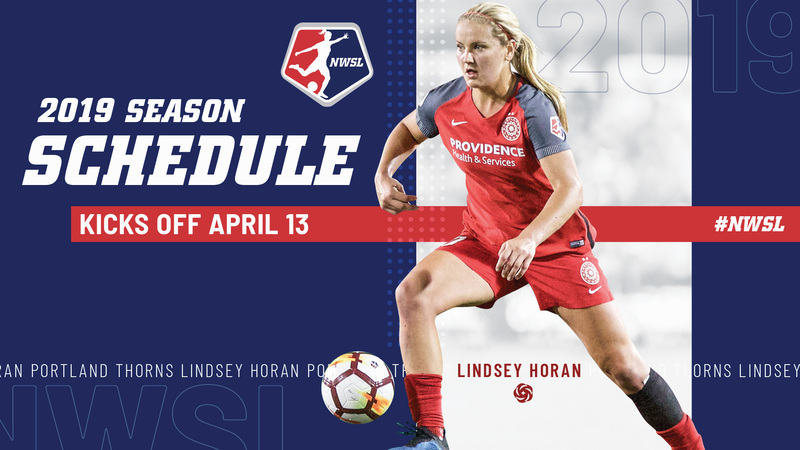 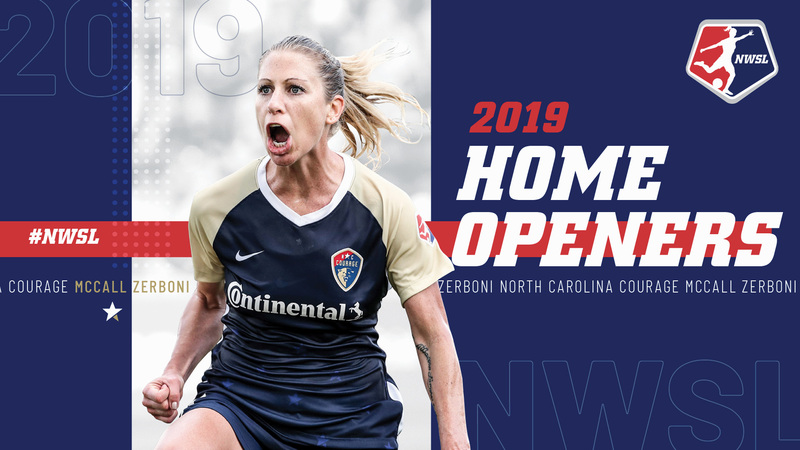 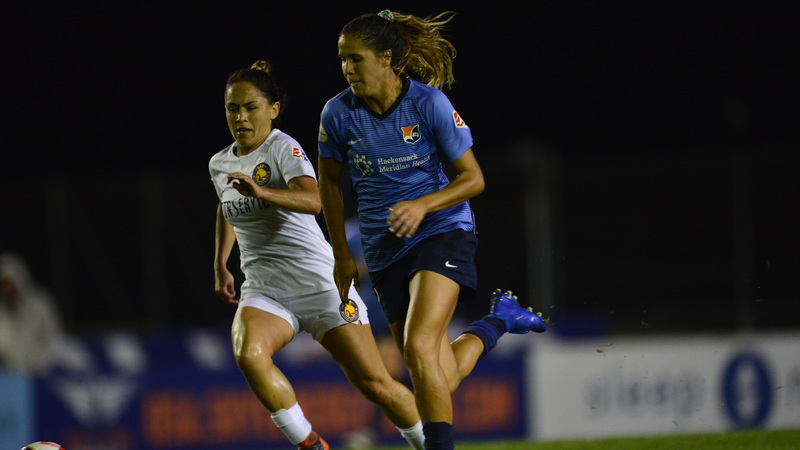 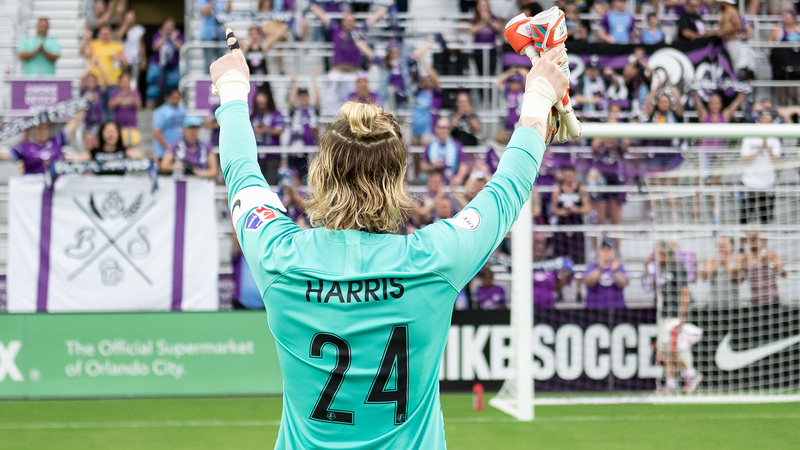 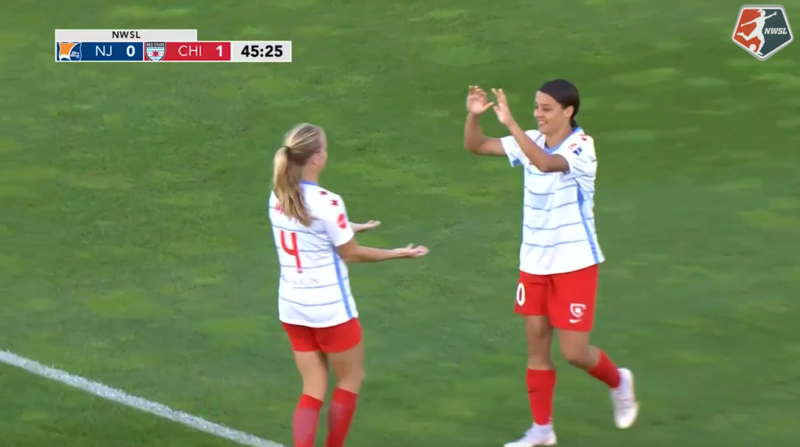 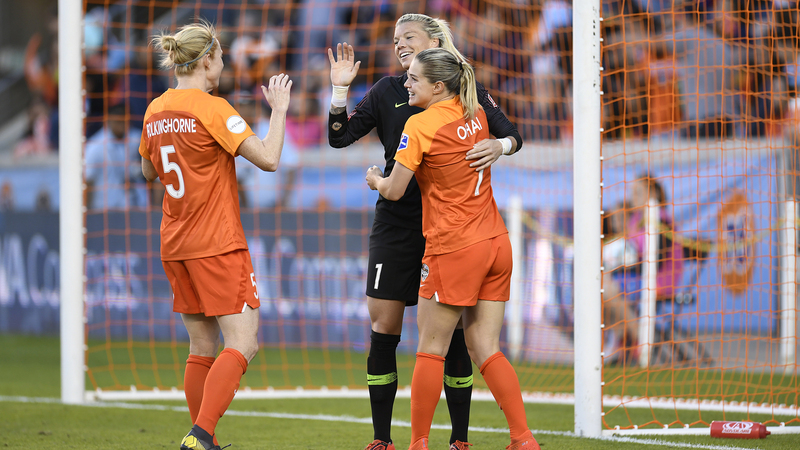 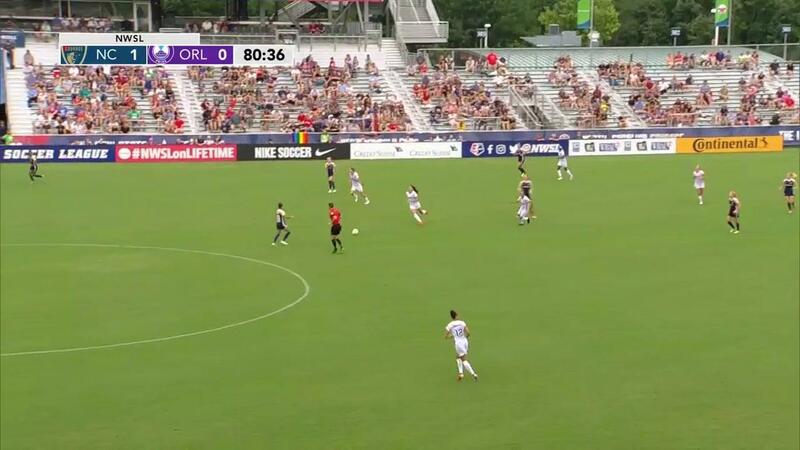 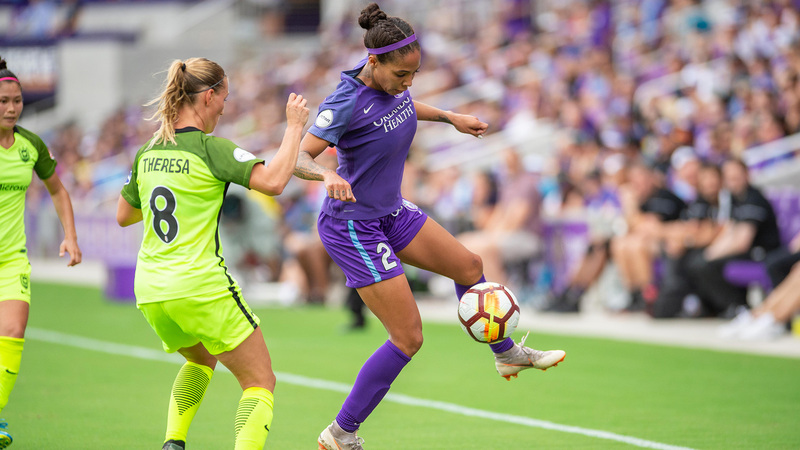 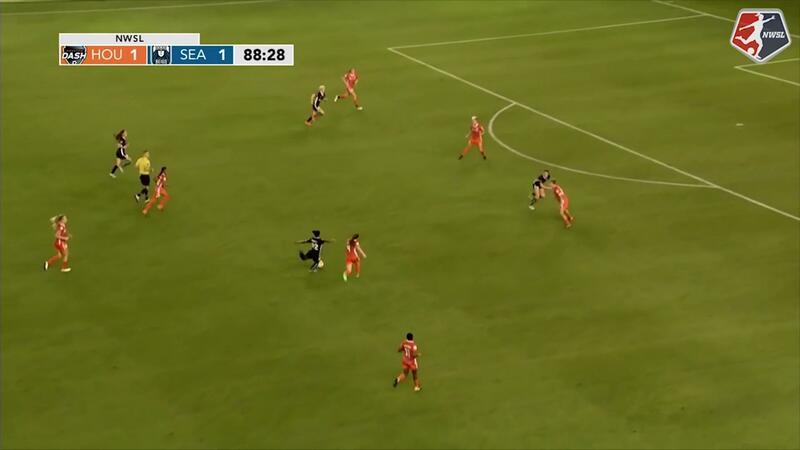 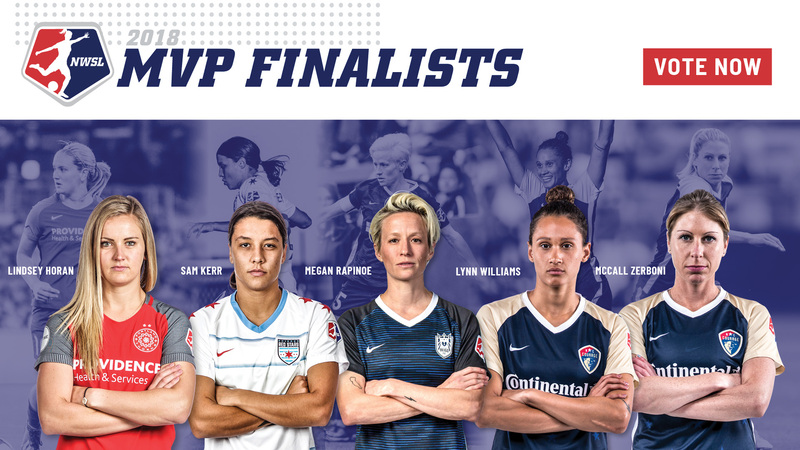 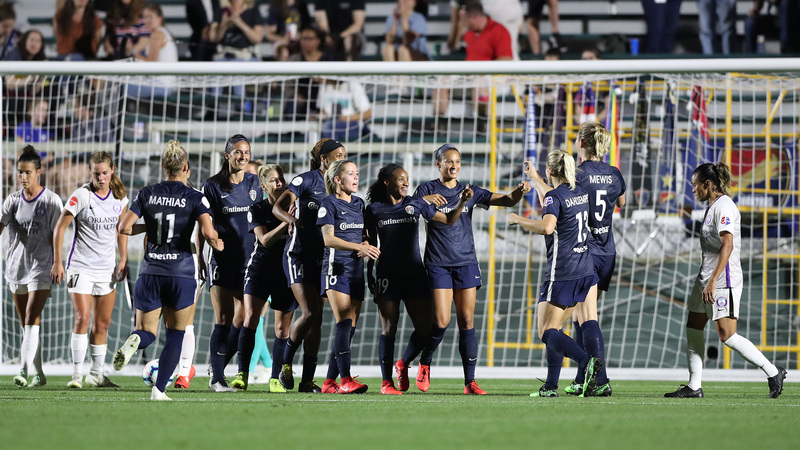 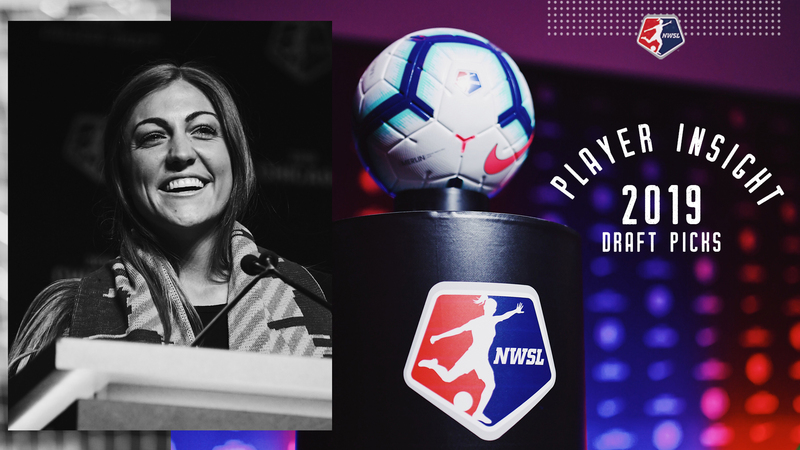 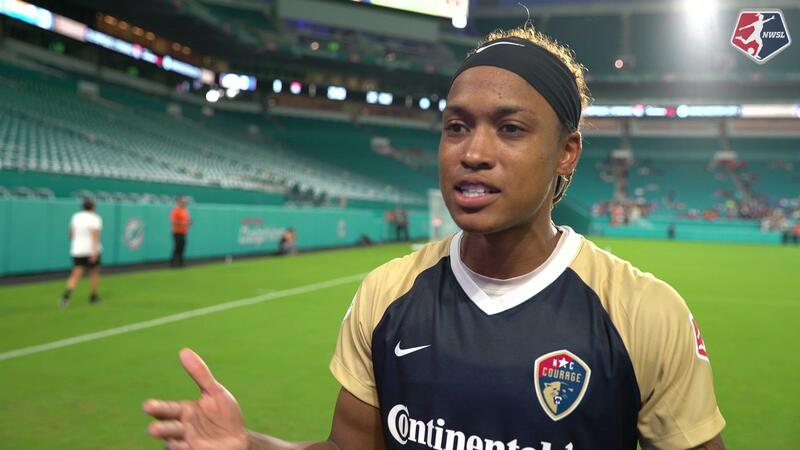 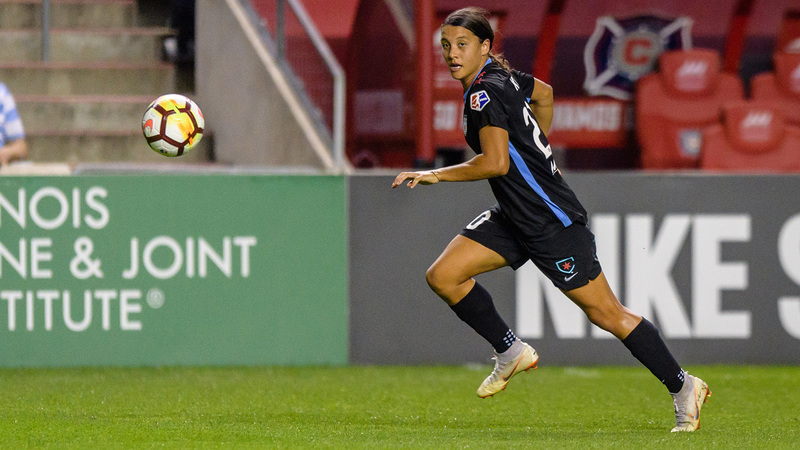 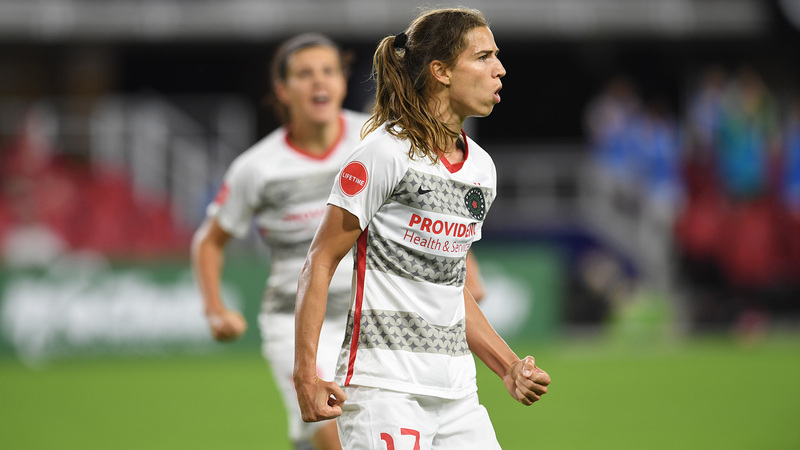 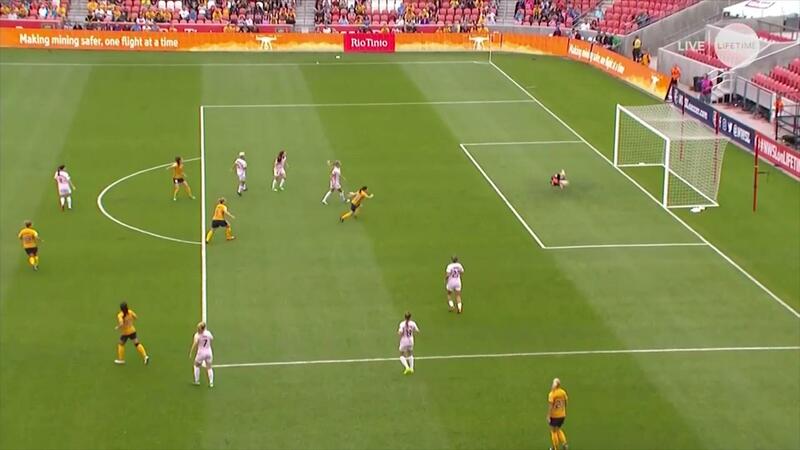 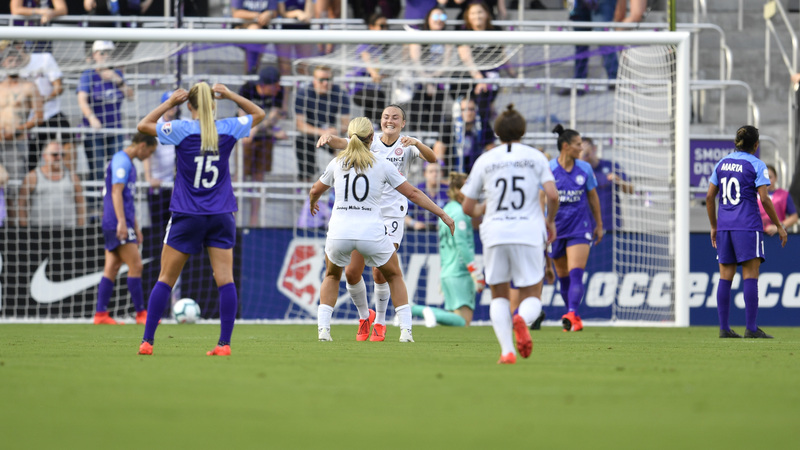 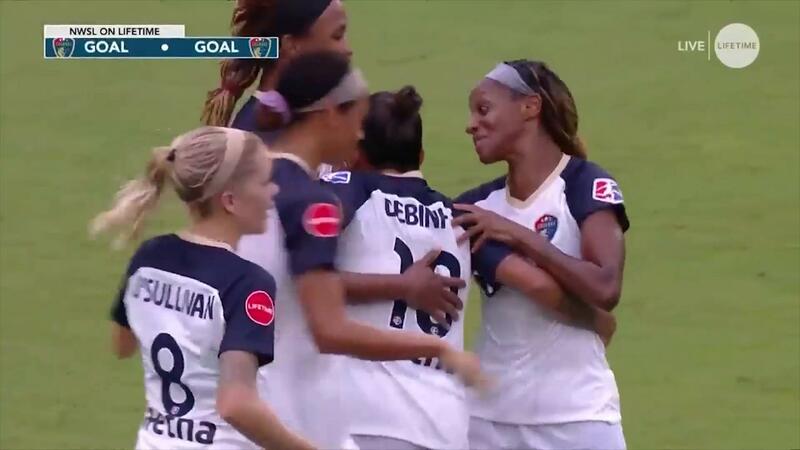 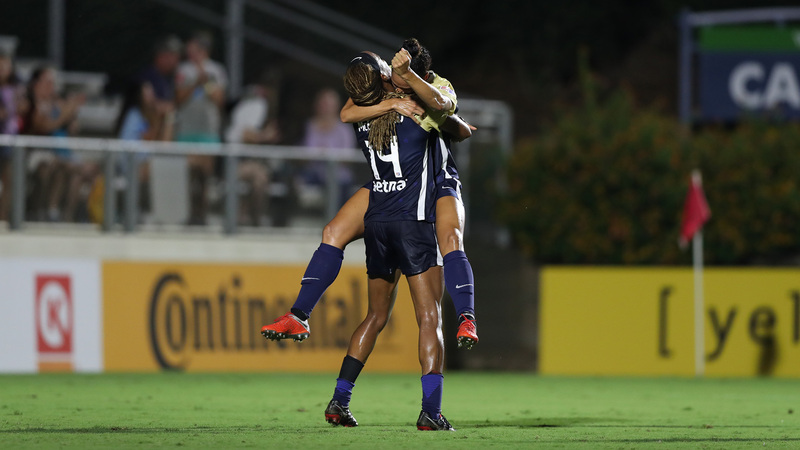 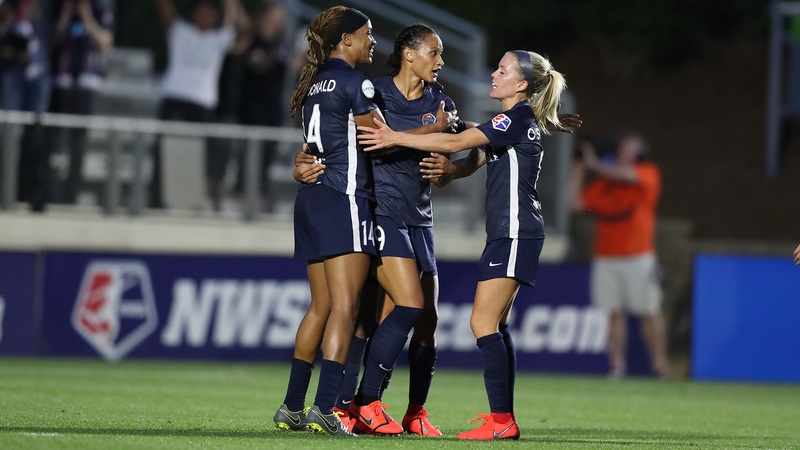 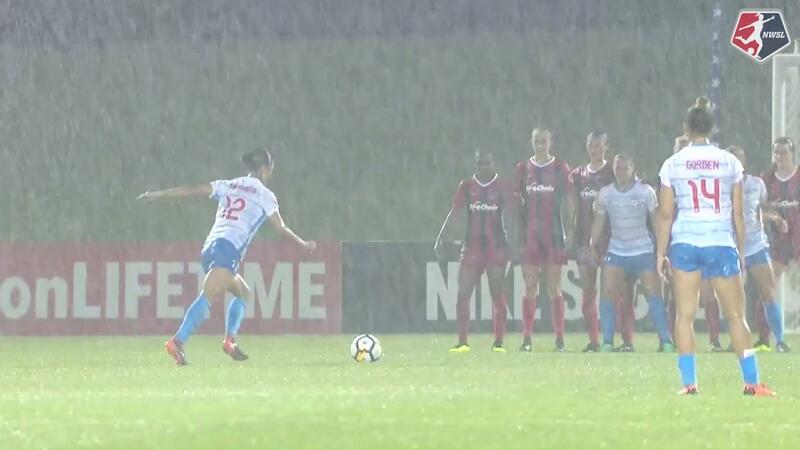 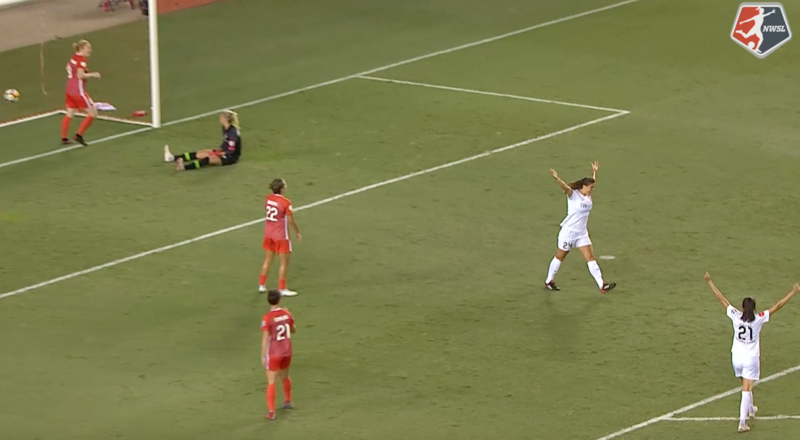 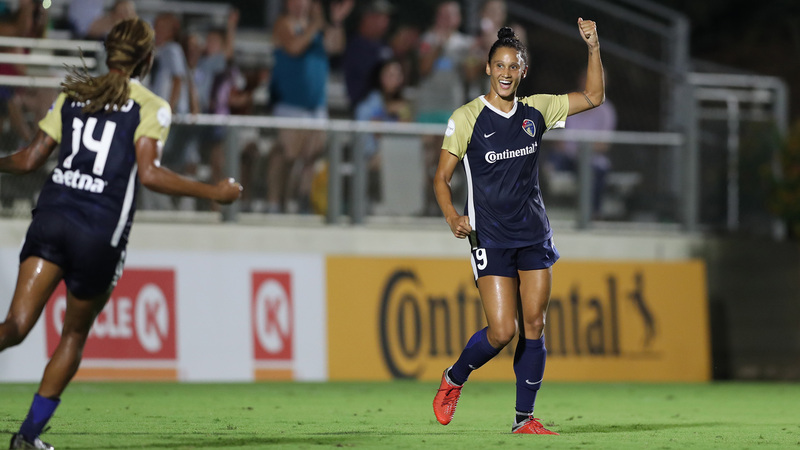 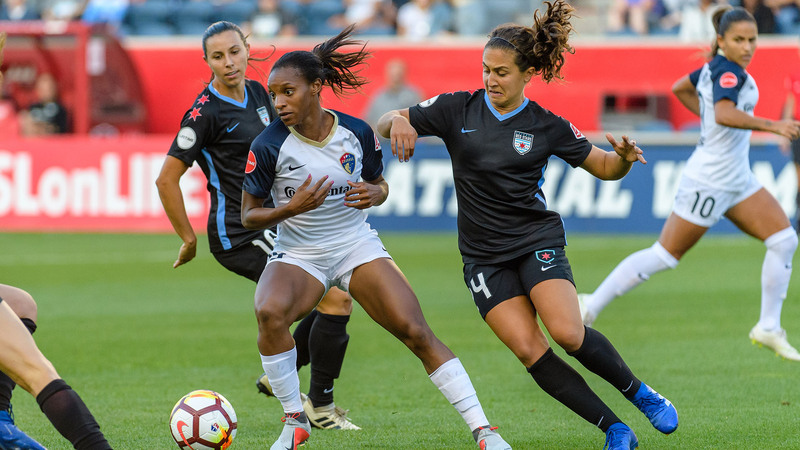 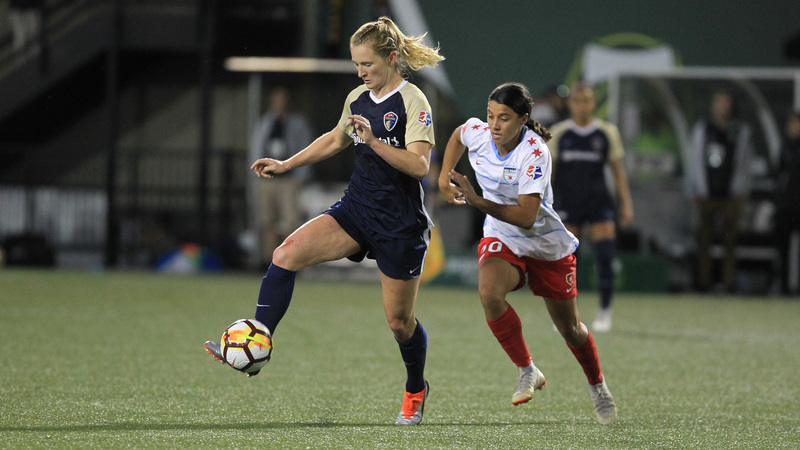 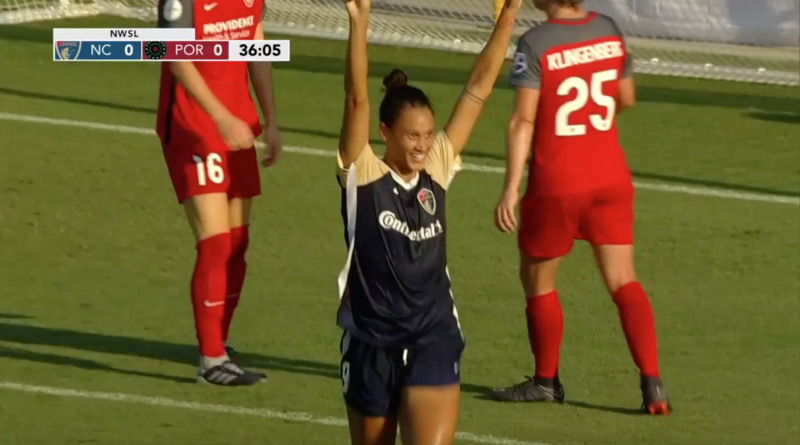 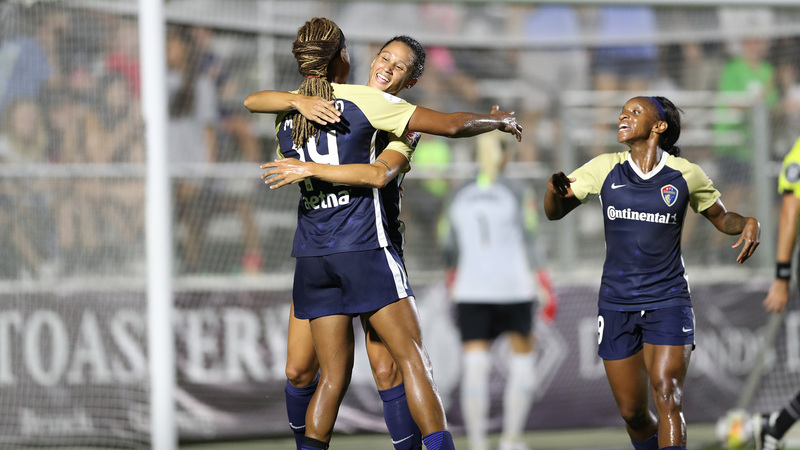 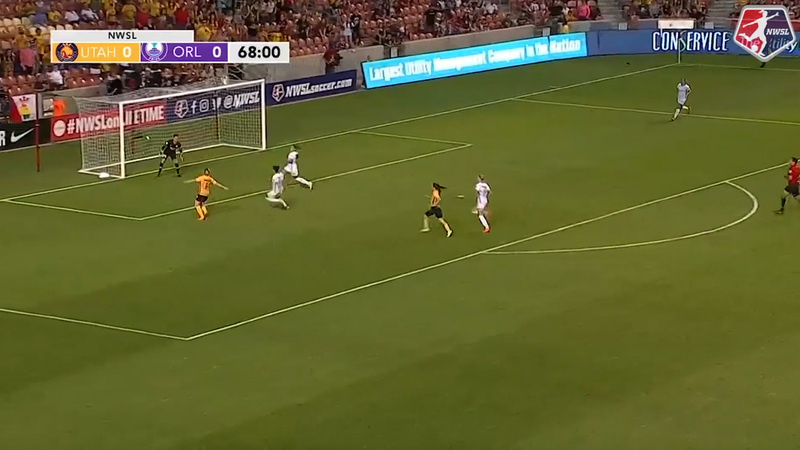 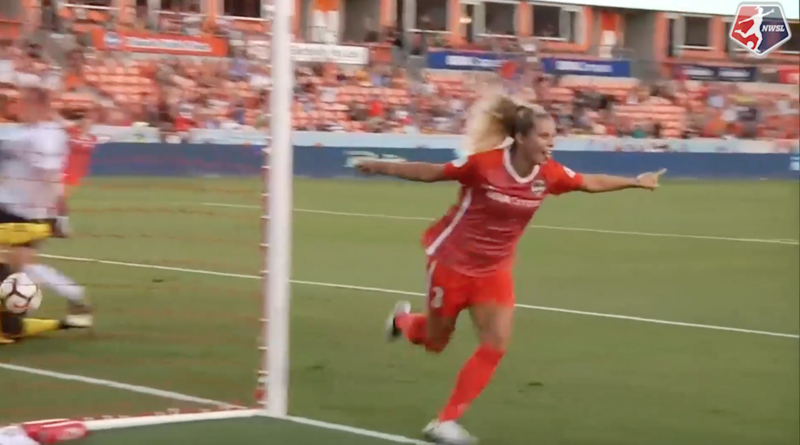 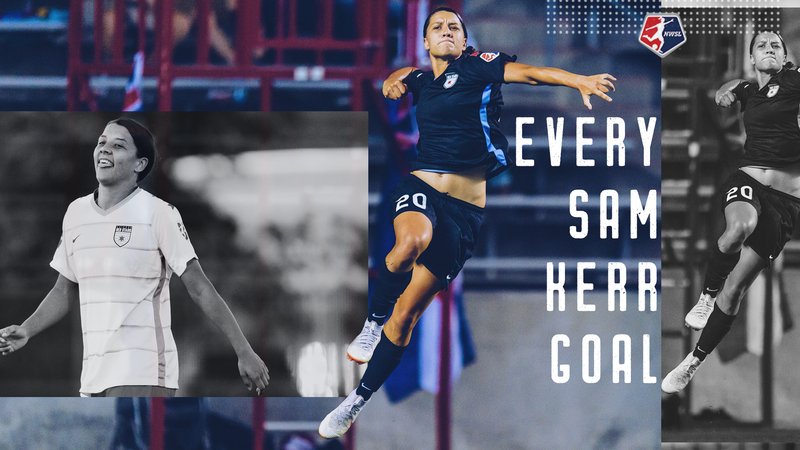 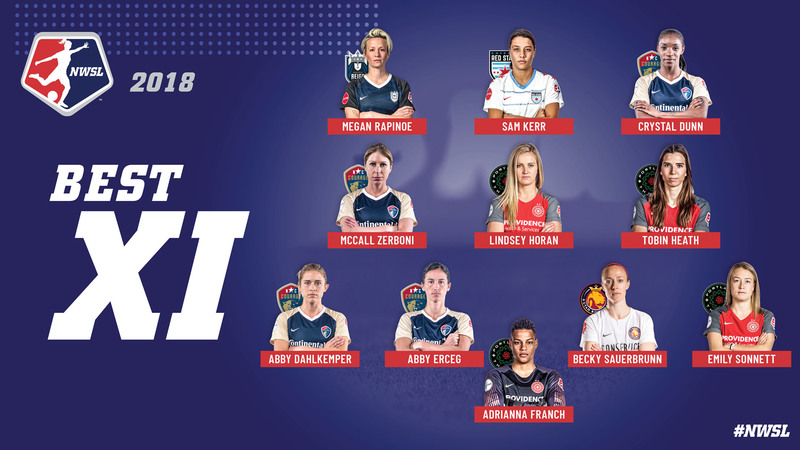 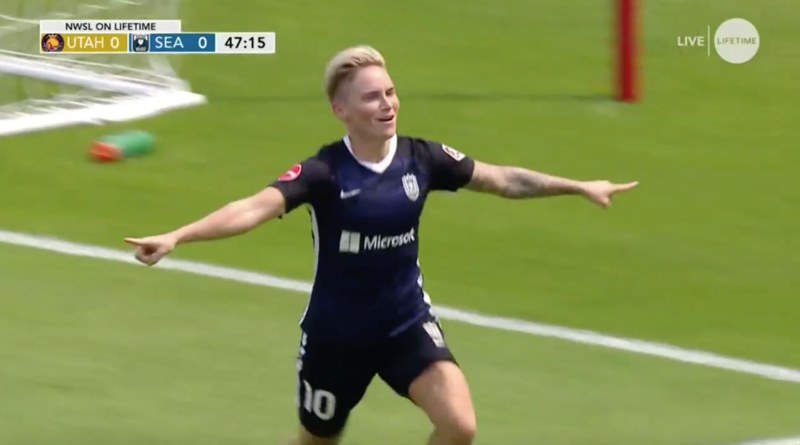 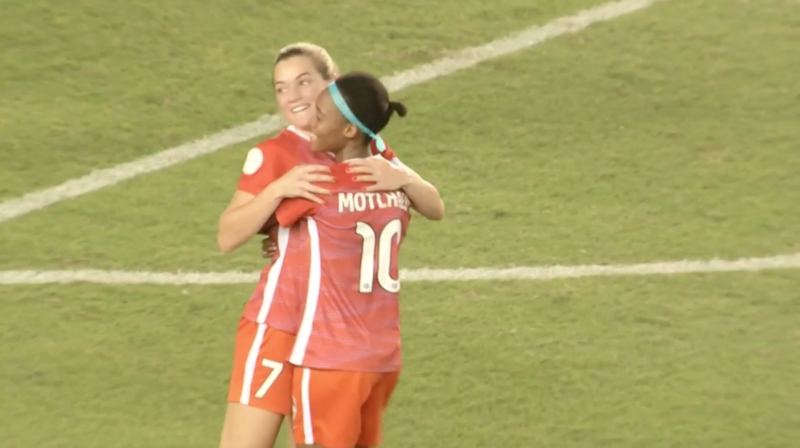 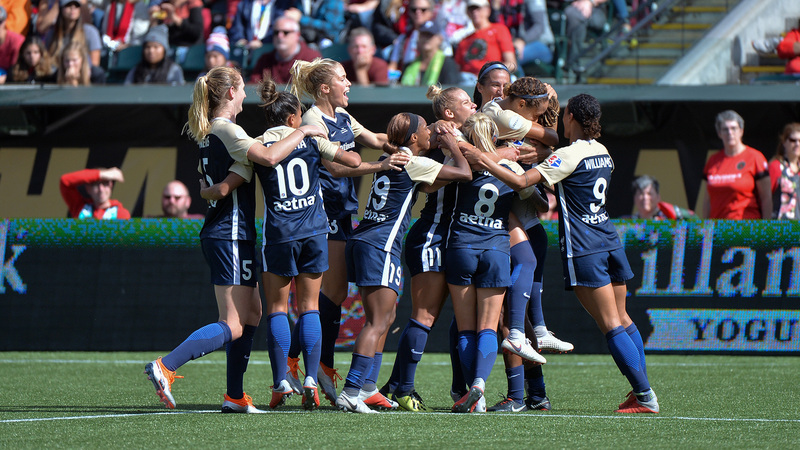 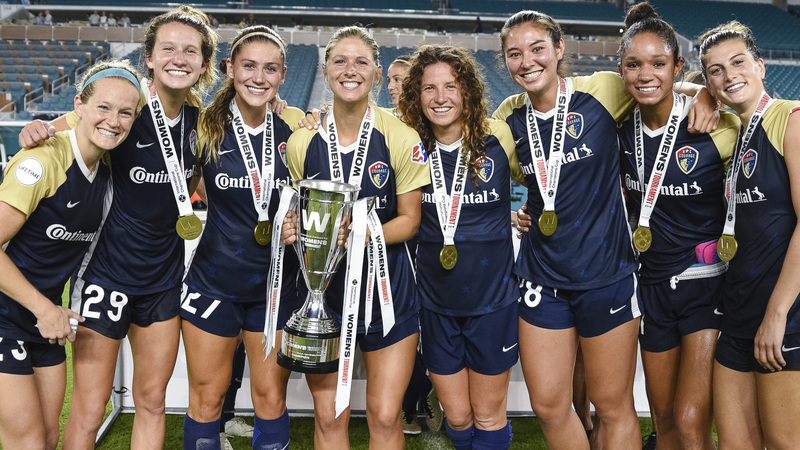 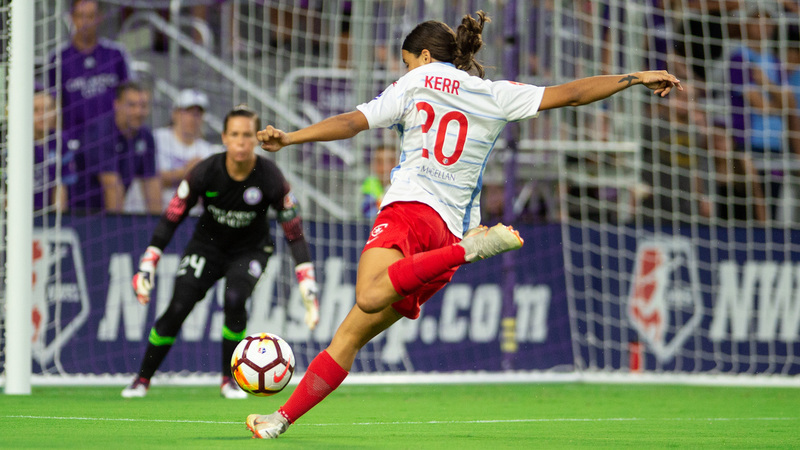 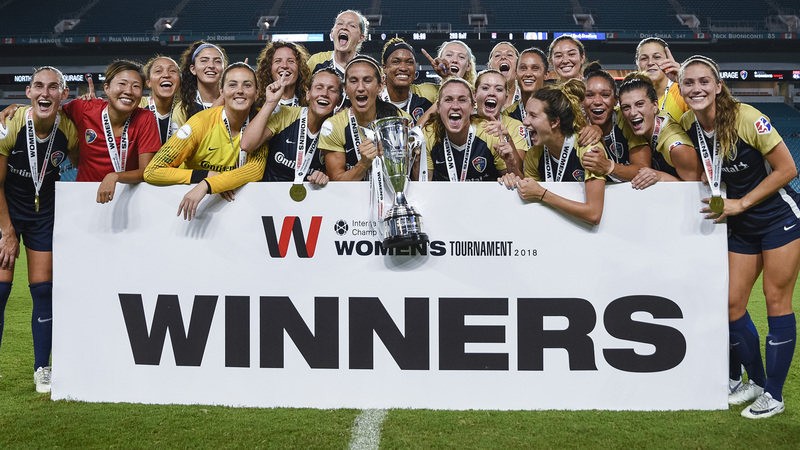 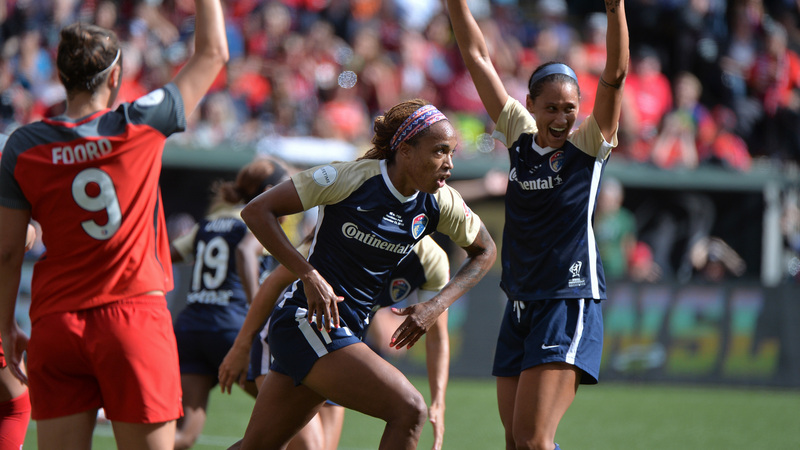 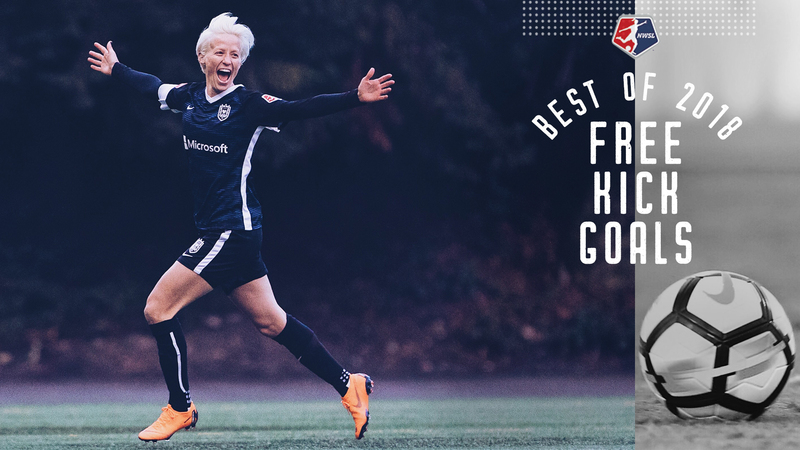 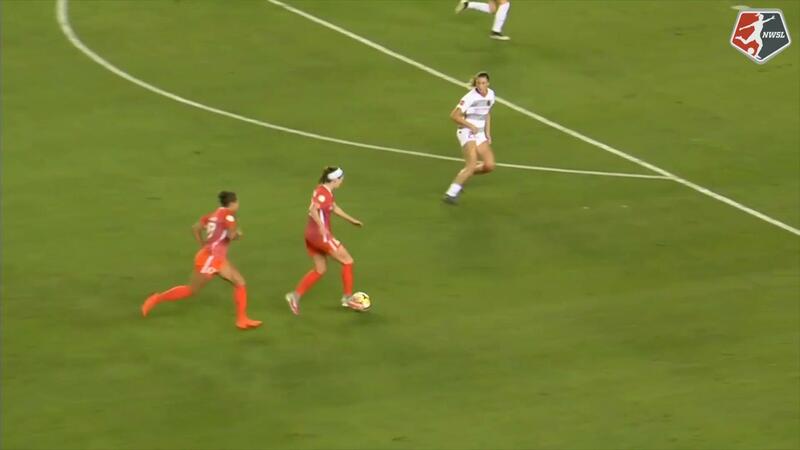 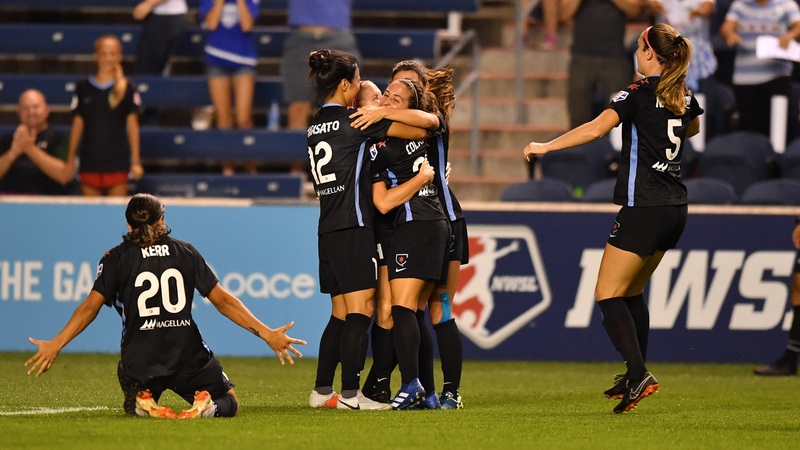 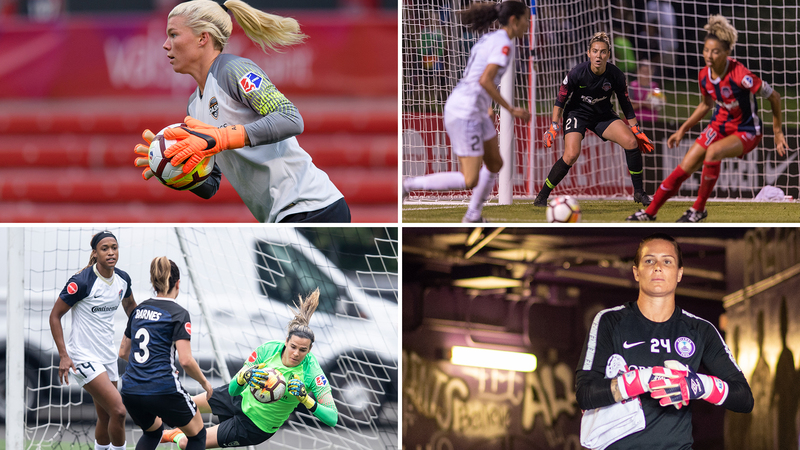 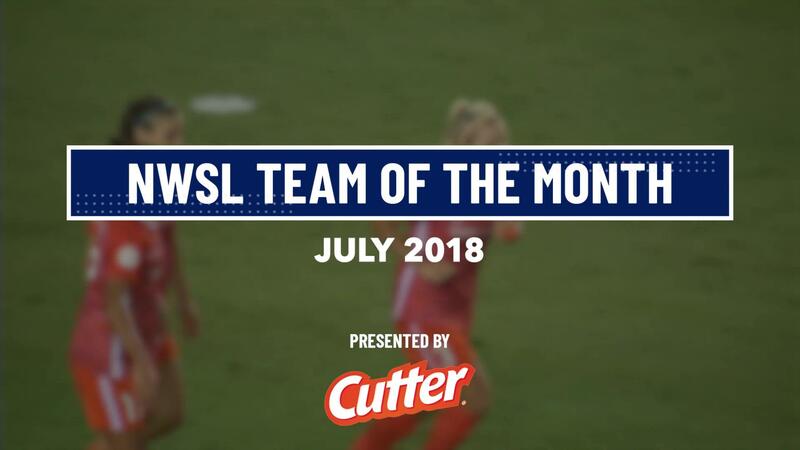 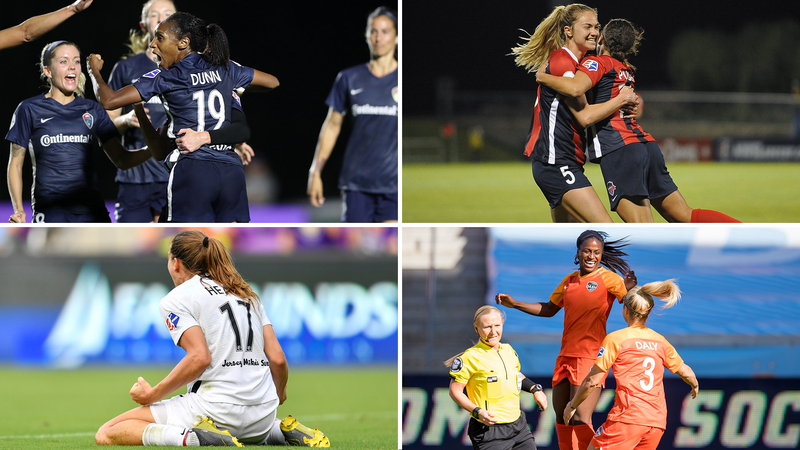 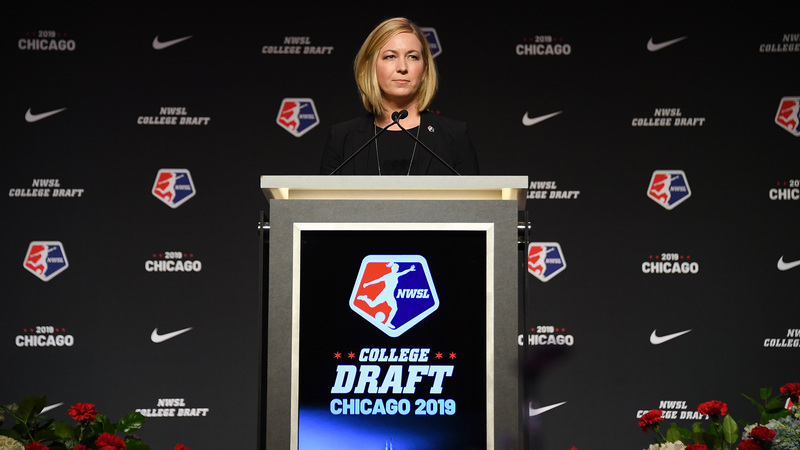 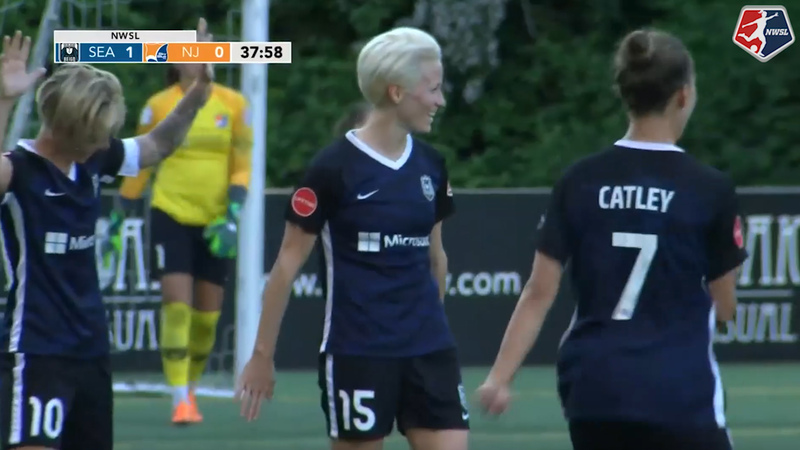 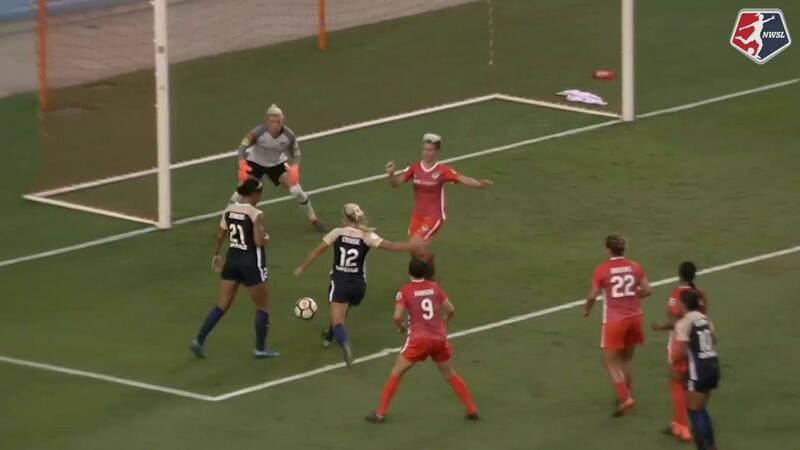 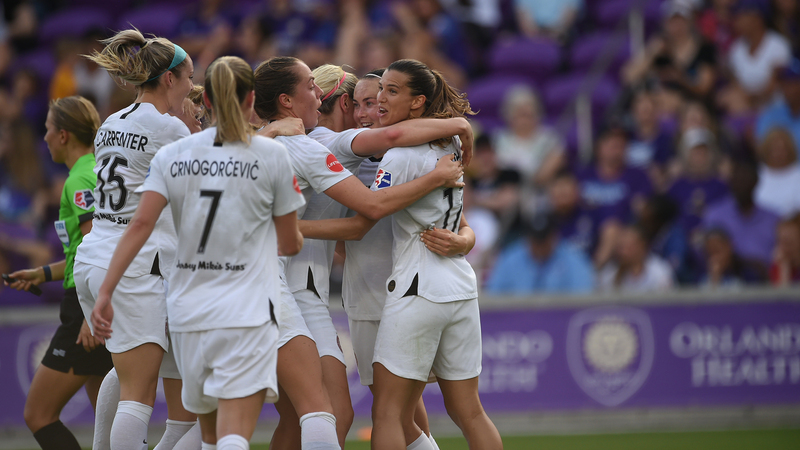 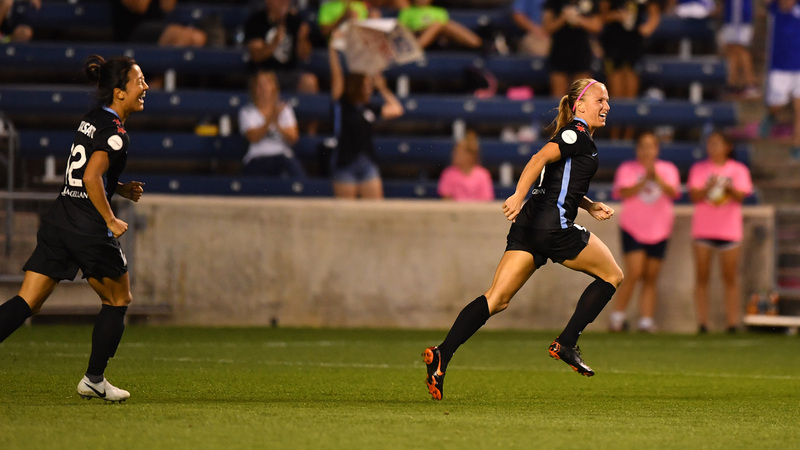 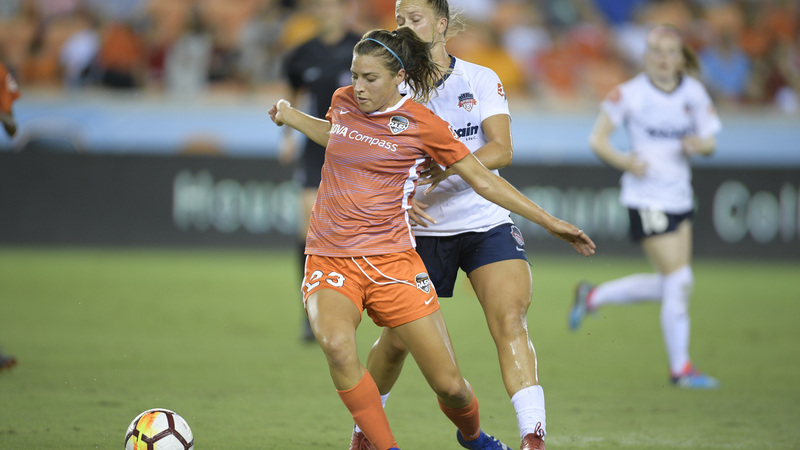 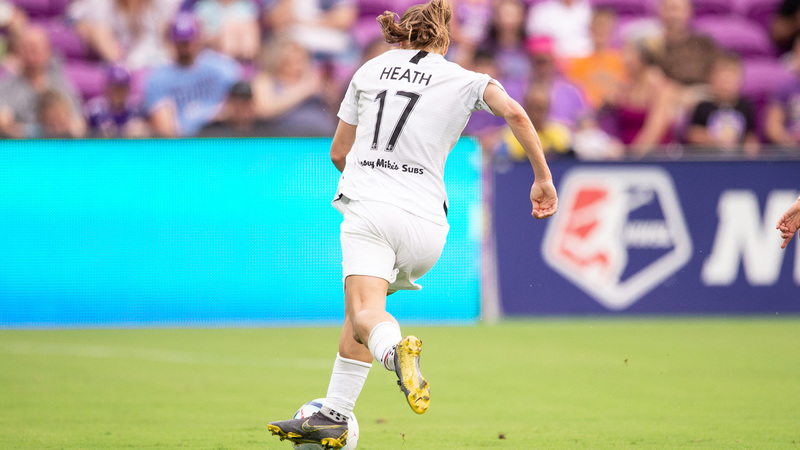 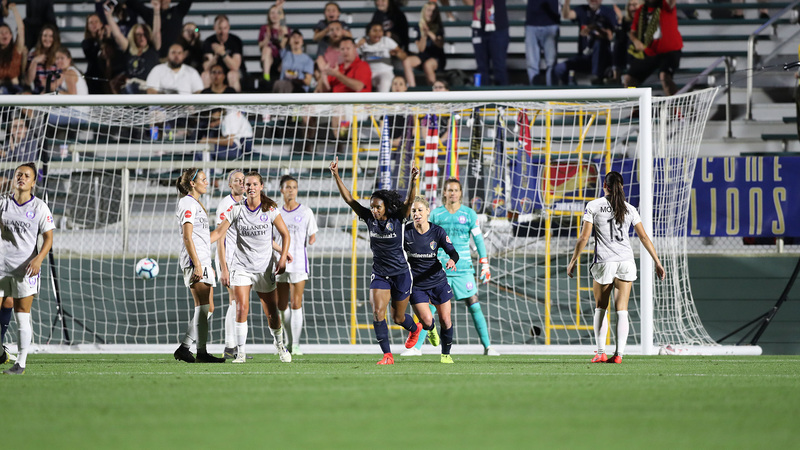 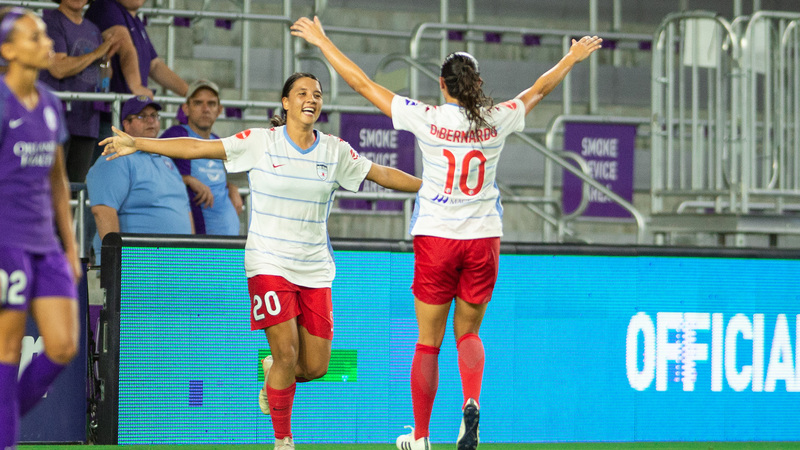 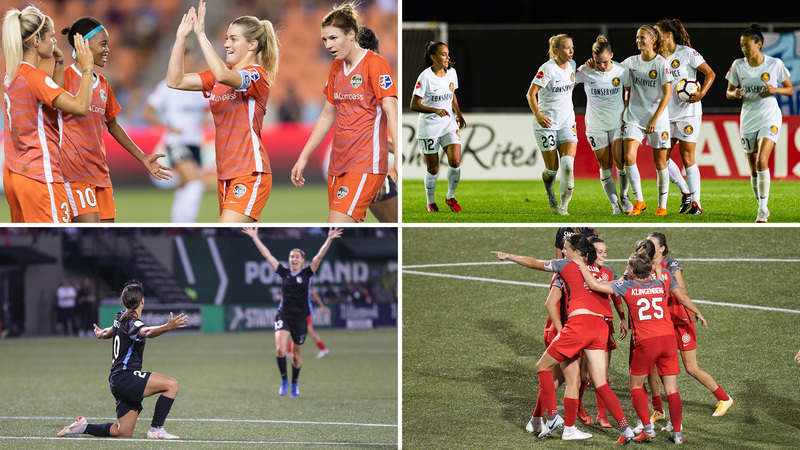 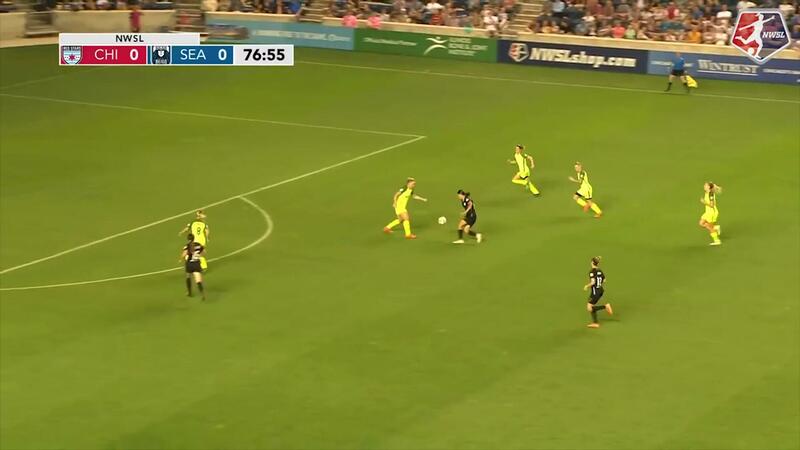 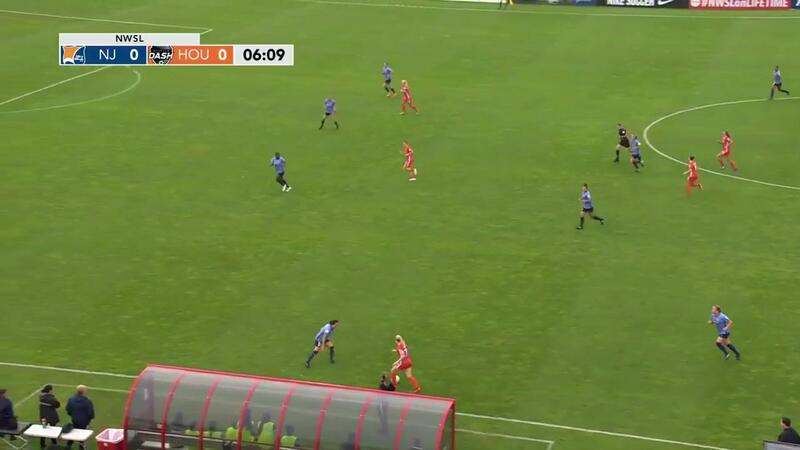 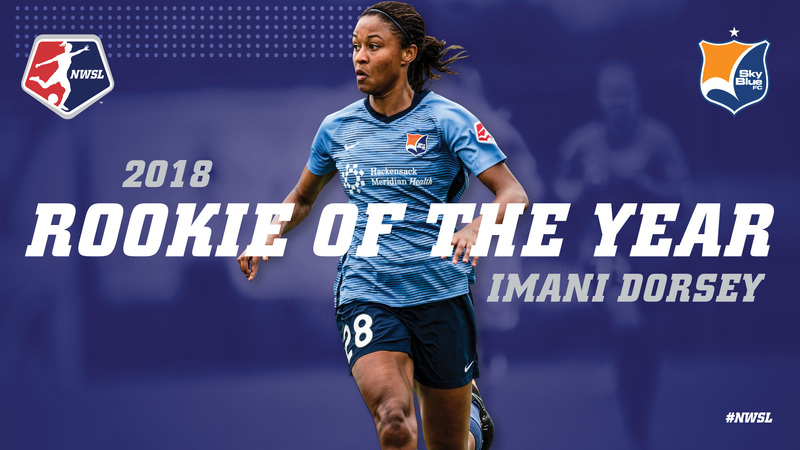 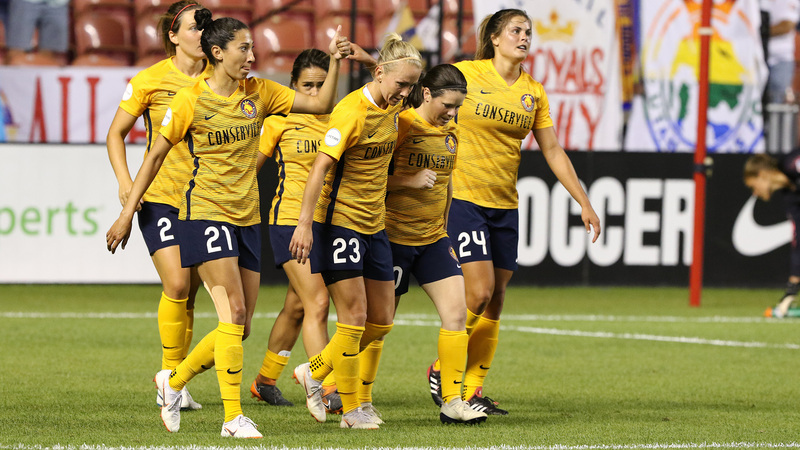 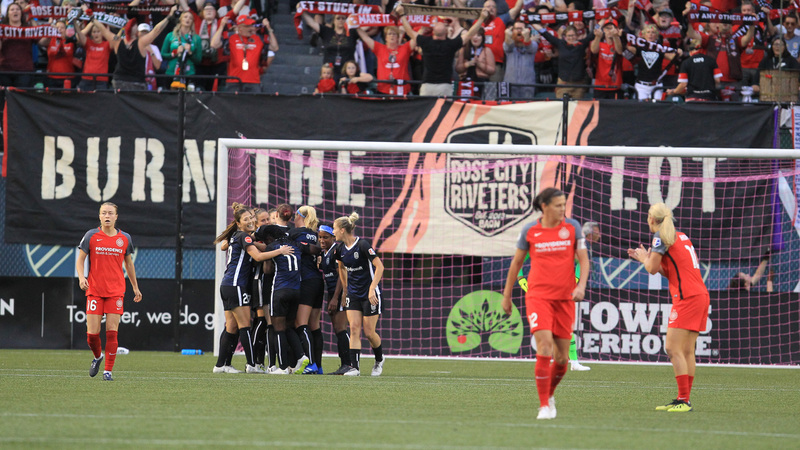 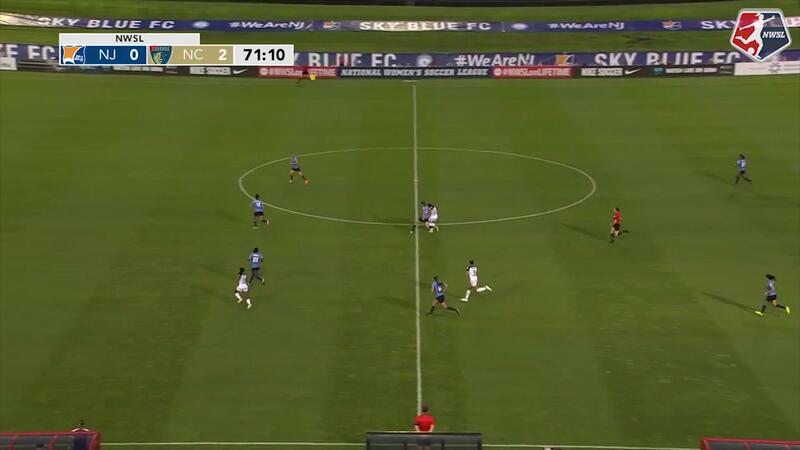 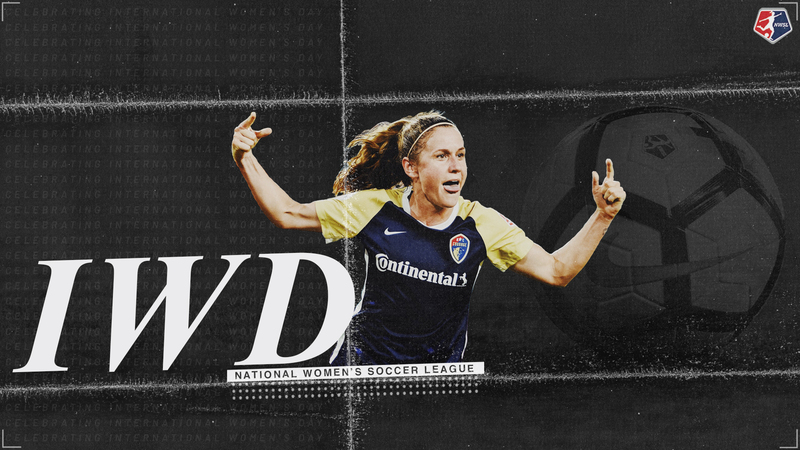 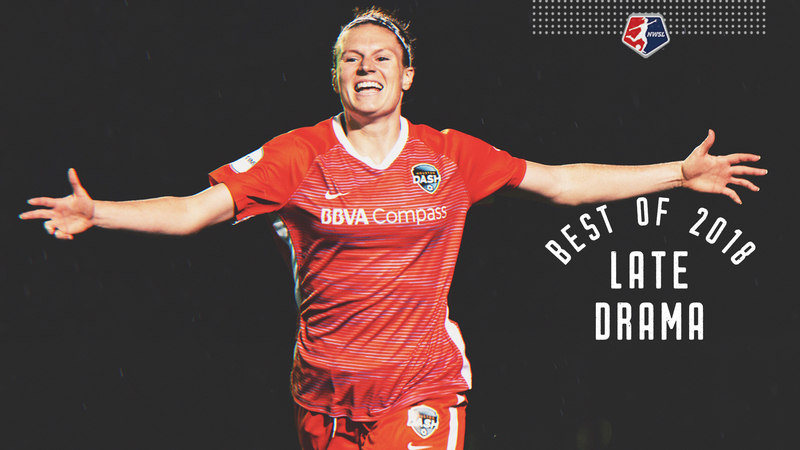 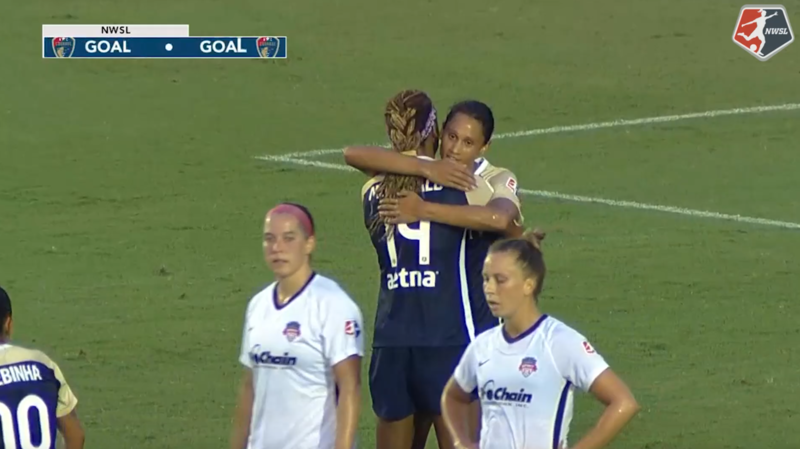 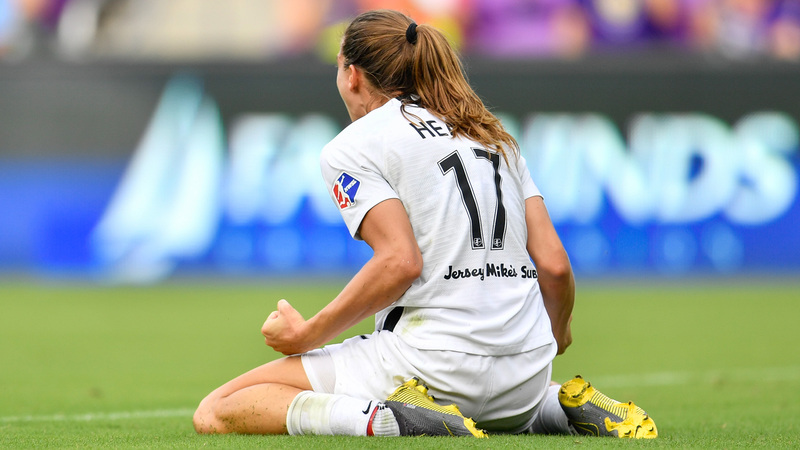 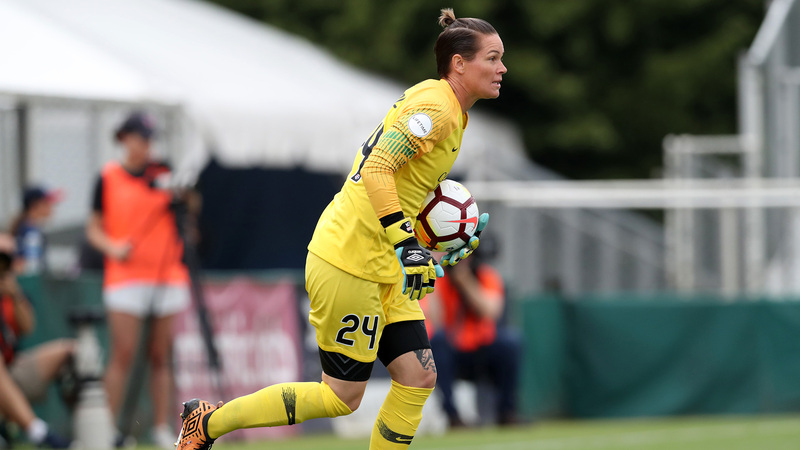 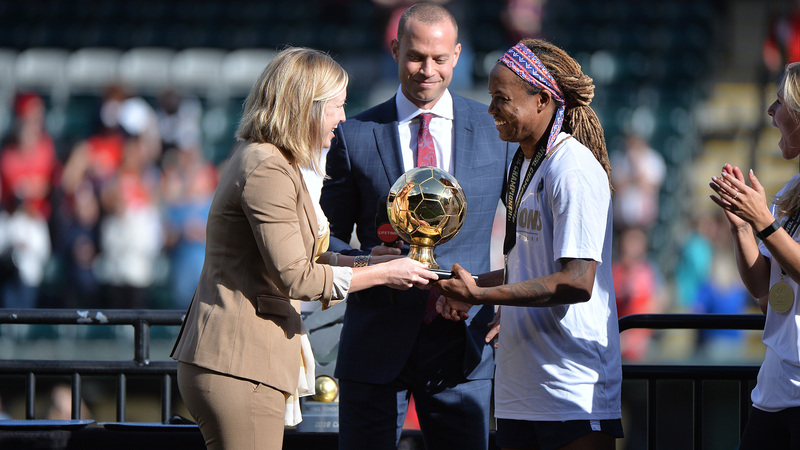 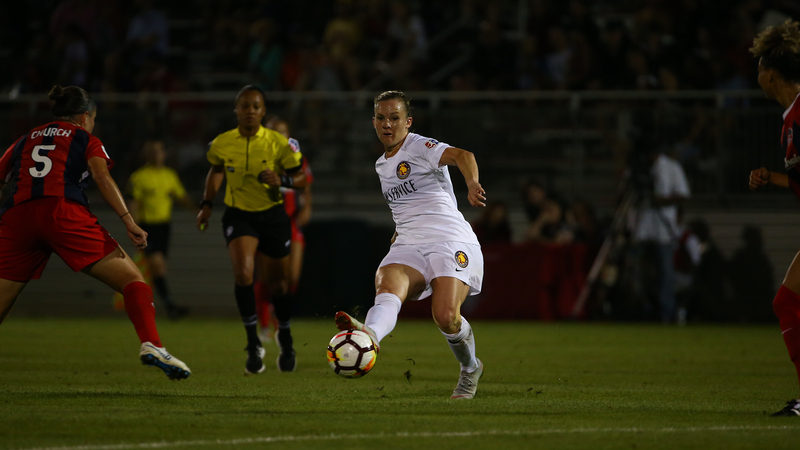 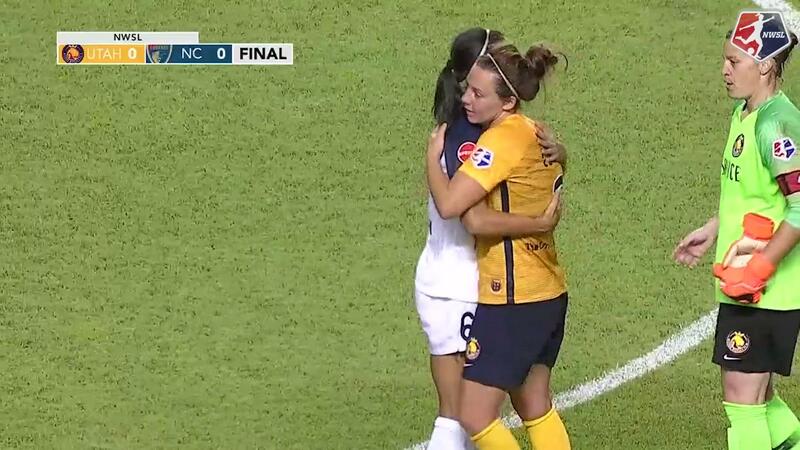 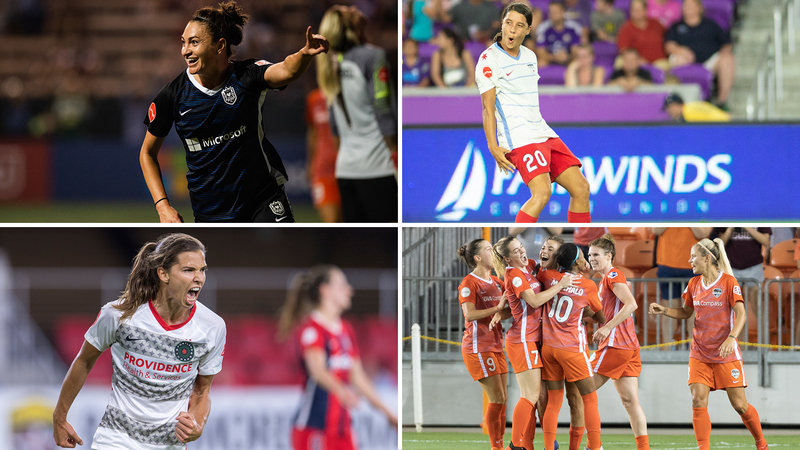 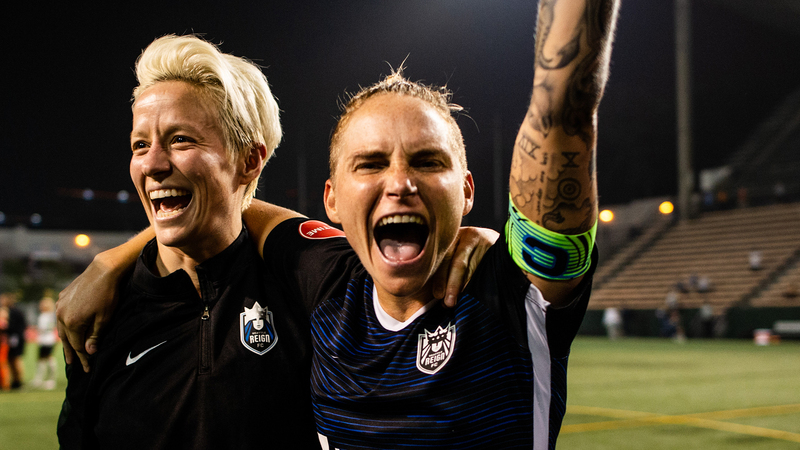 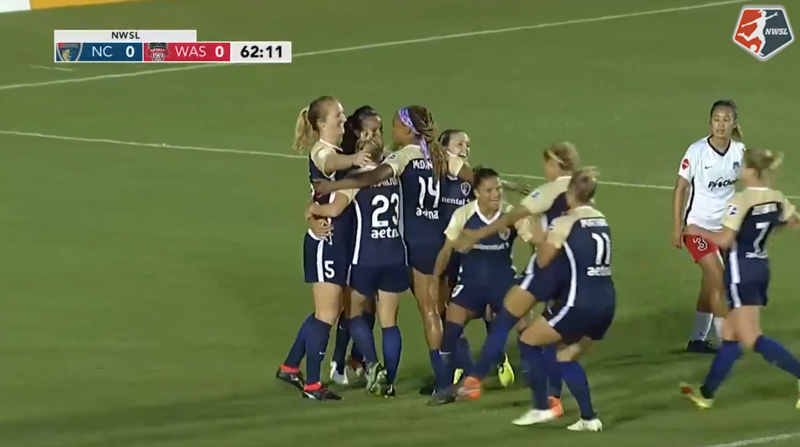 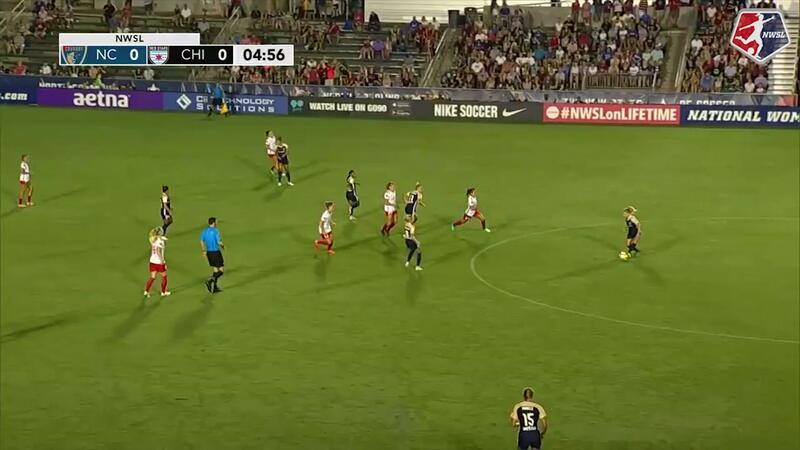 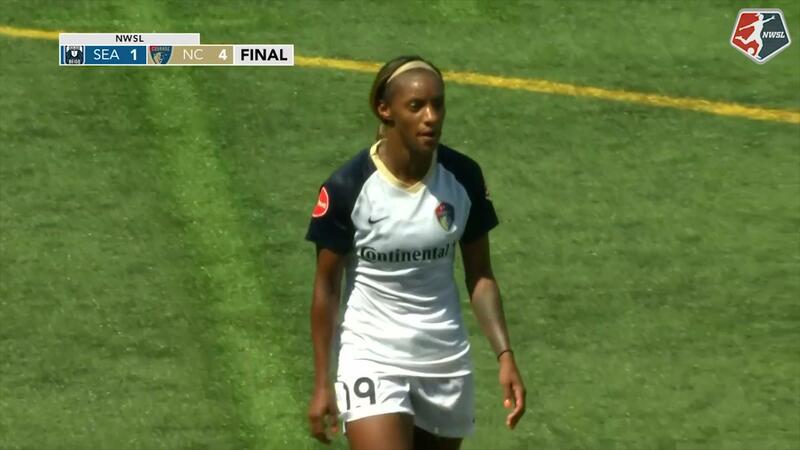 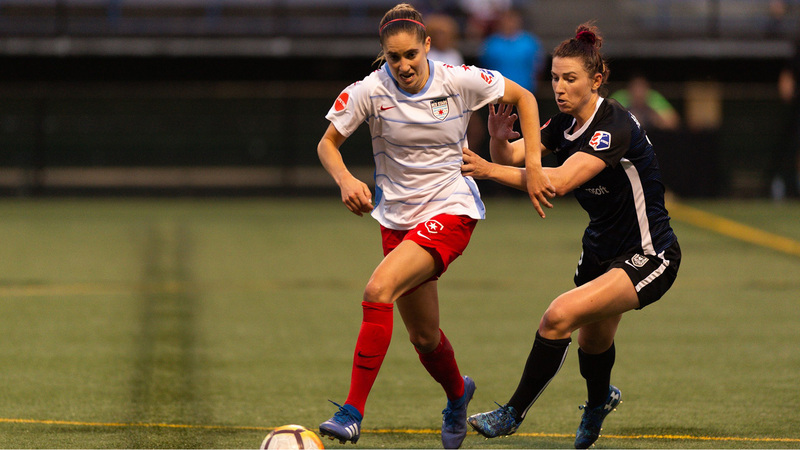 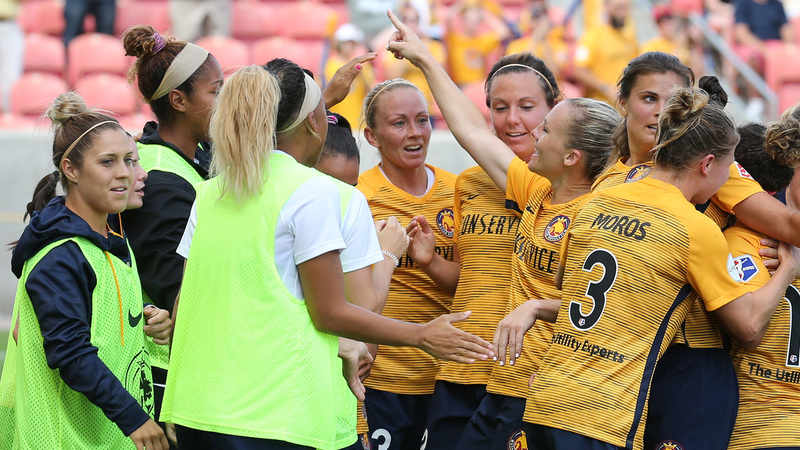 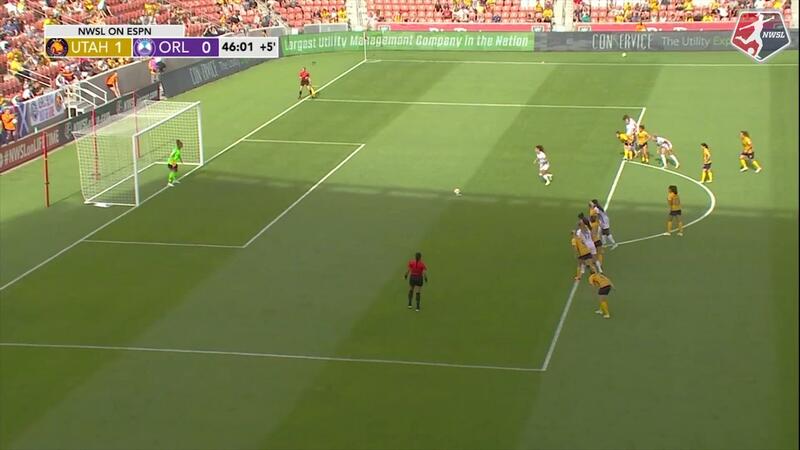 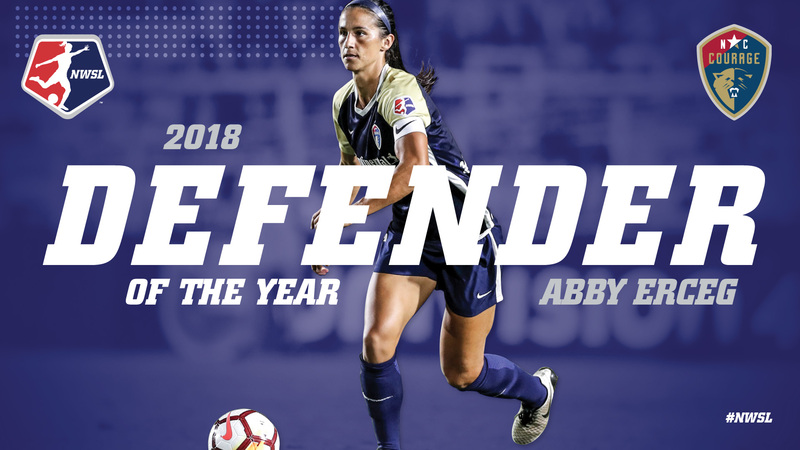 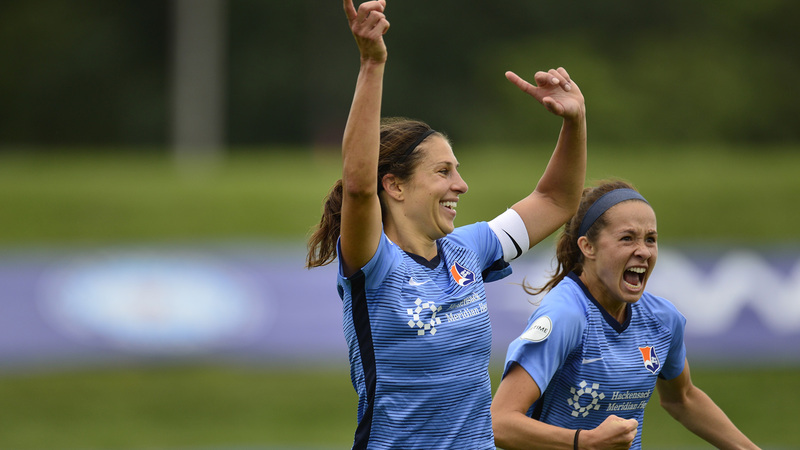 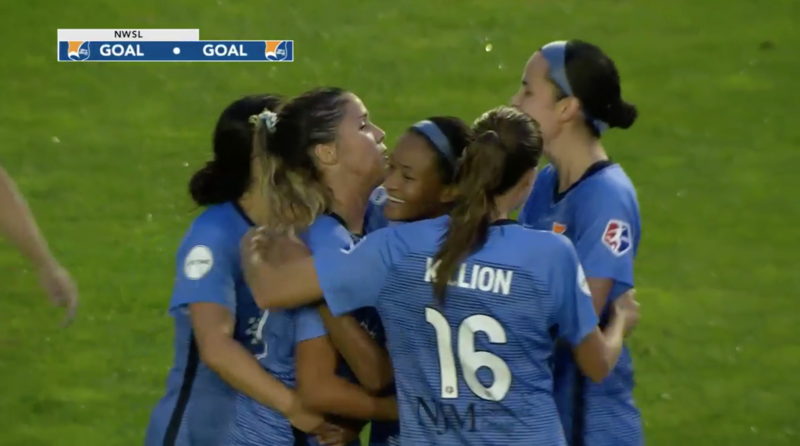 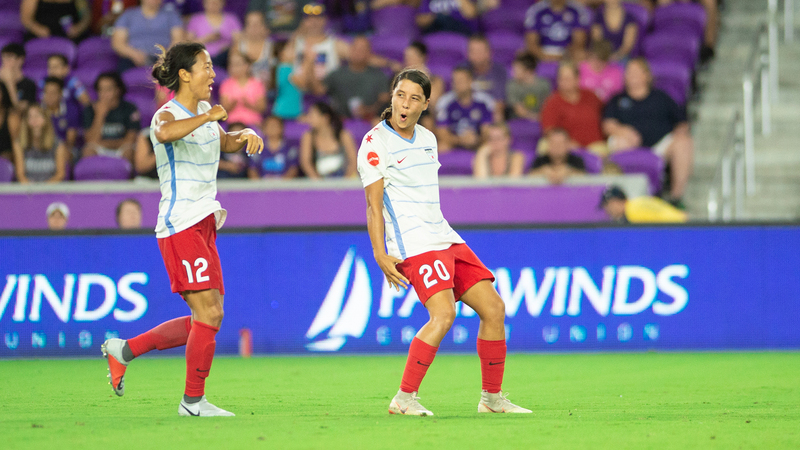 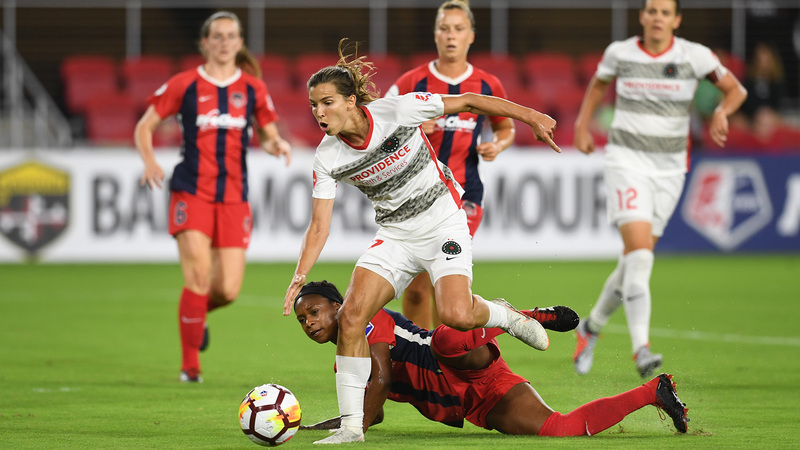 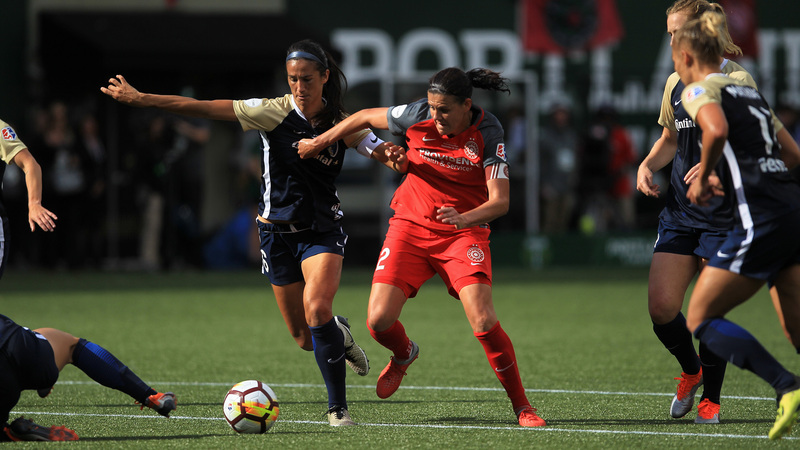 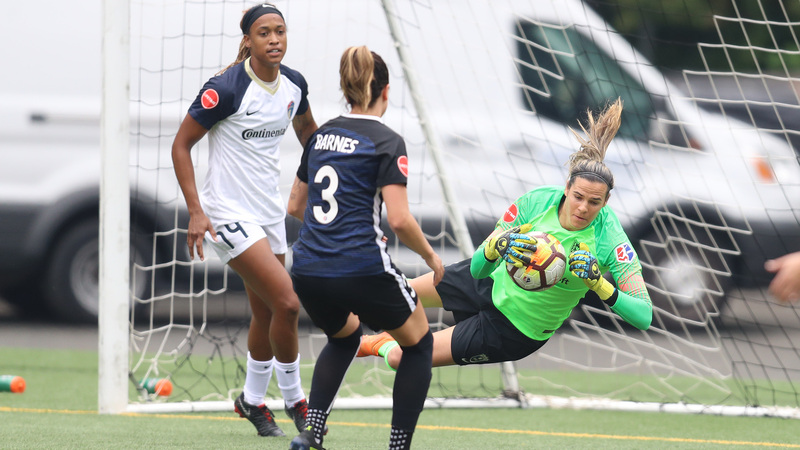 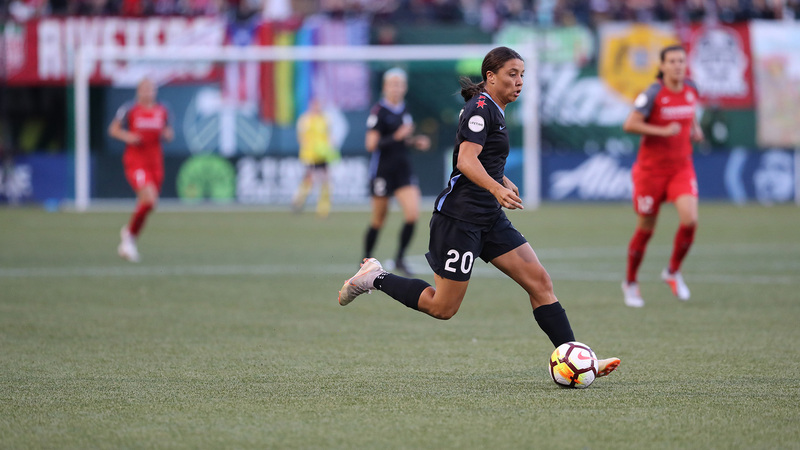 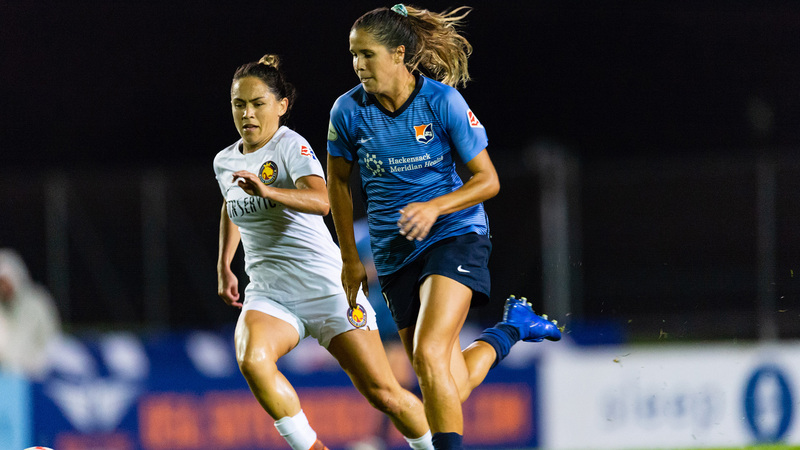 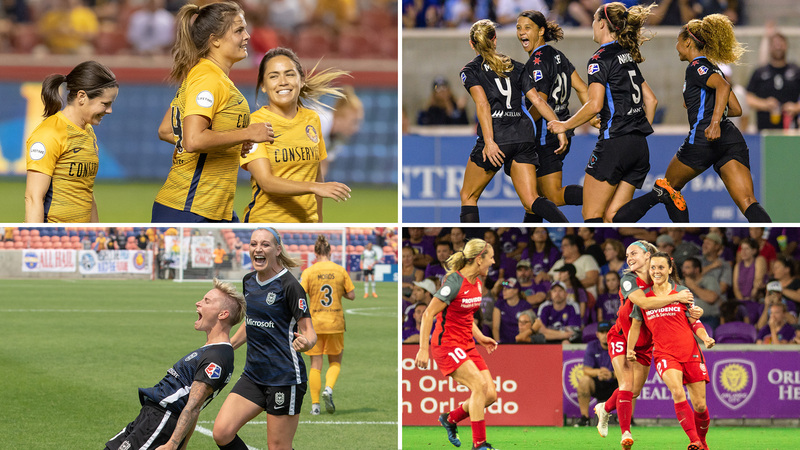 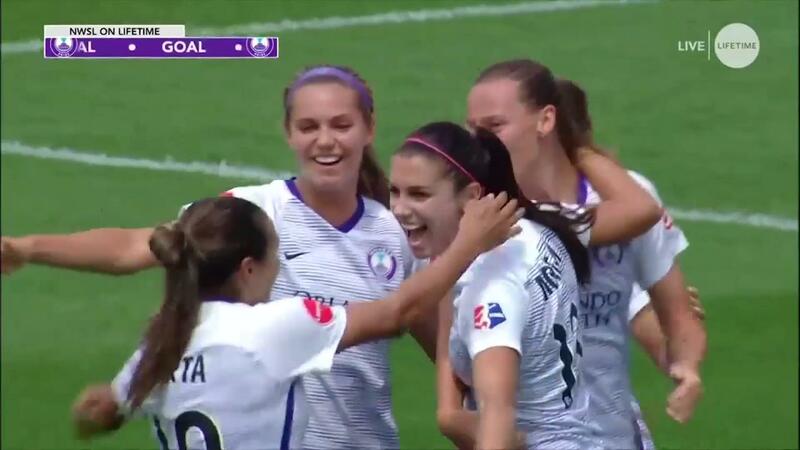 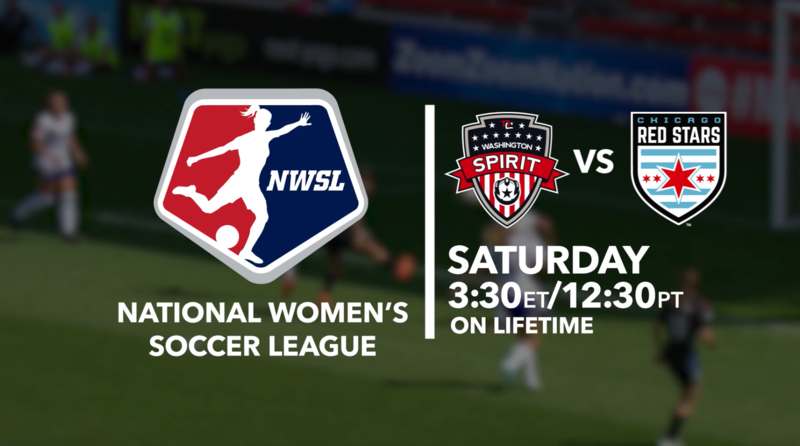 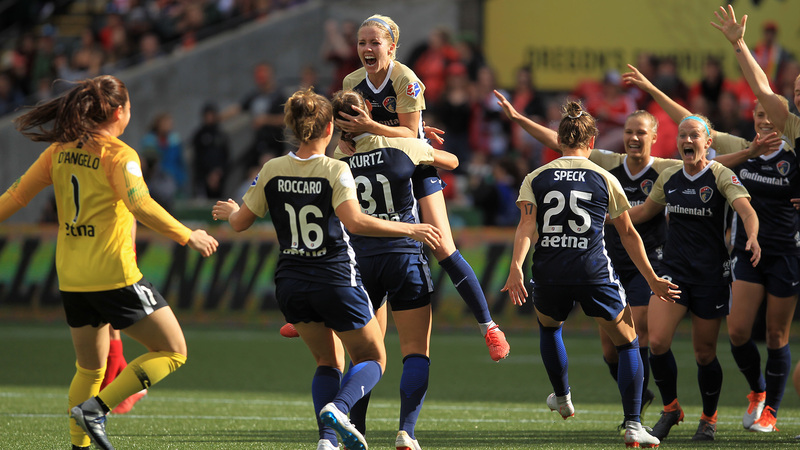 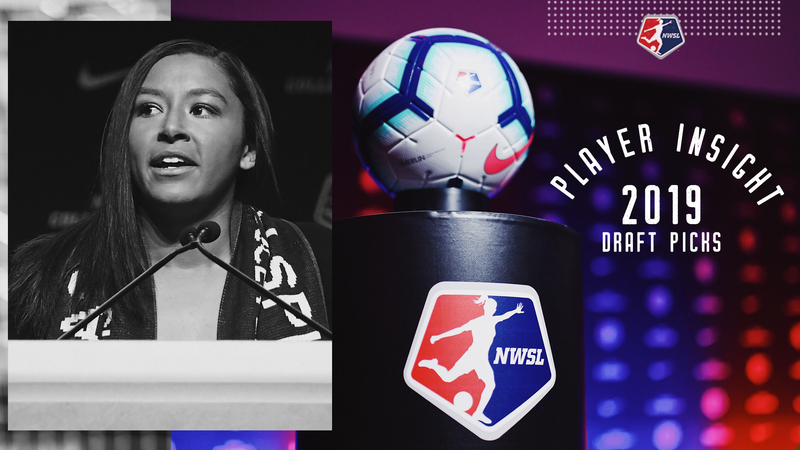 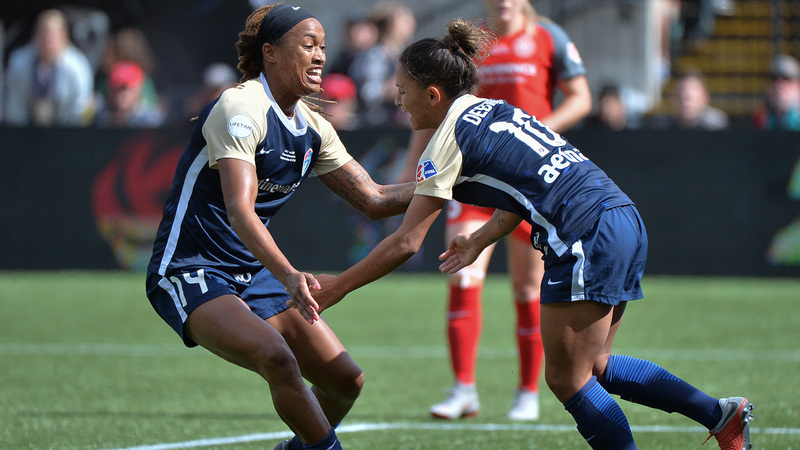 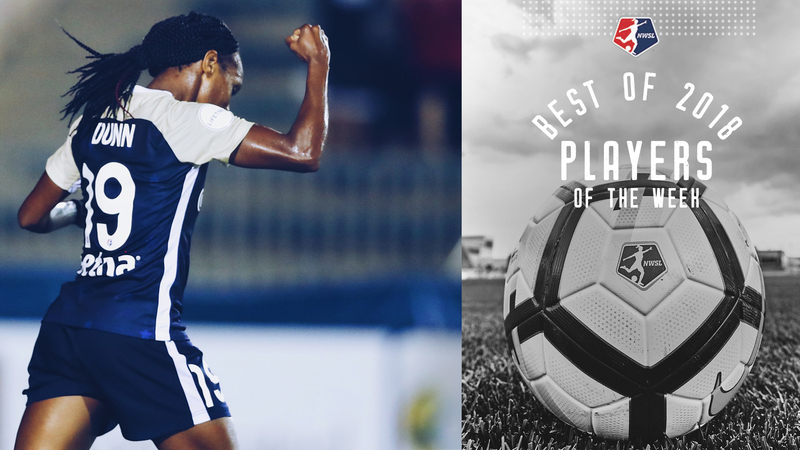 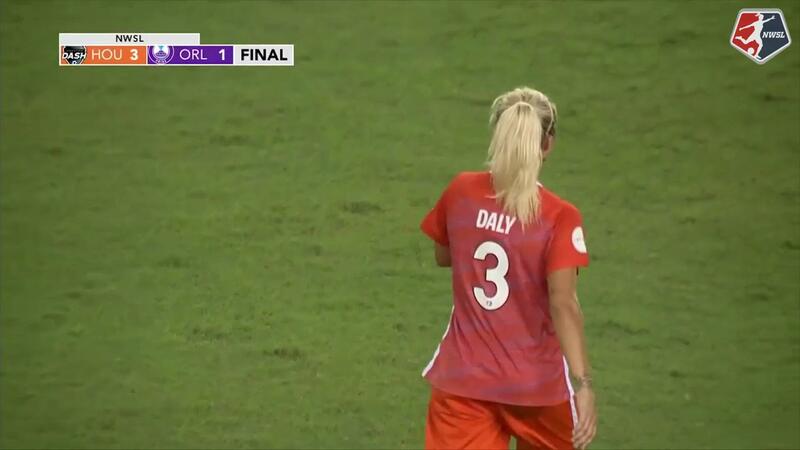 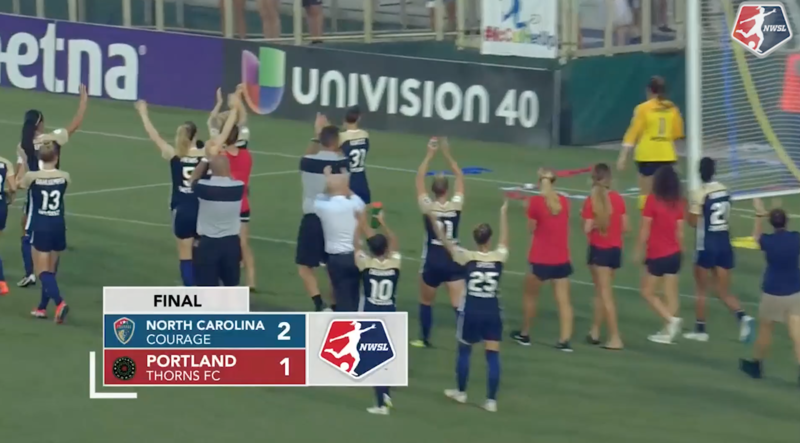 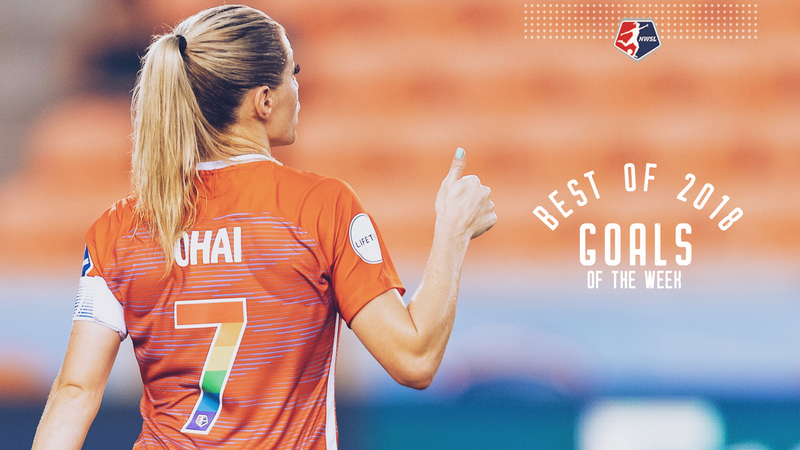 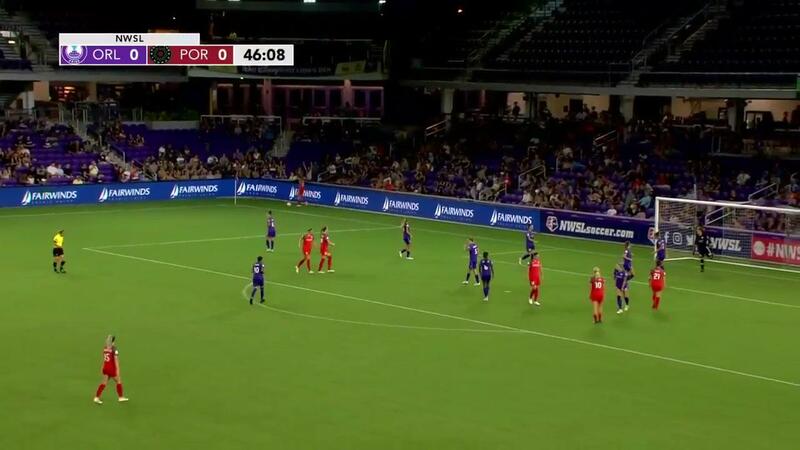 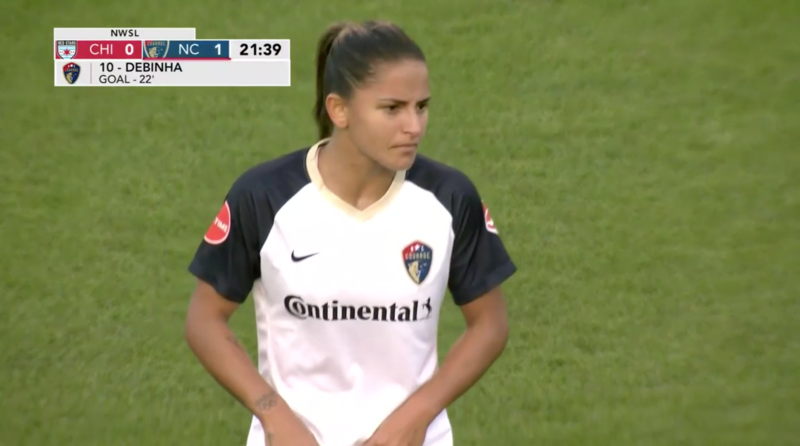 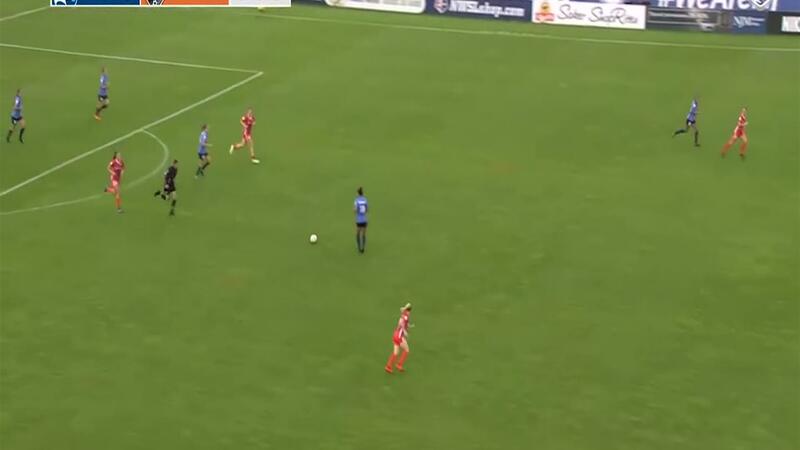 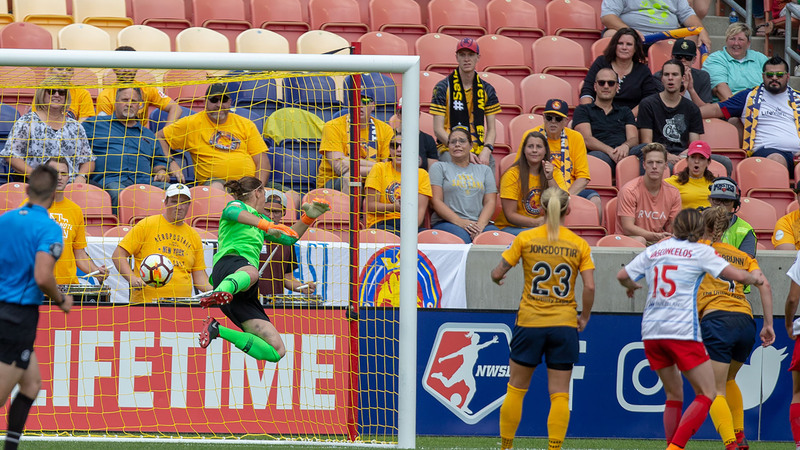 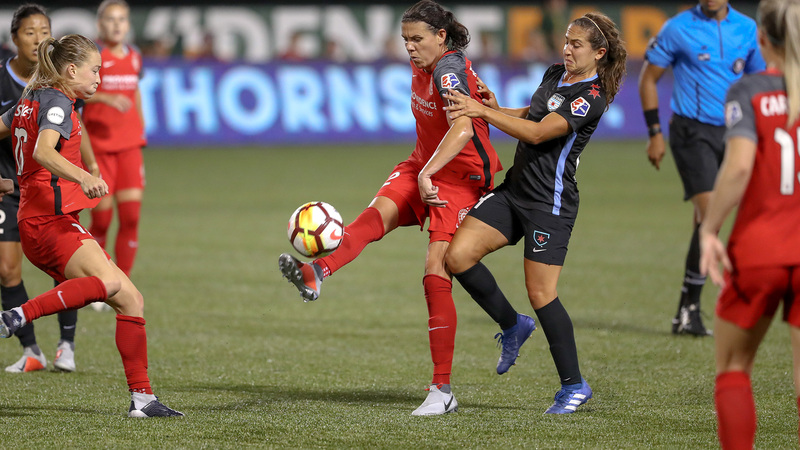 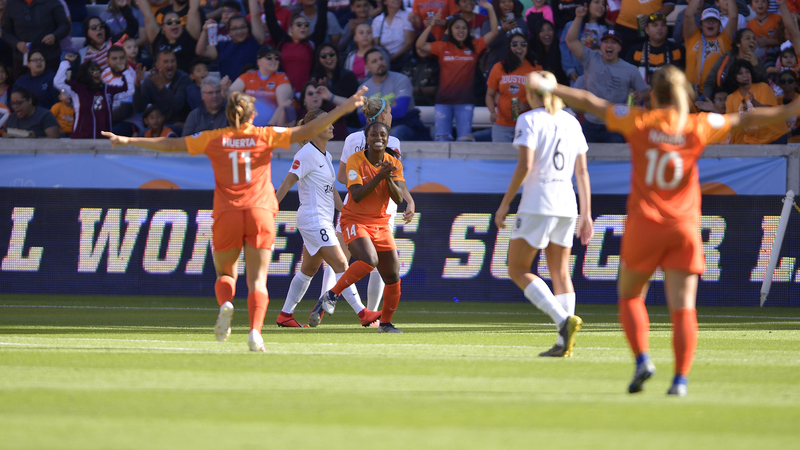 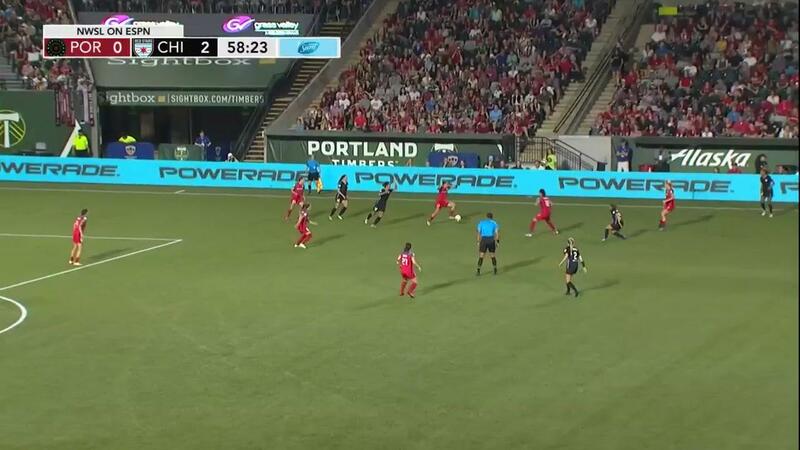 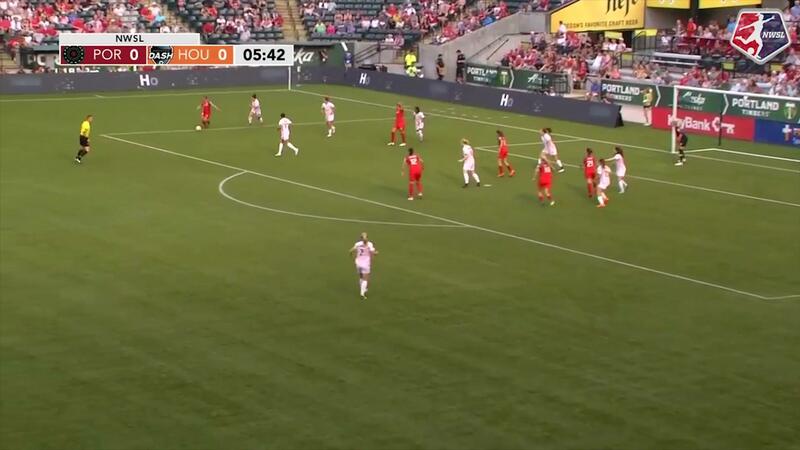 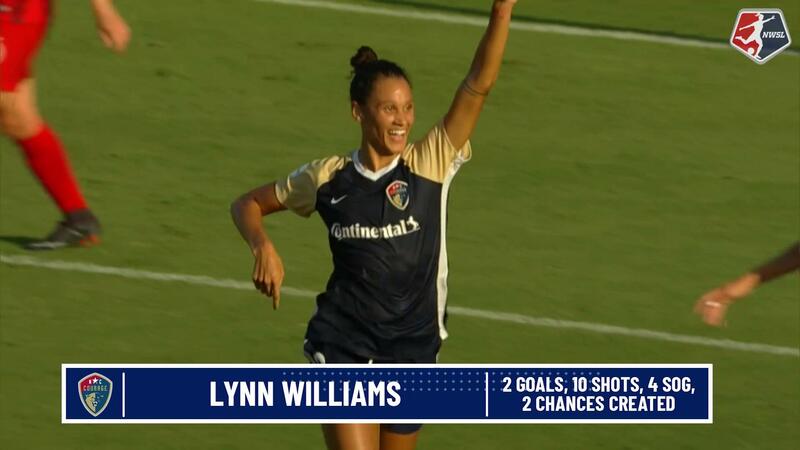 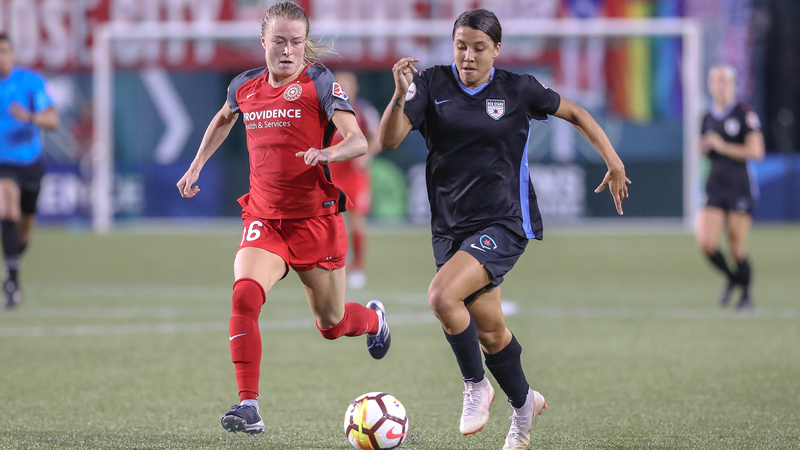 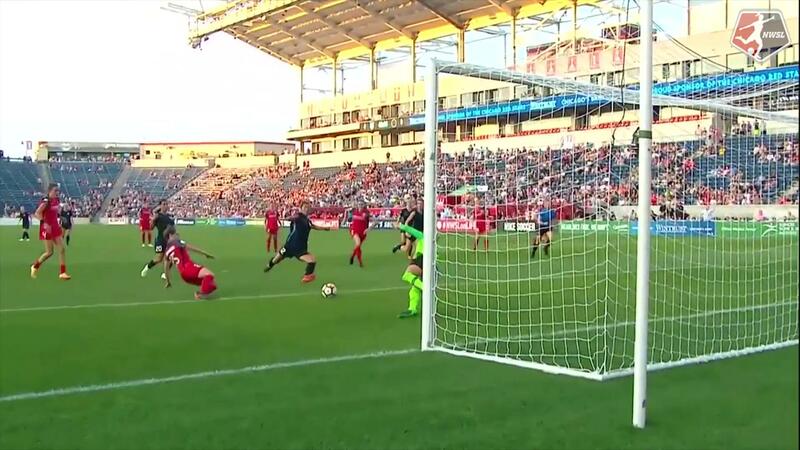 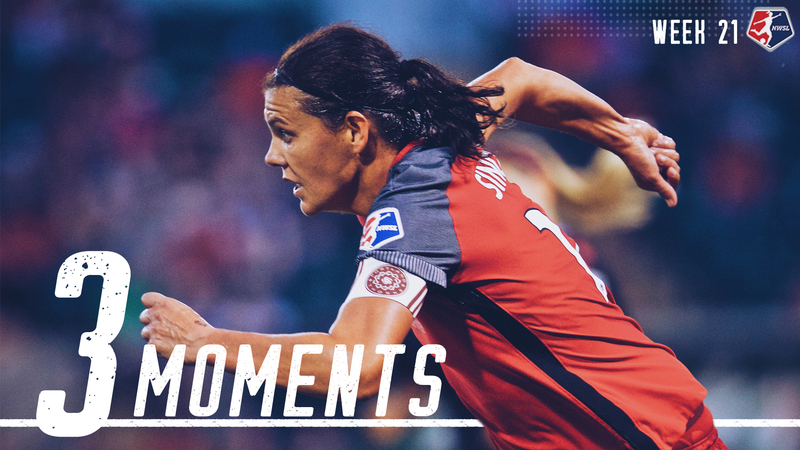 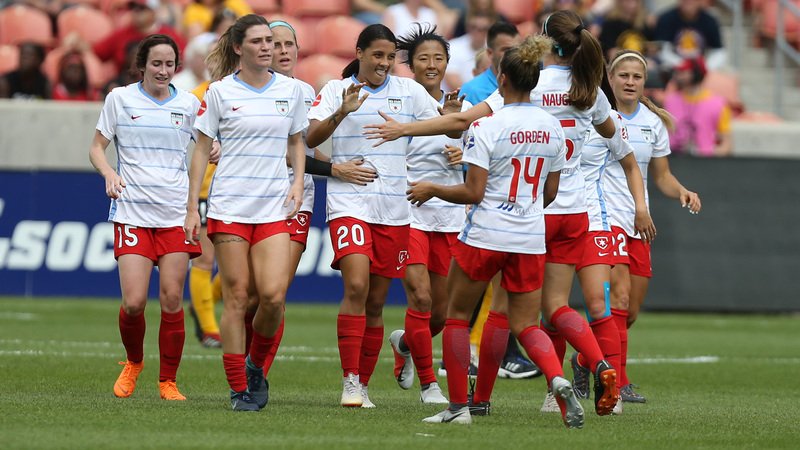 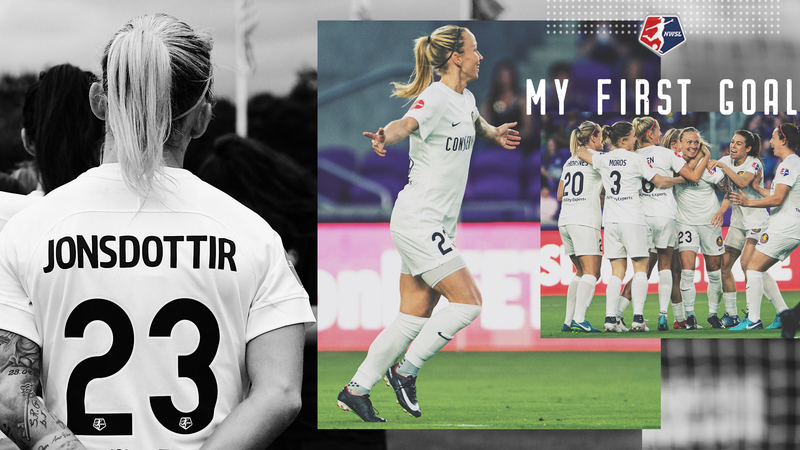 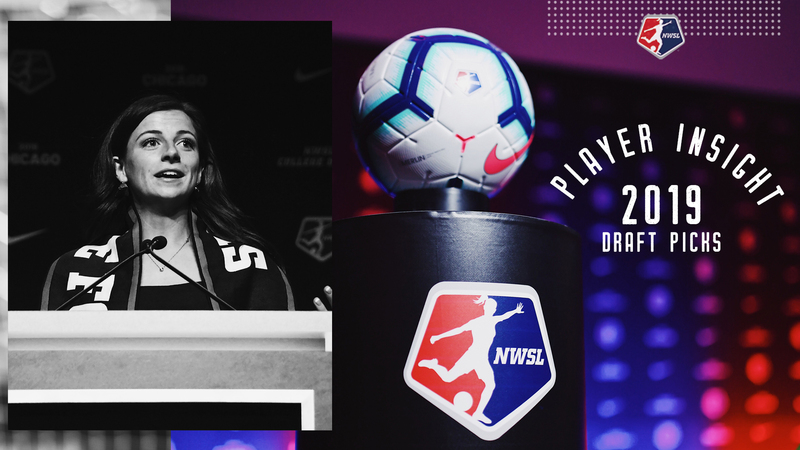 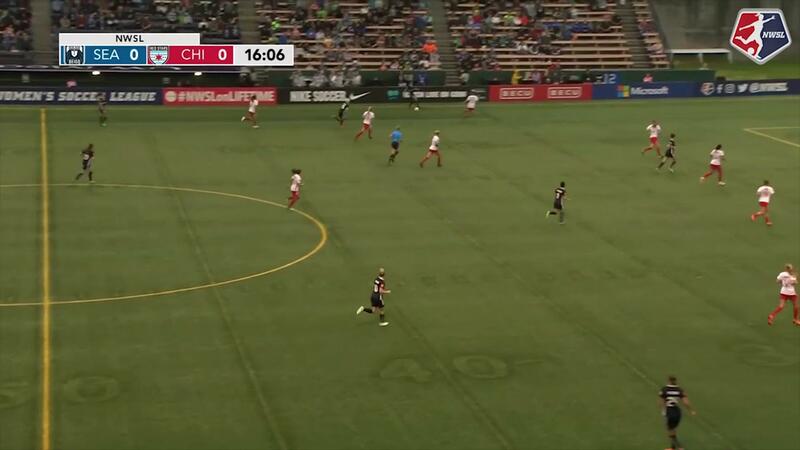 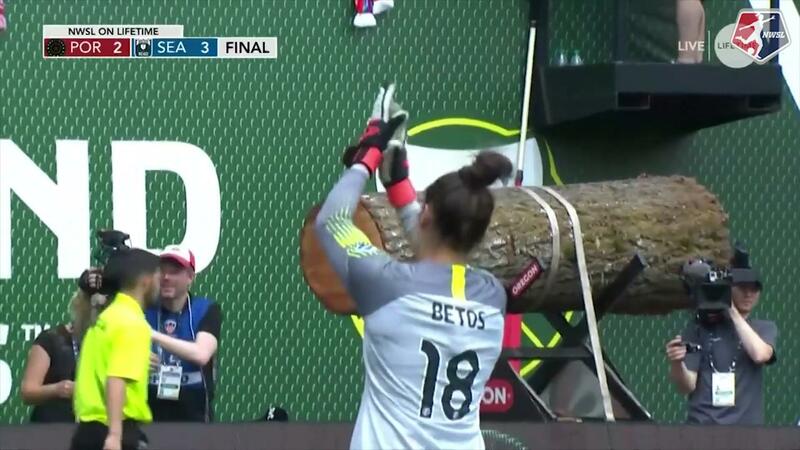 The North Carolina Courage wrapped up the NWSL Shield with a 4-0 win over the Houston Dash in Week 22 at H-E-B Park in Edinburg, Texas. 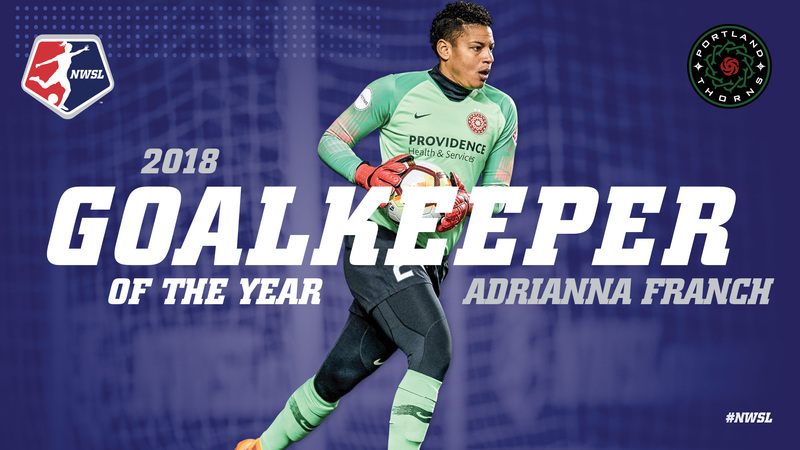 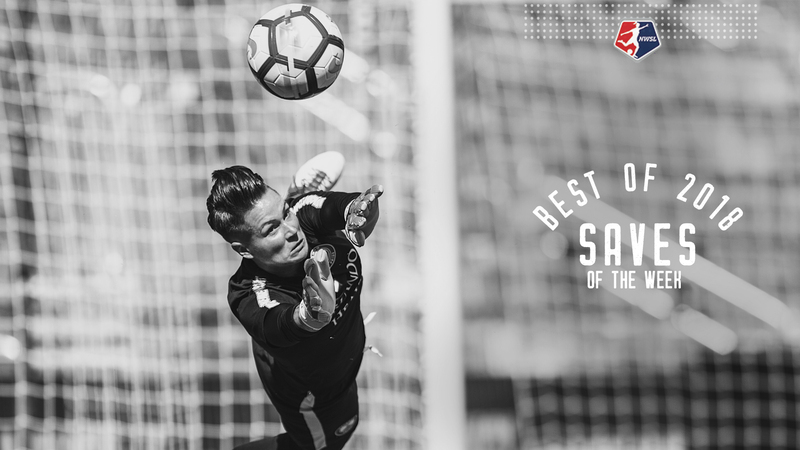 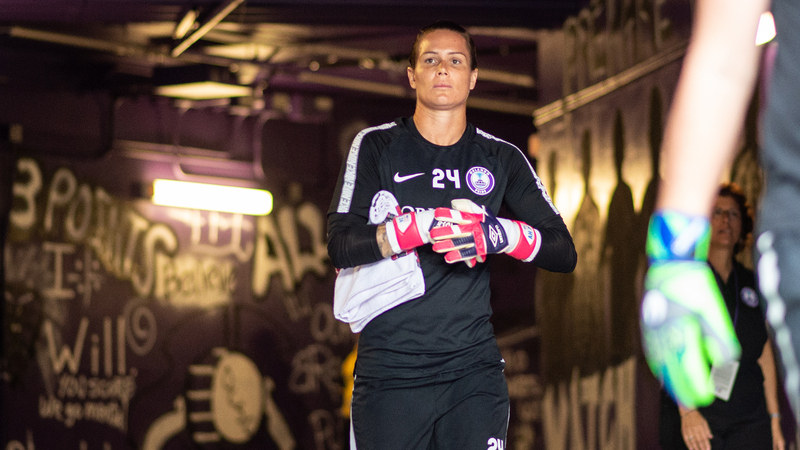 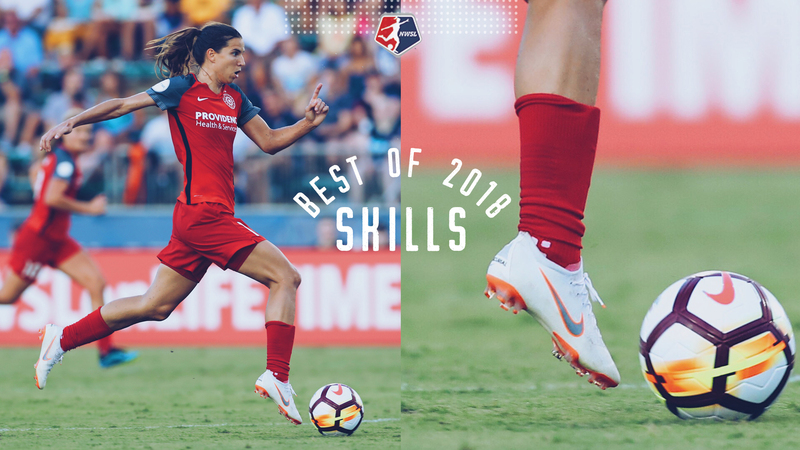 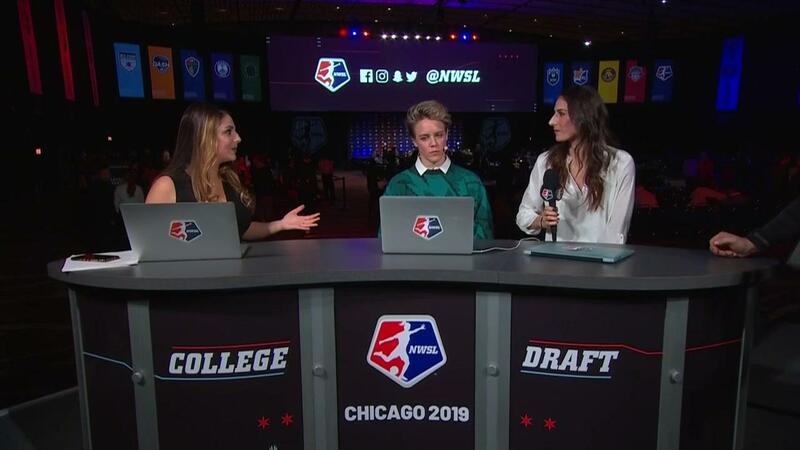 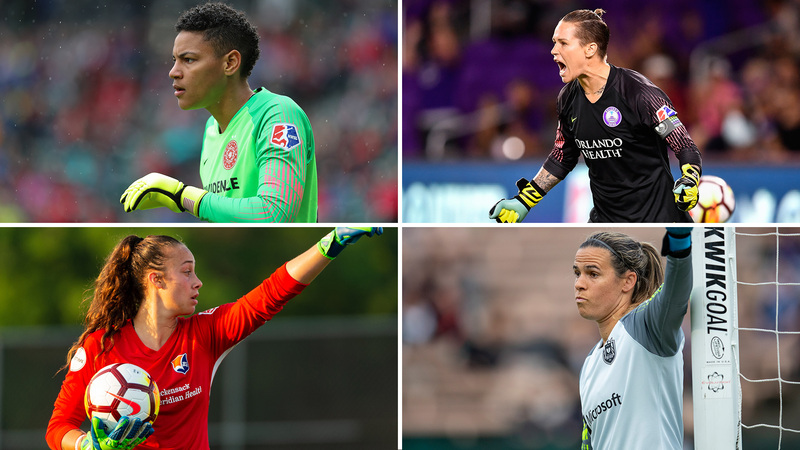 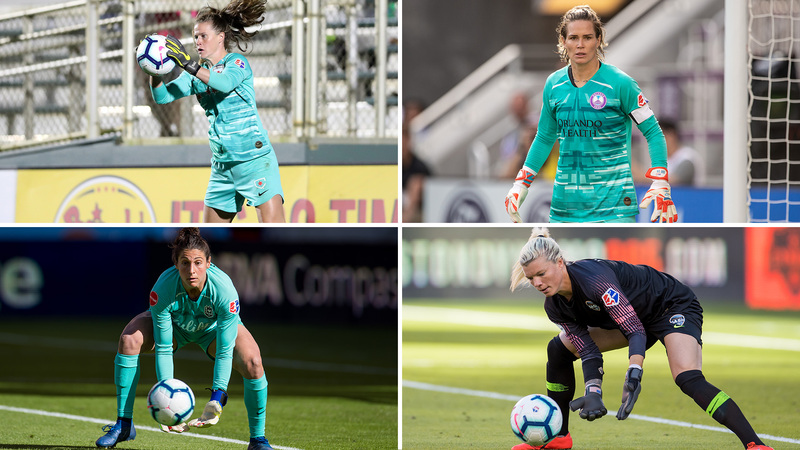 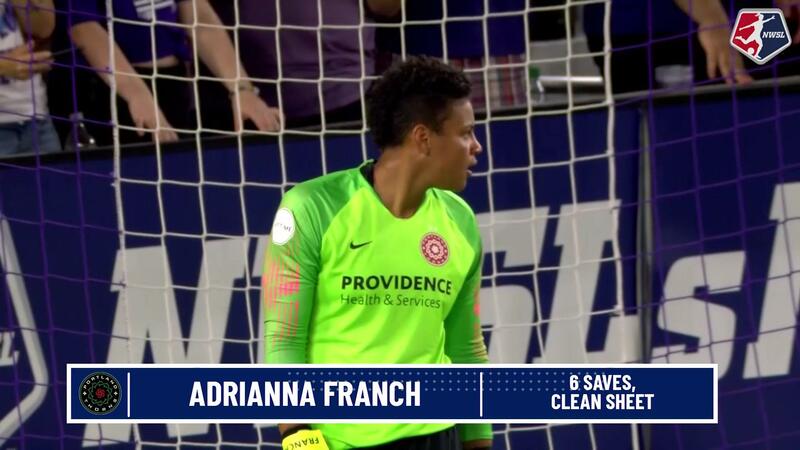 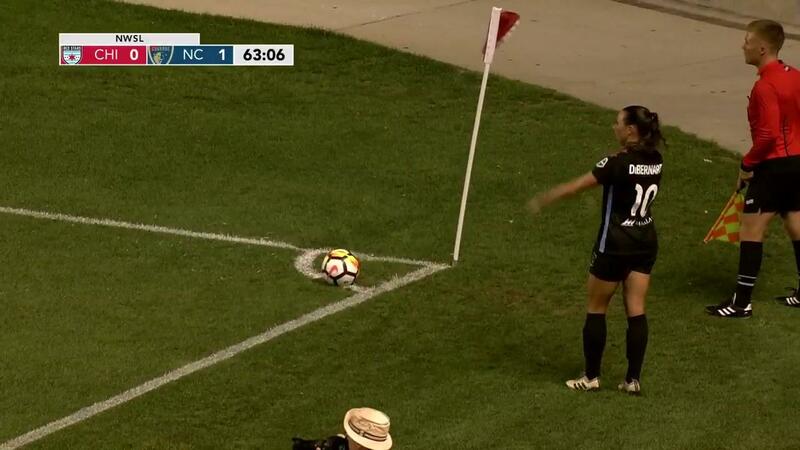 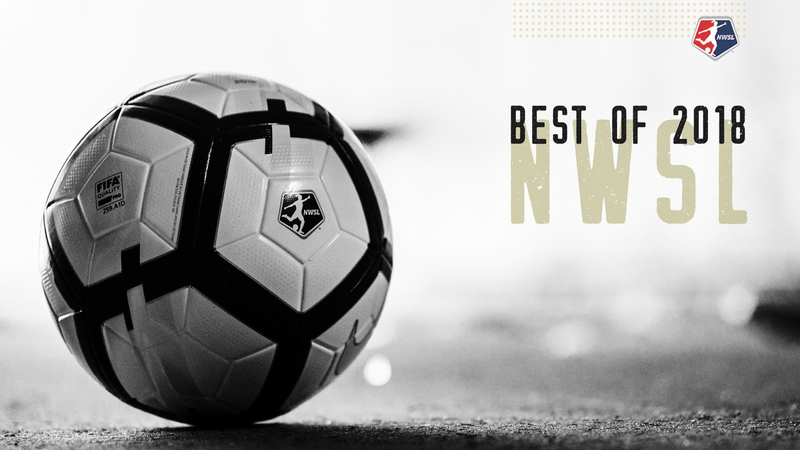 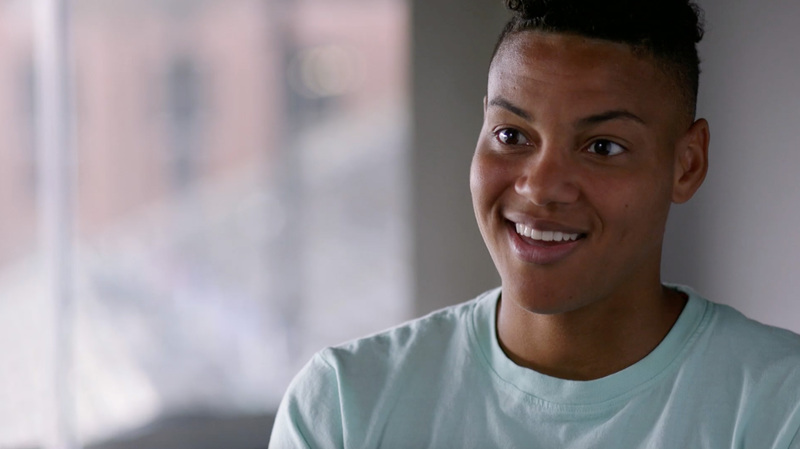 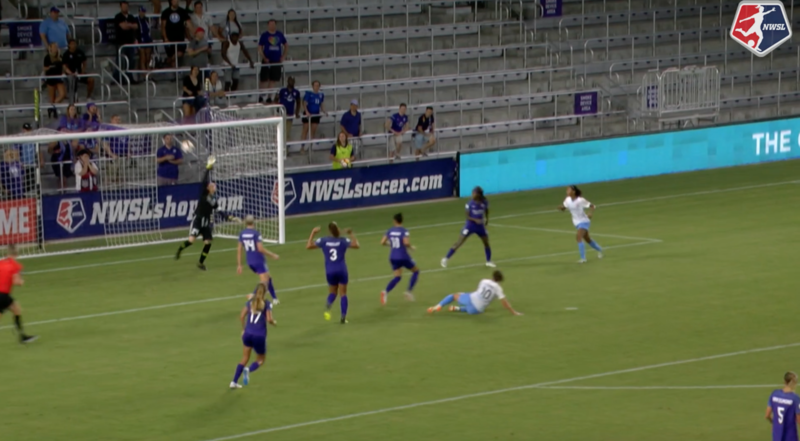 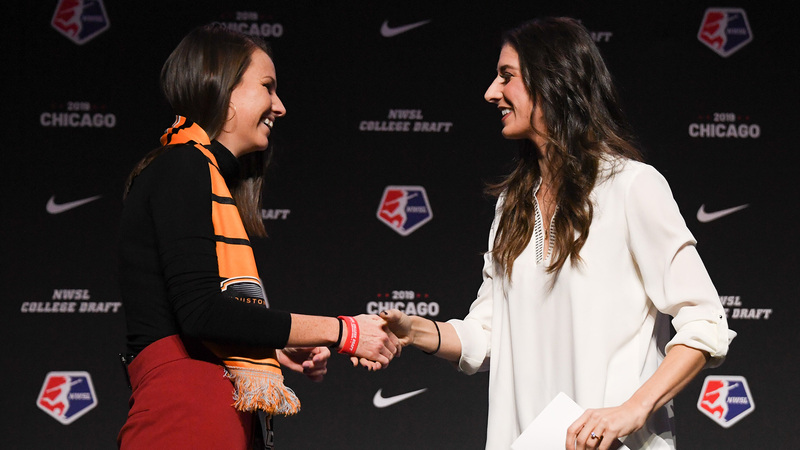 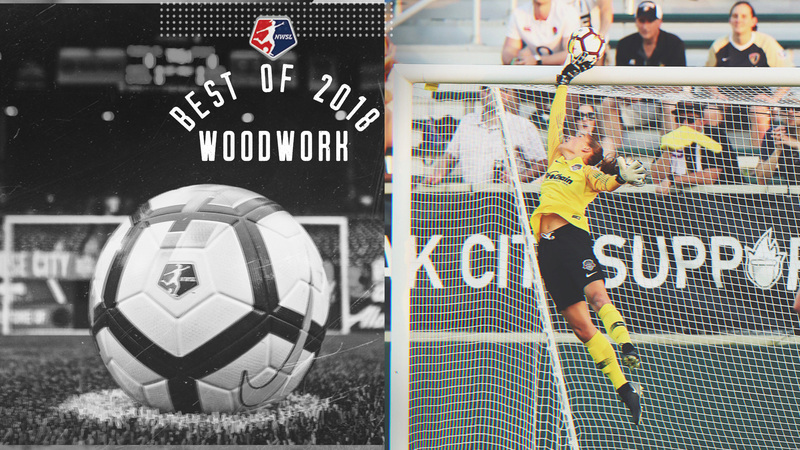 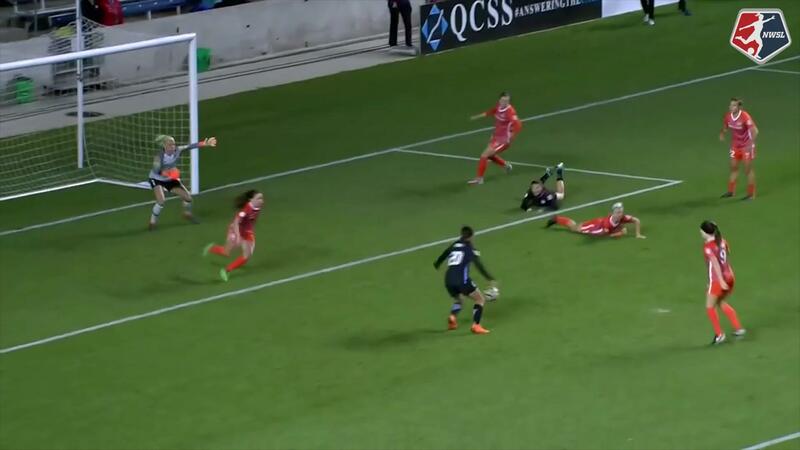 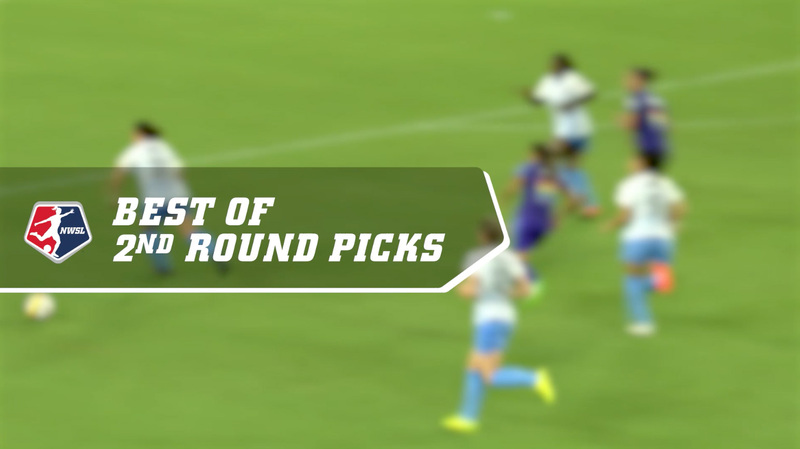 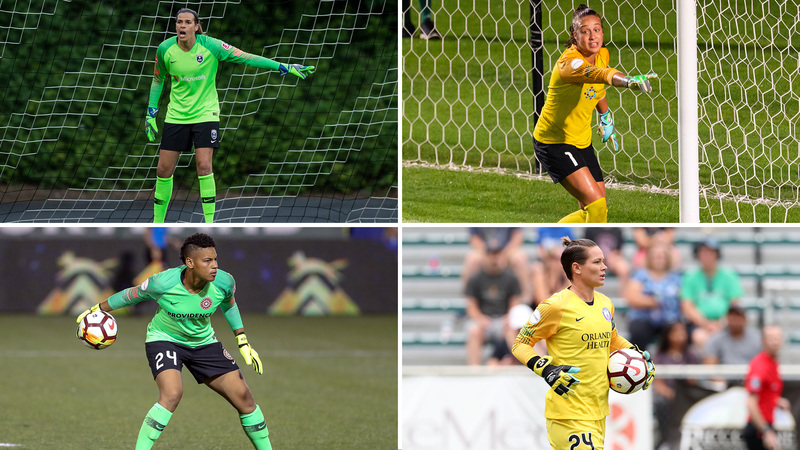 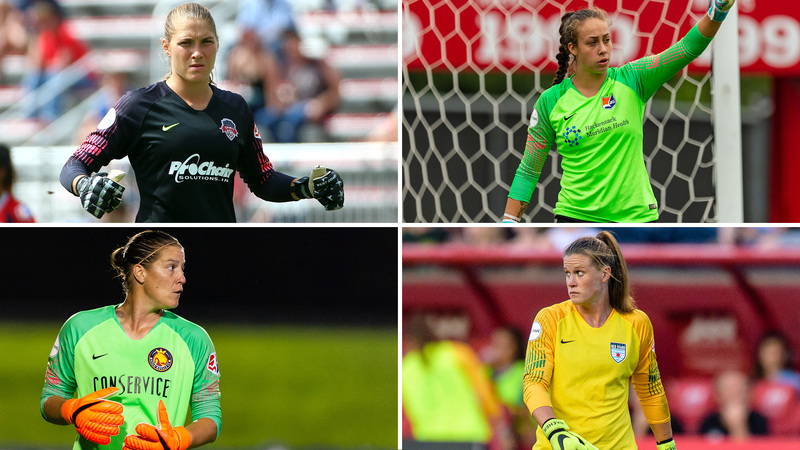 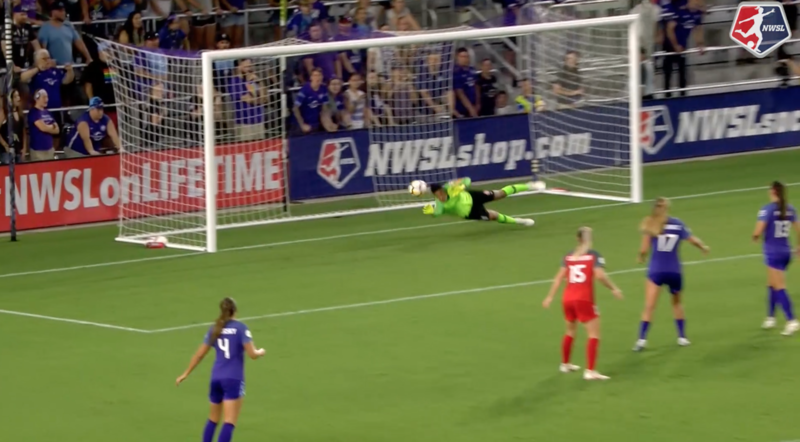 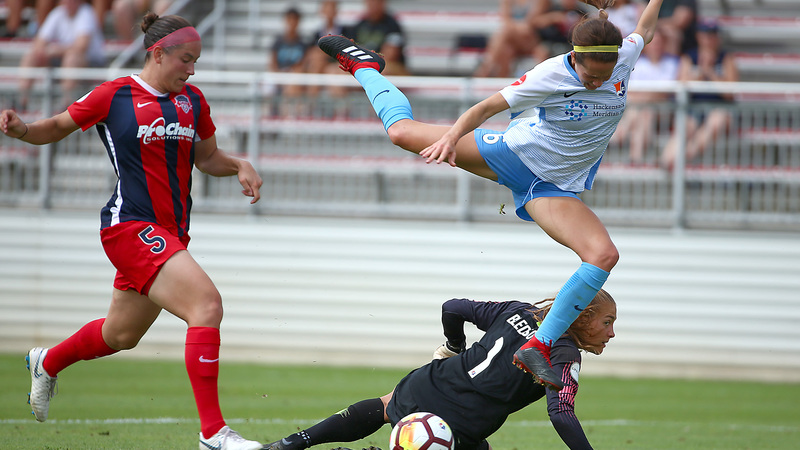 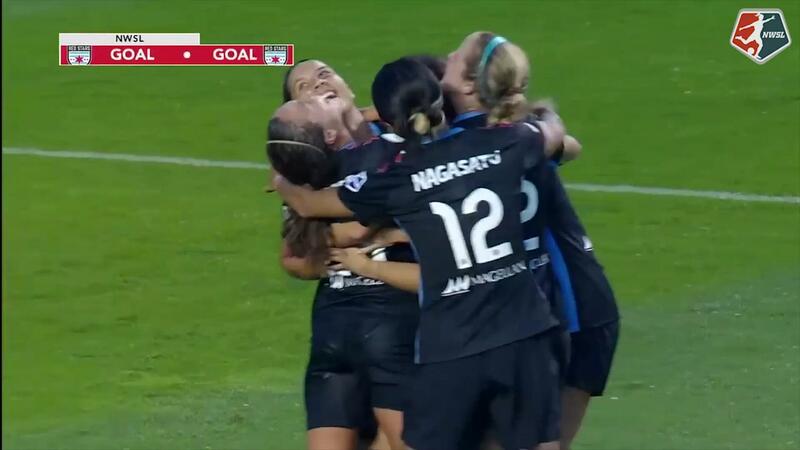 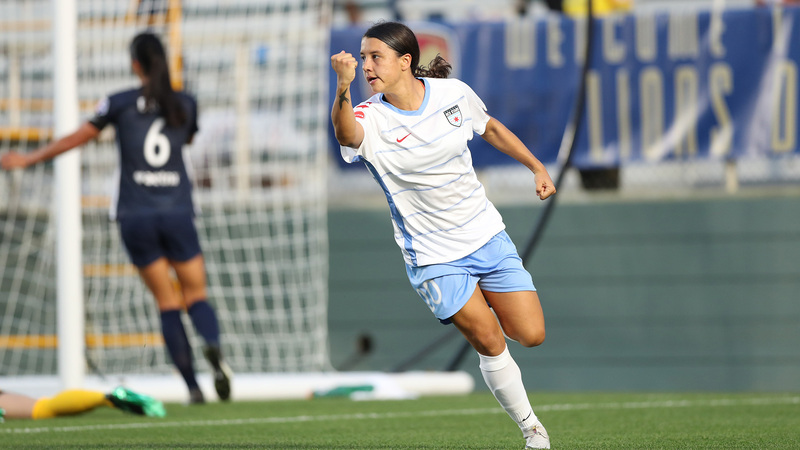 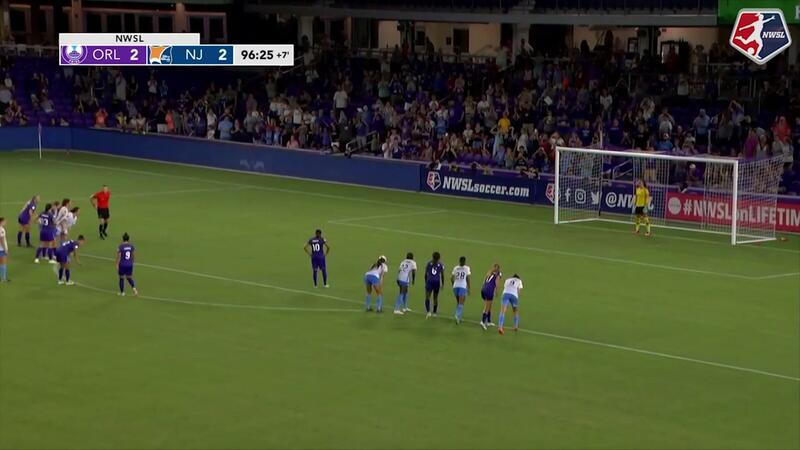 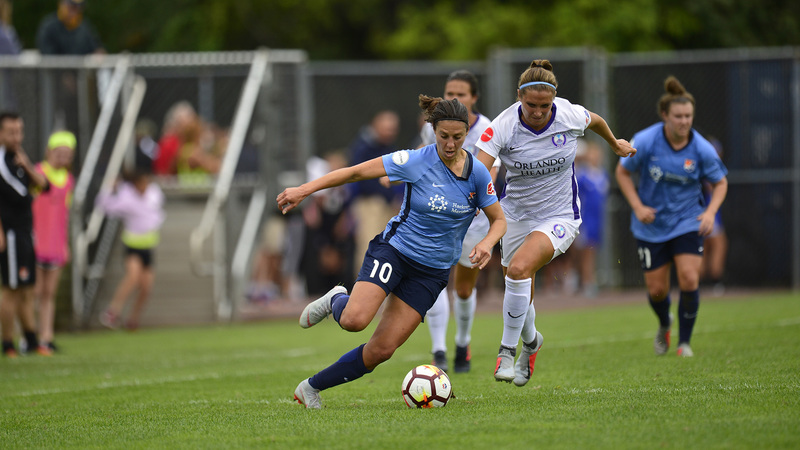 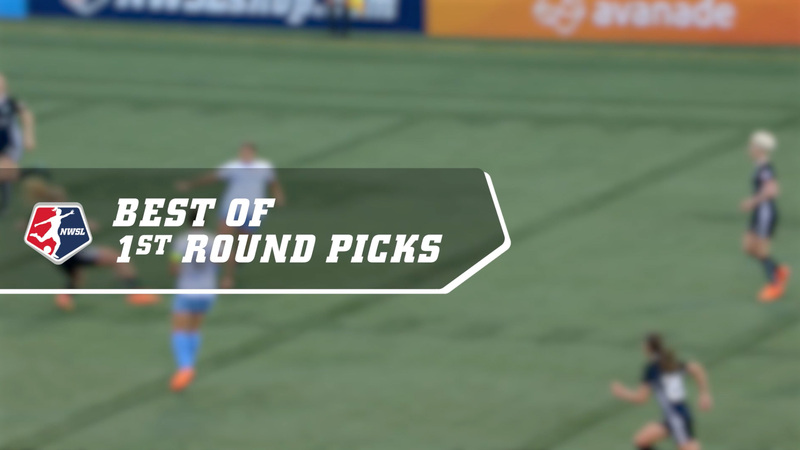 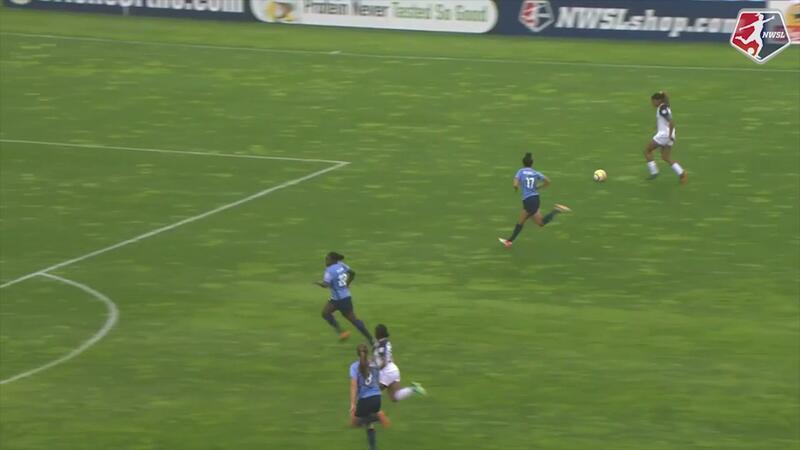 Goalkeeper Sabrina D'Angelo made four saves as North Carolina earned their NWSL record 12 shutout of the season. 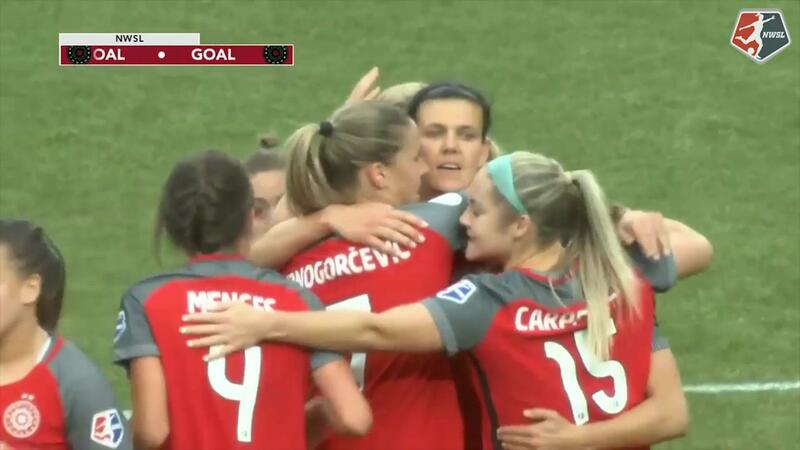 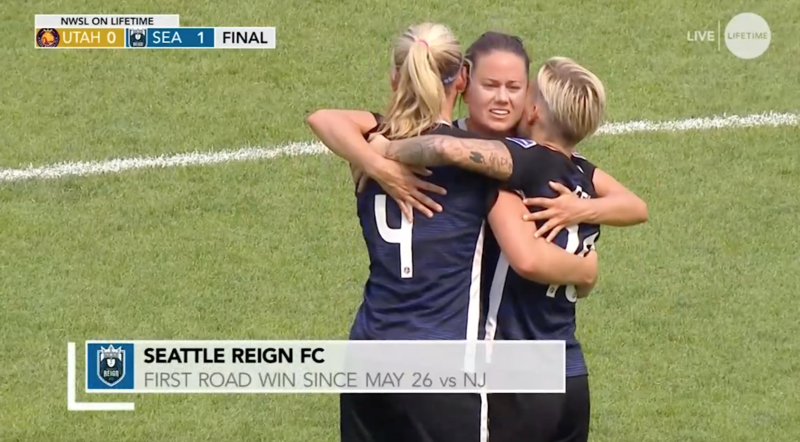 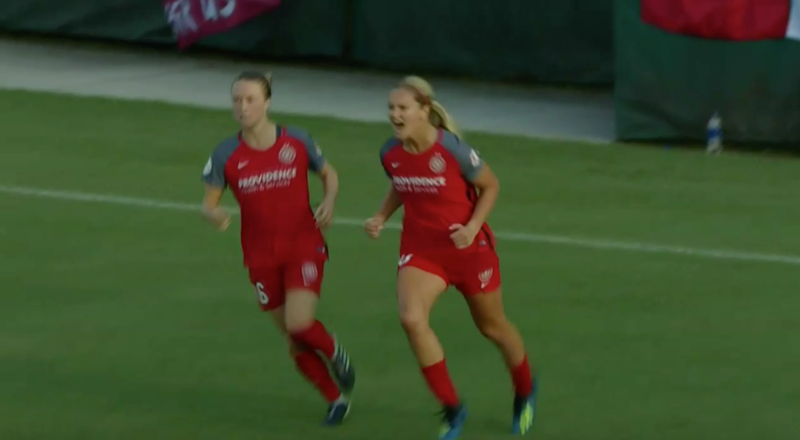 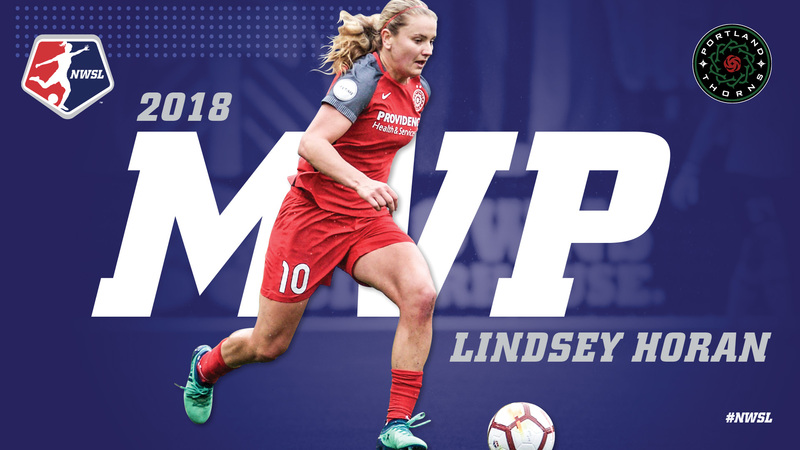 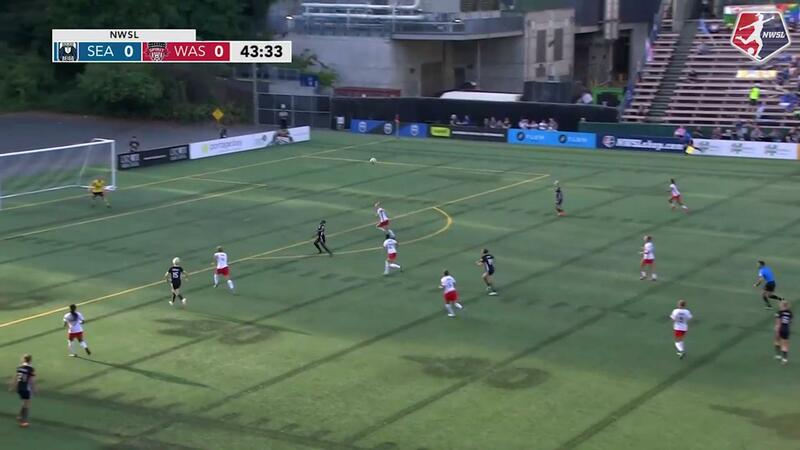 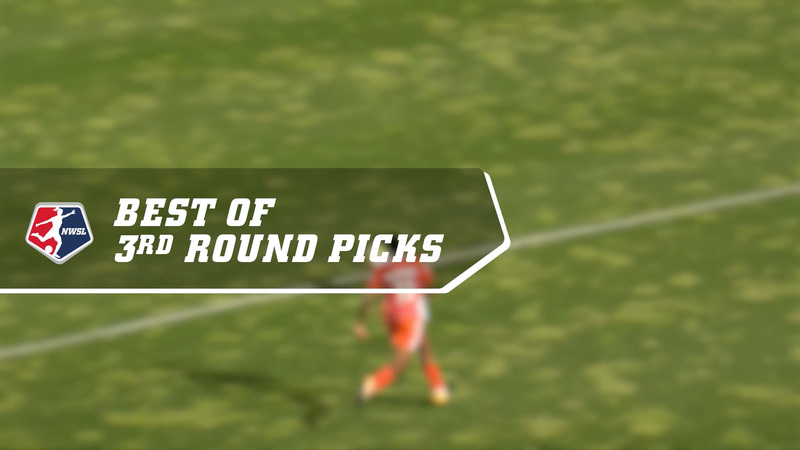 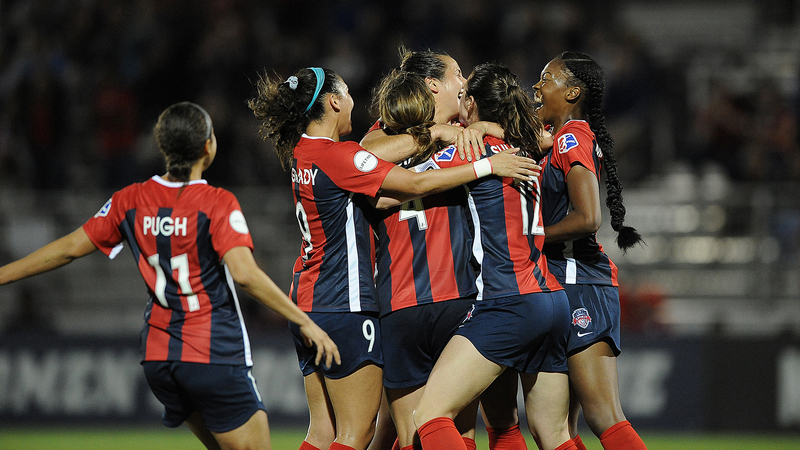 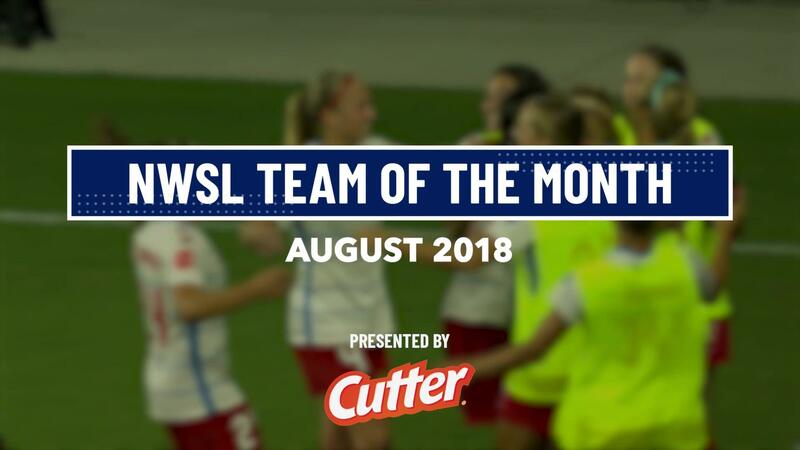 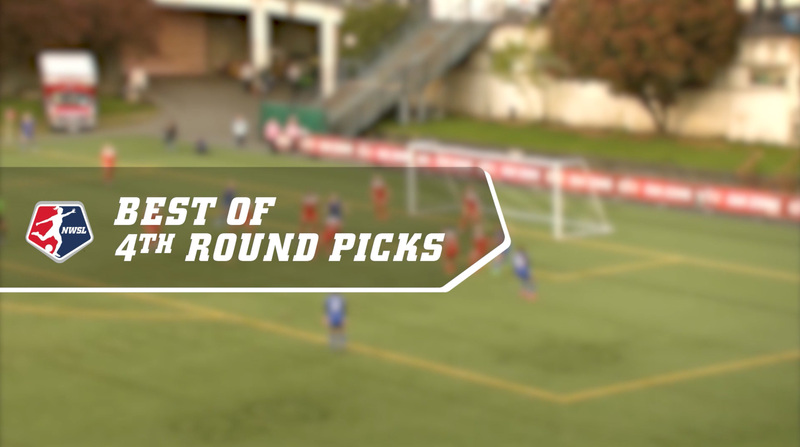 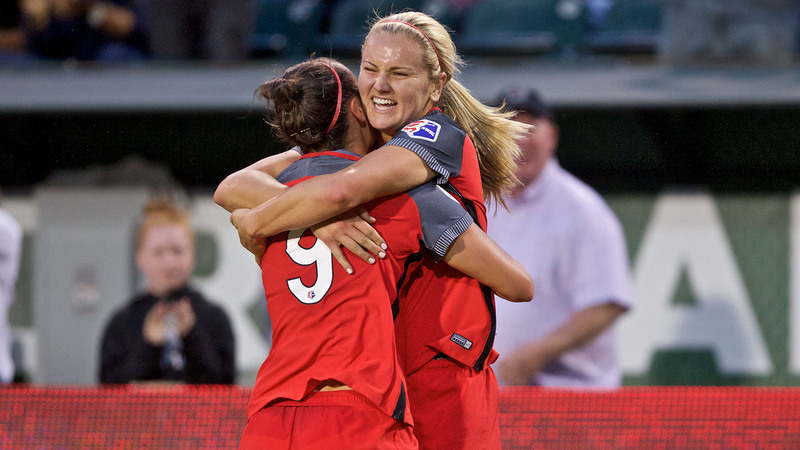 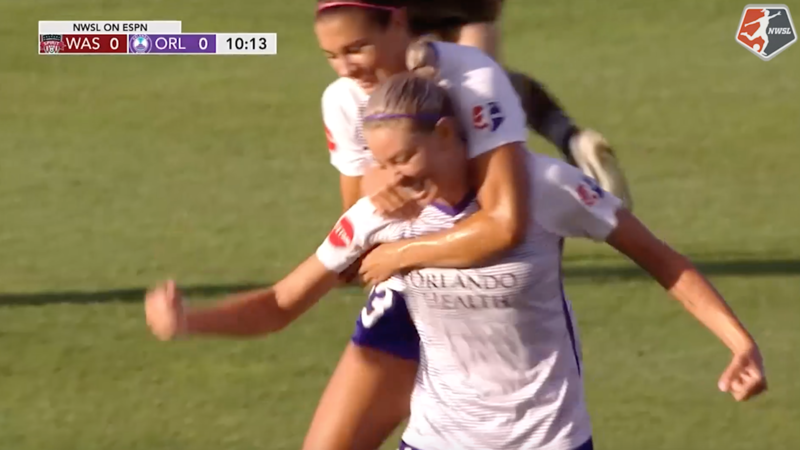 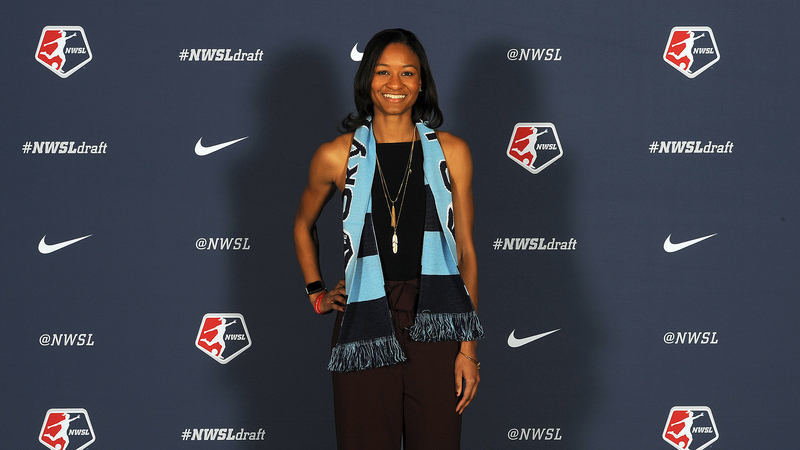 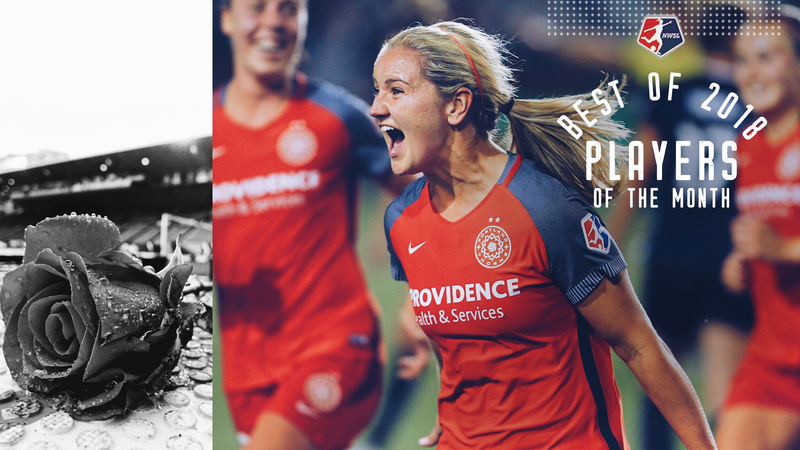 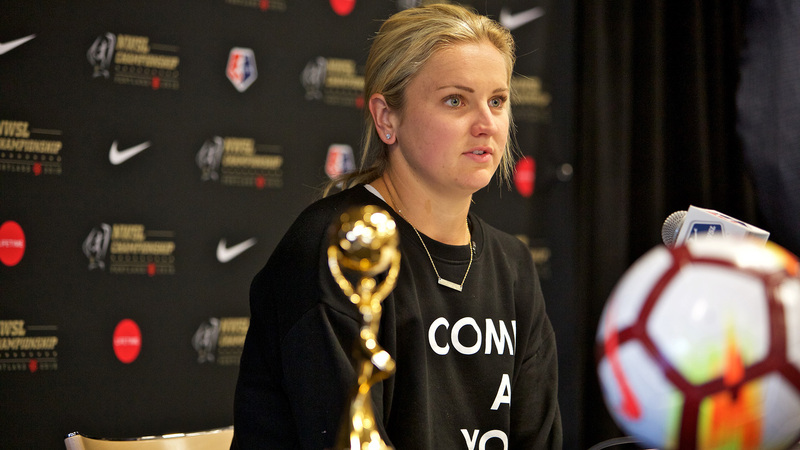 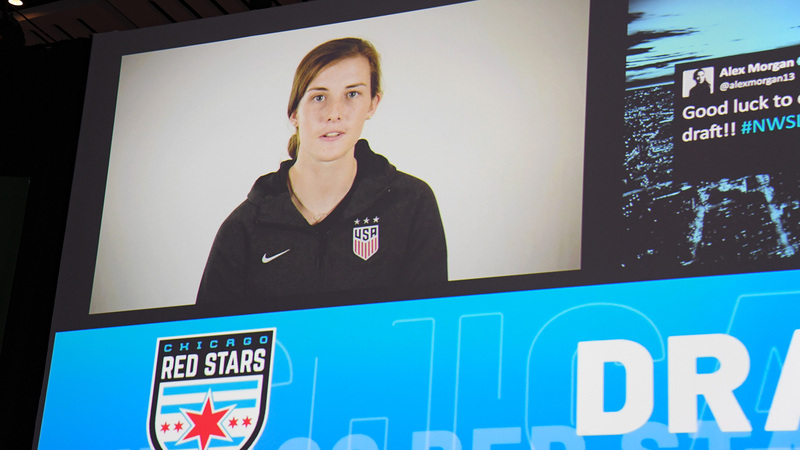 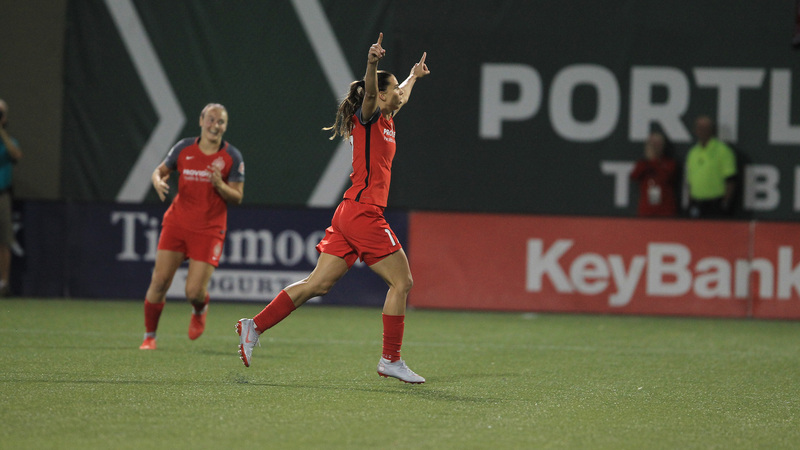 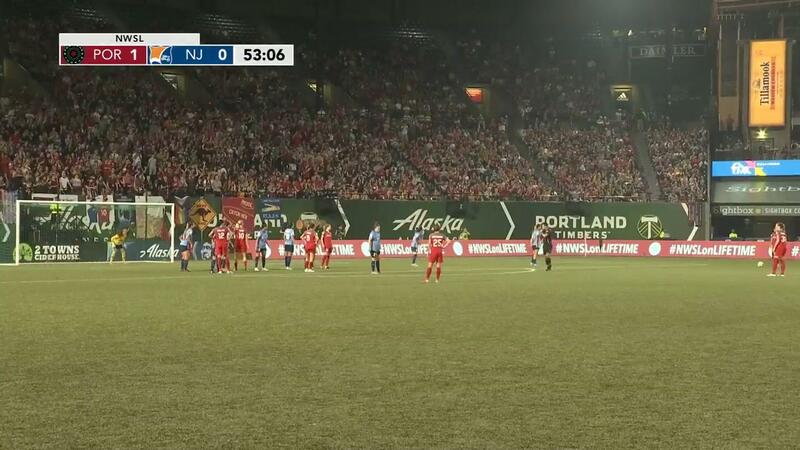 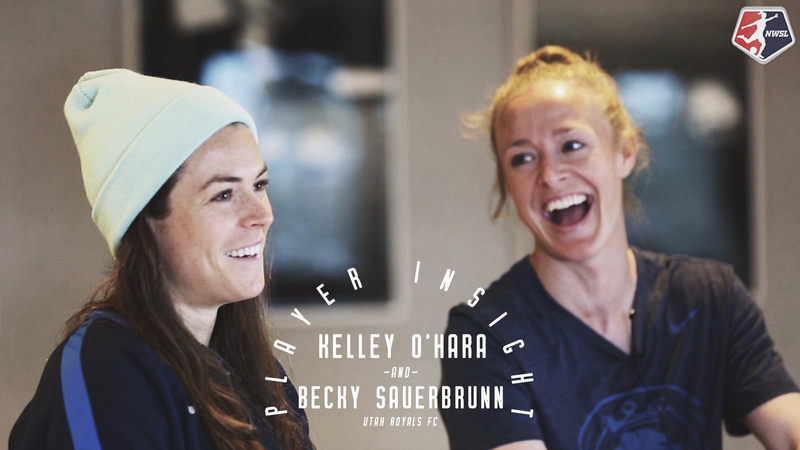 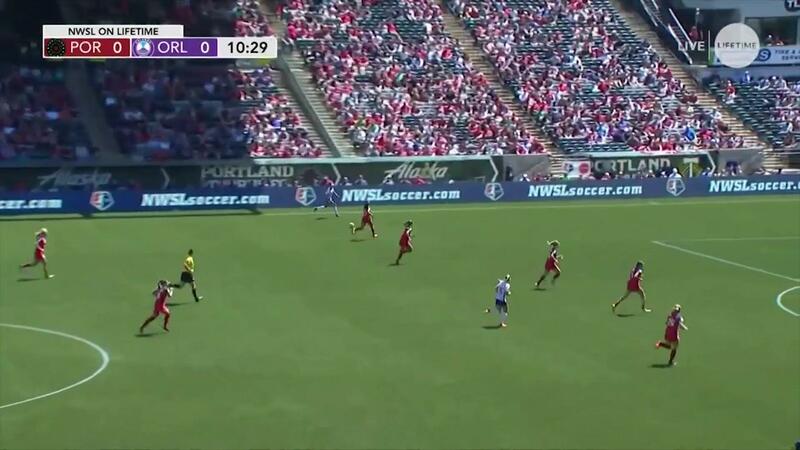 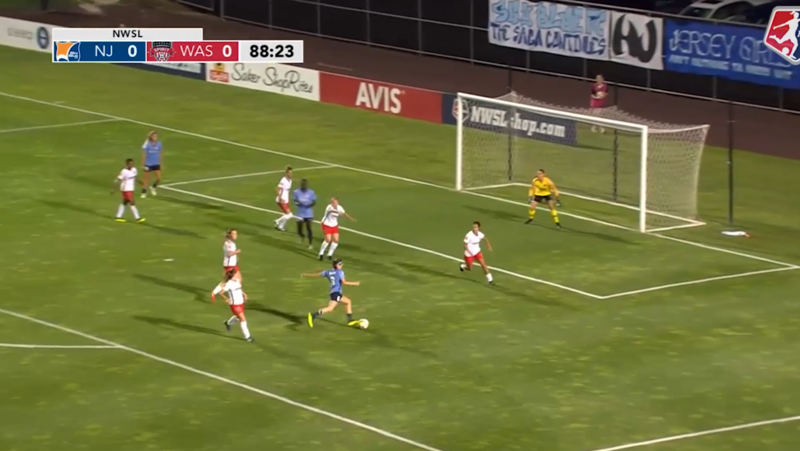 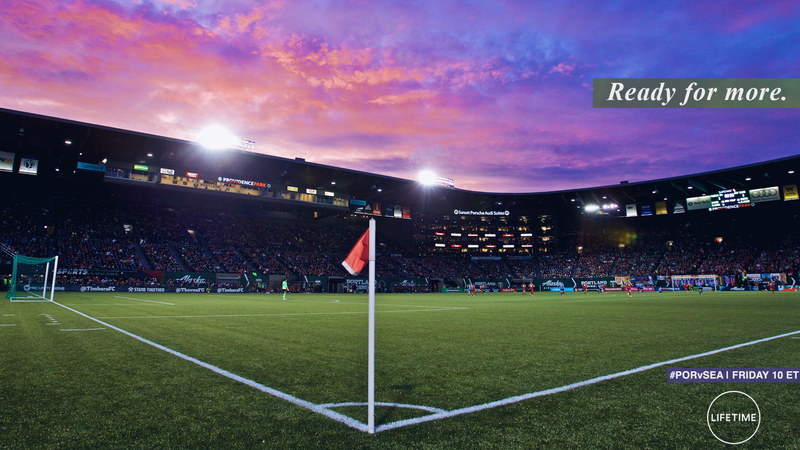 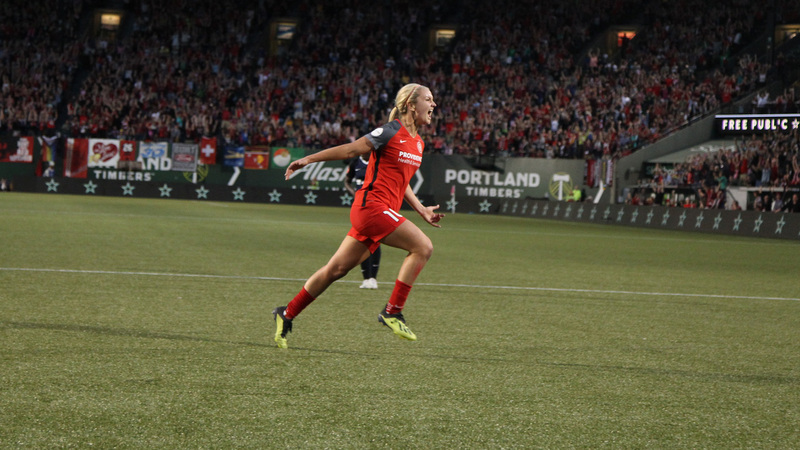 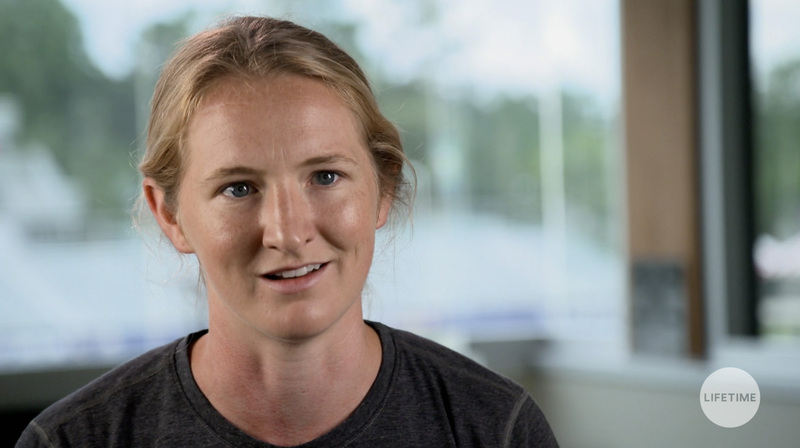 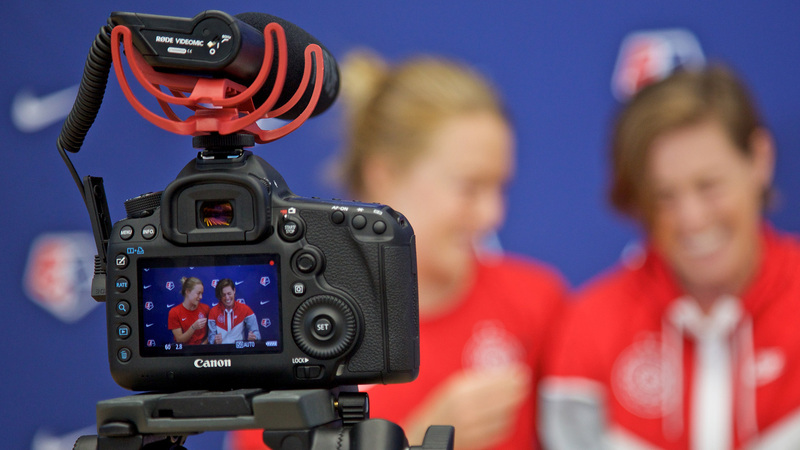 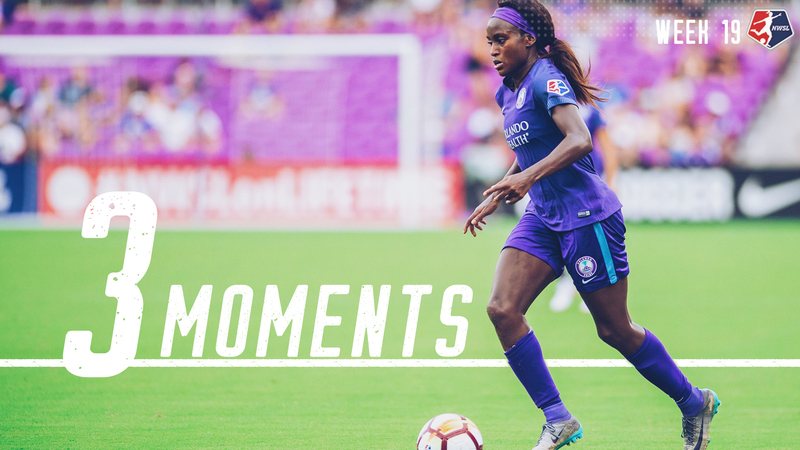 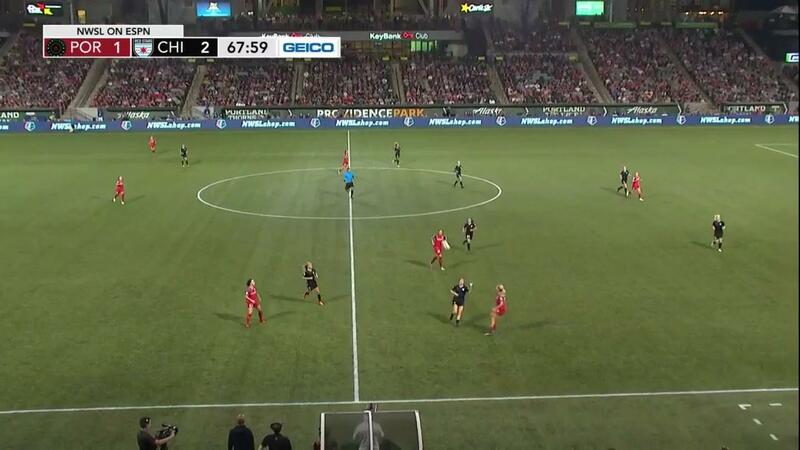 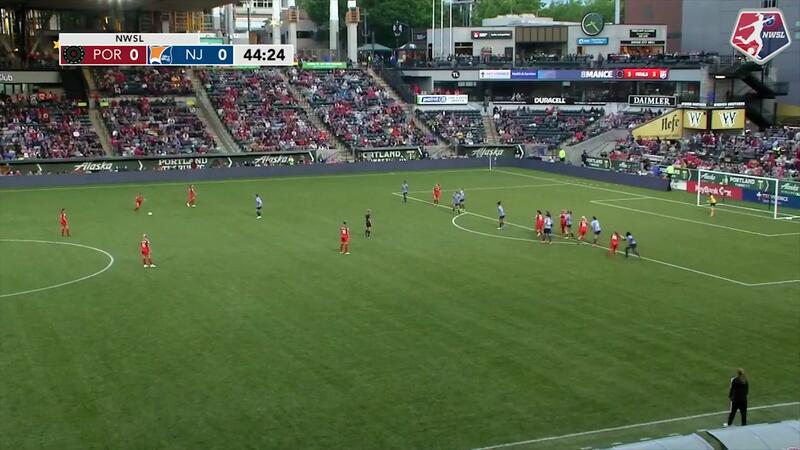 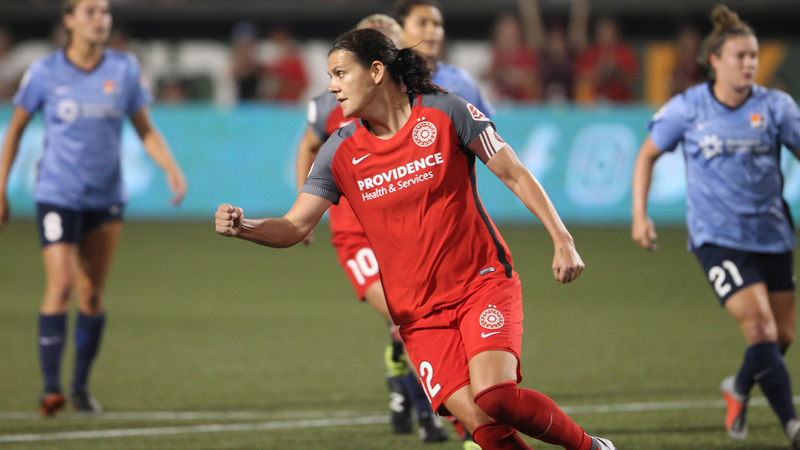 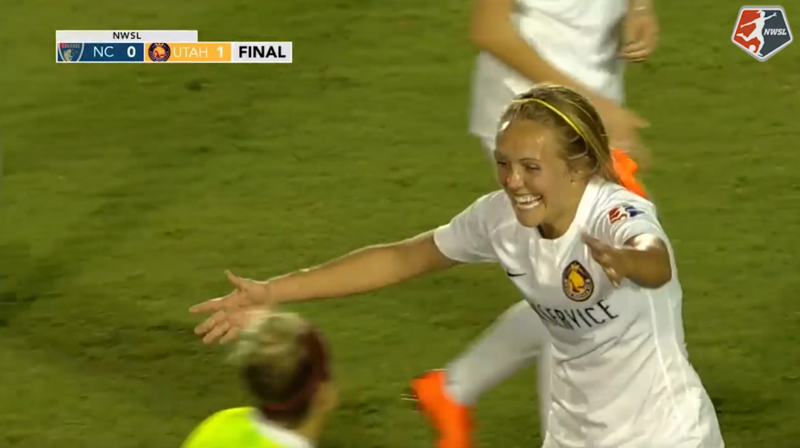 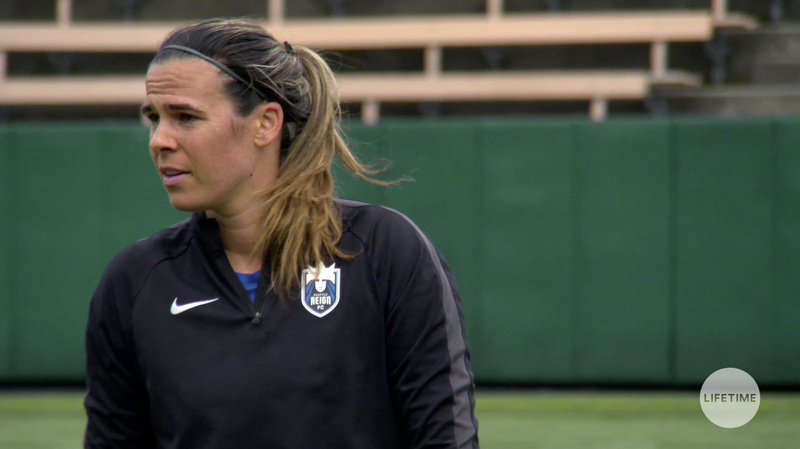 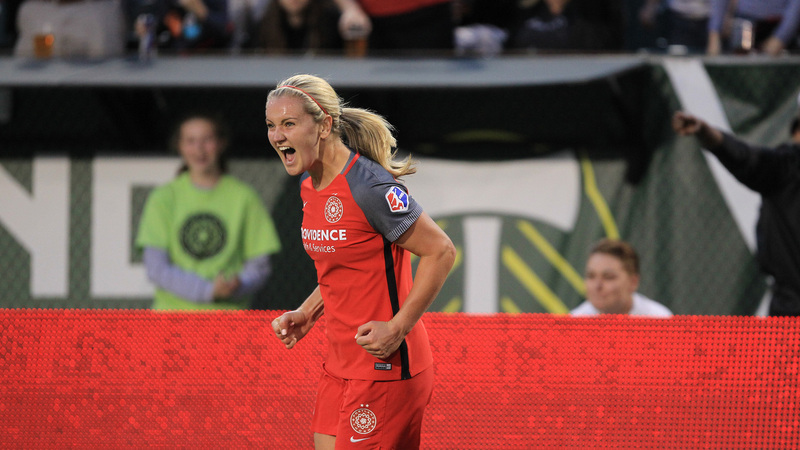 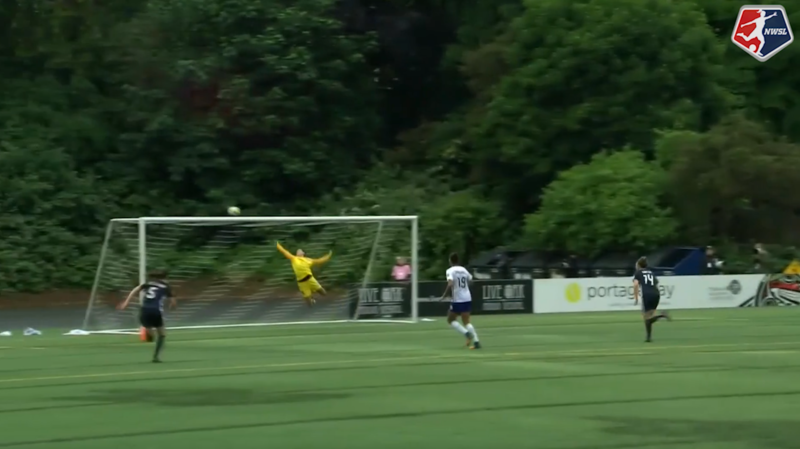 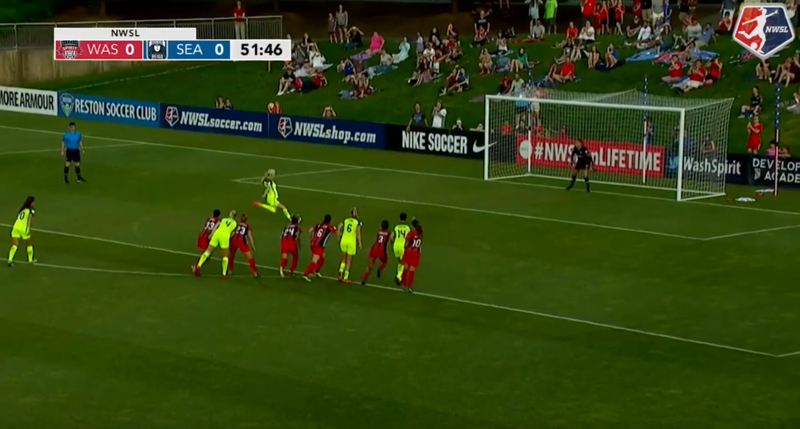 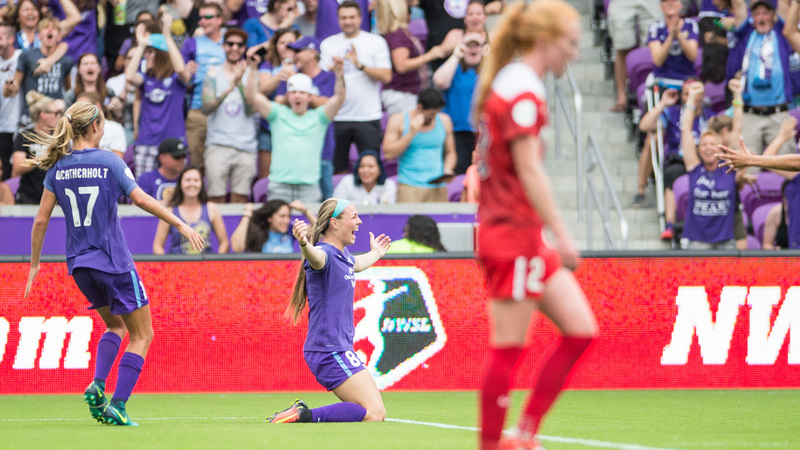 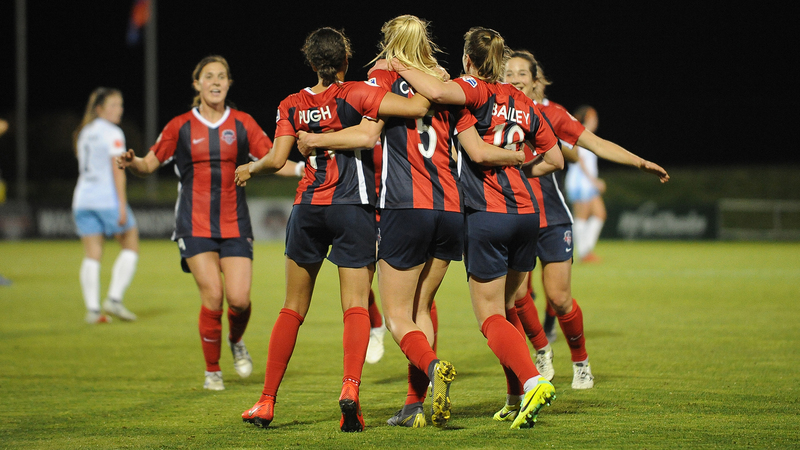 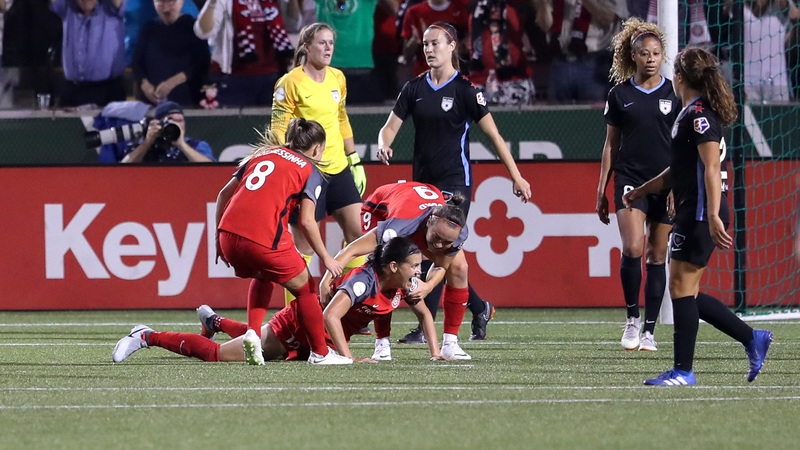 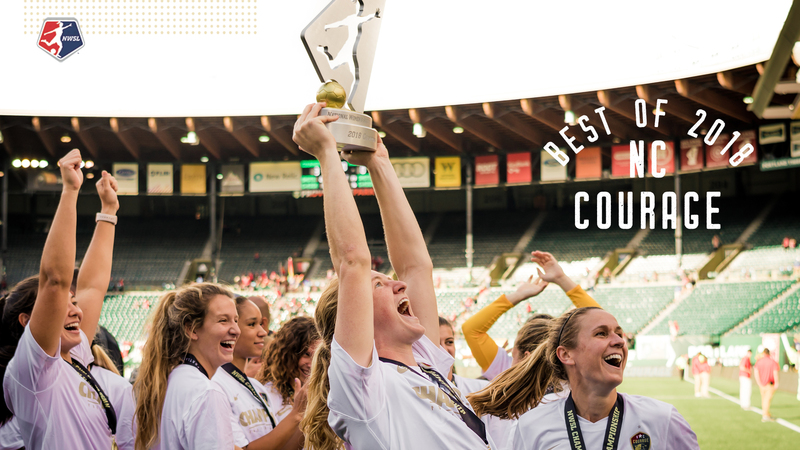 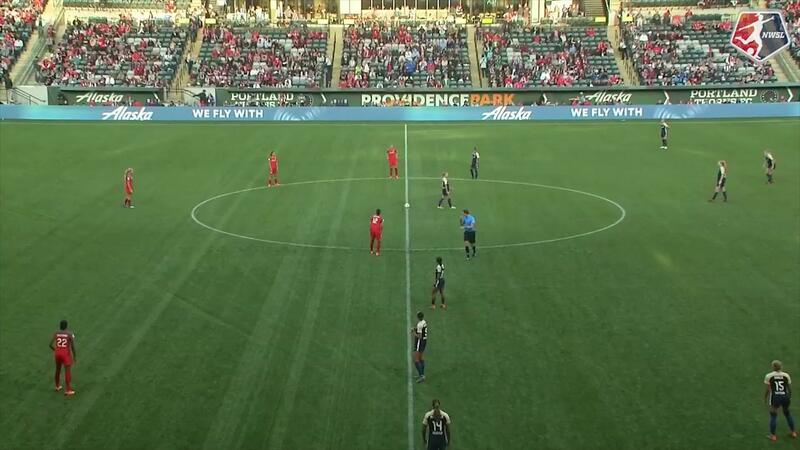 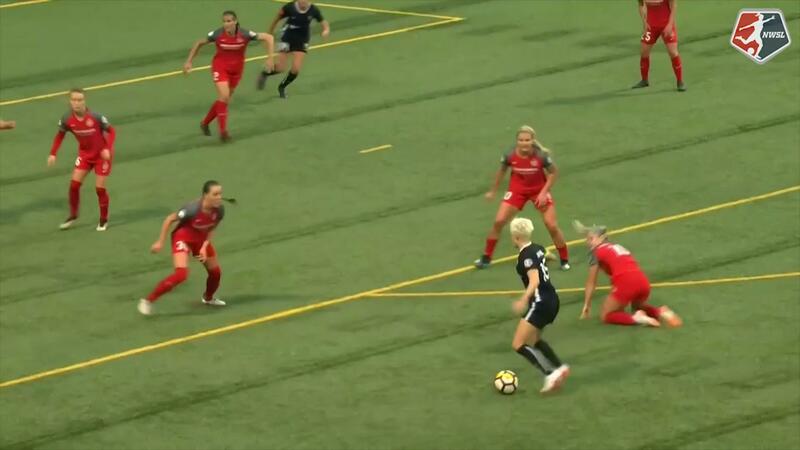 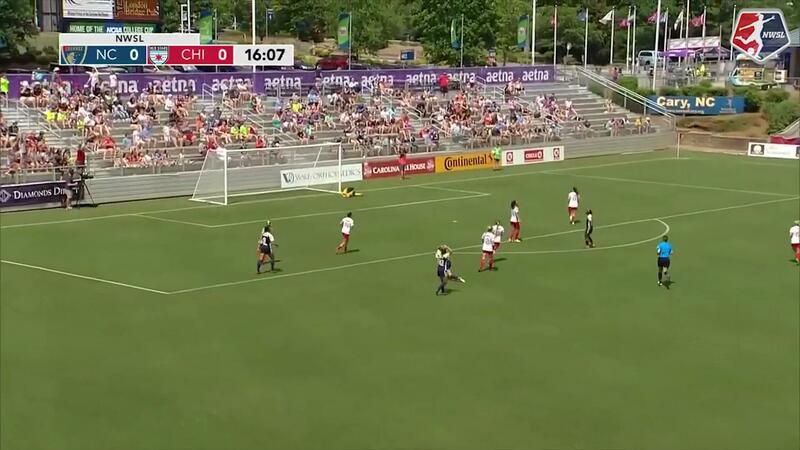 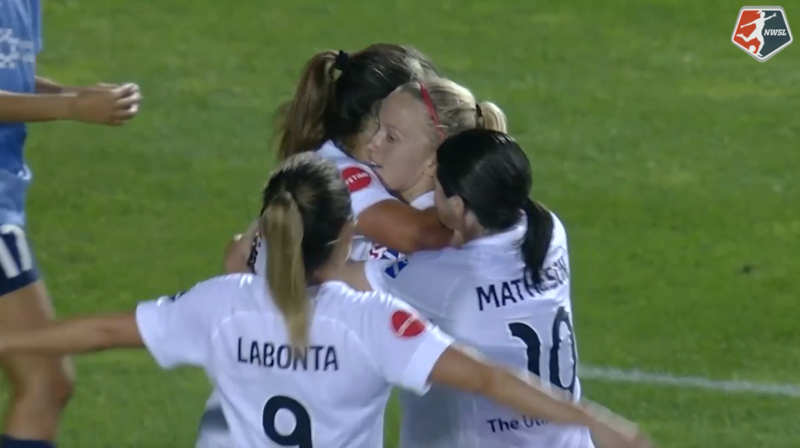 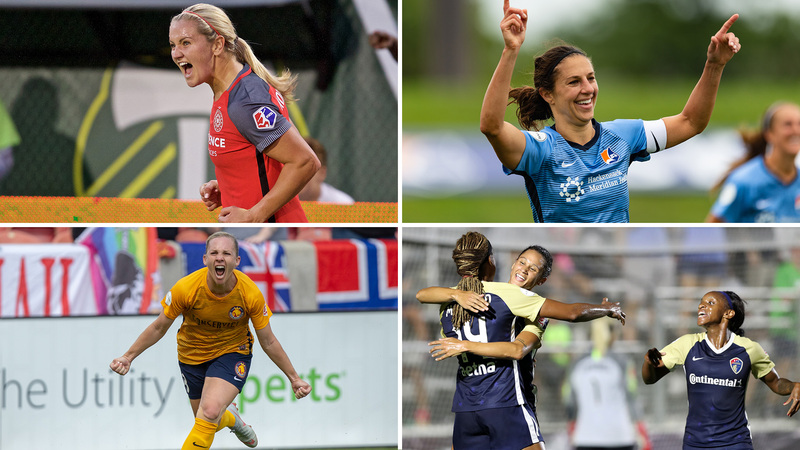 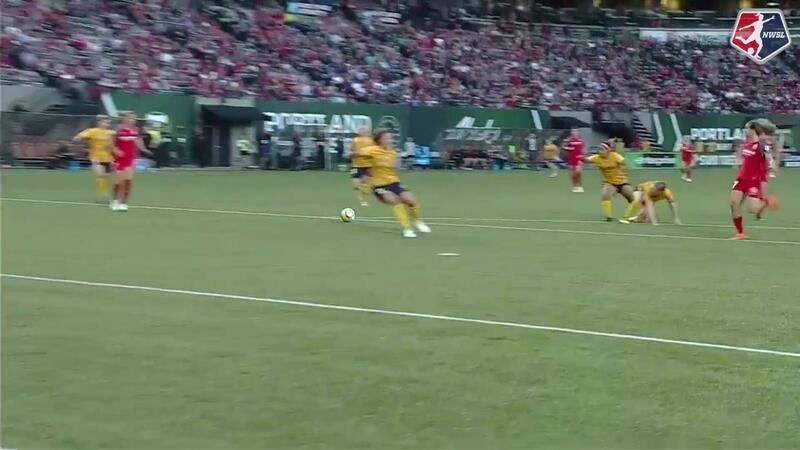 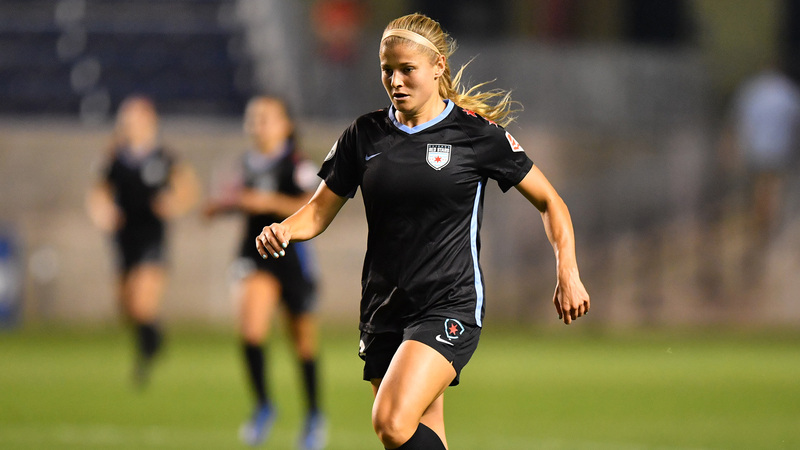 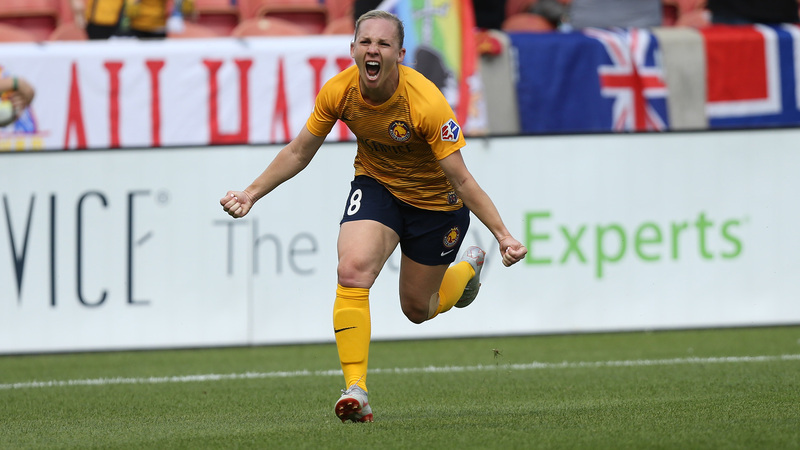 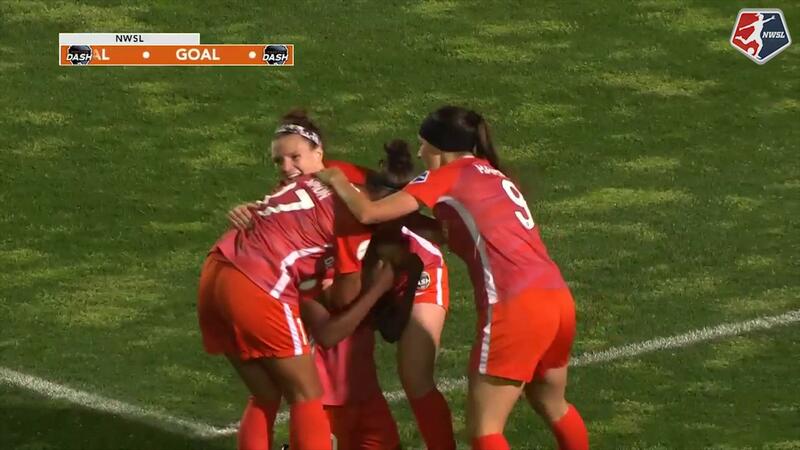 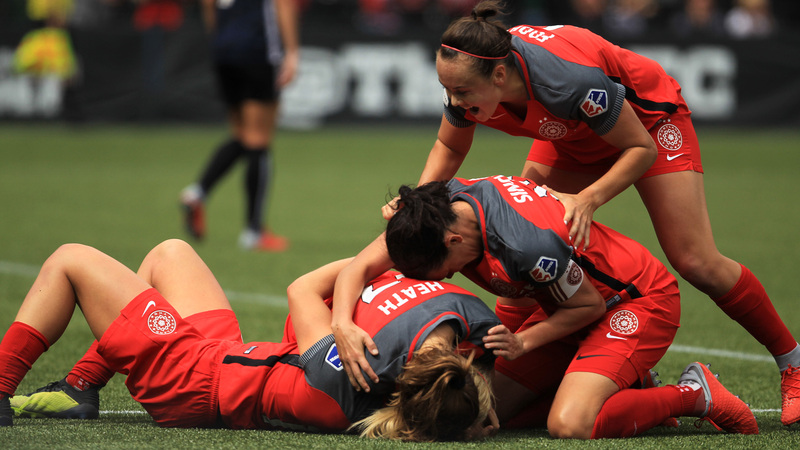 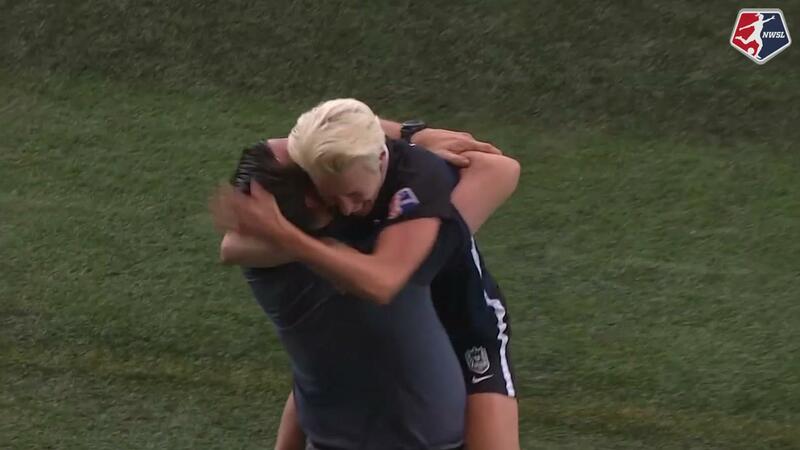 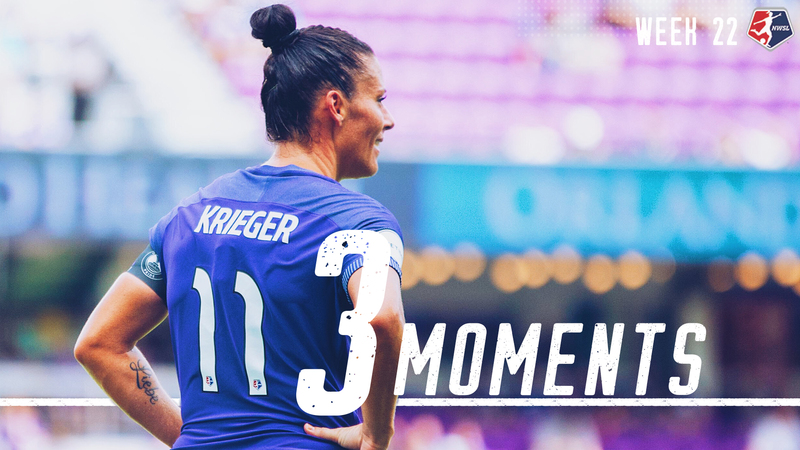 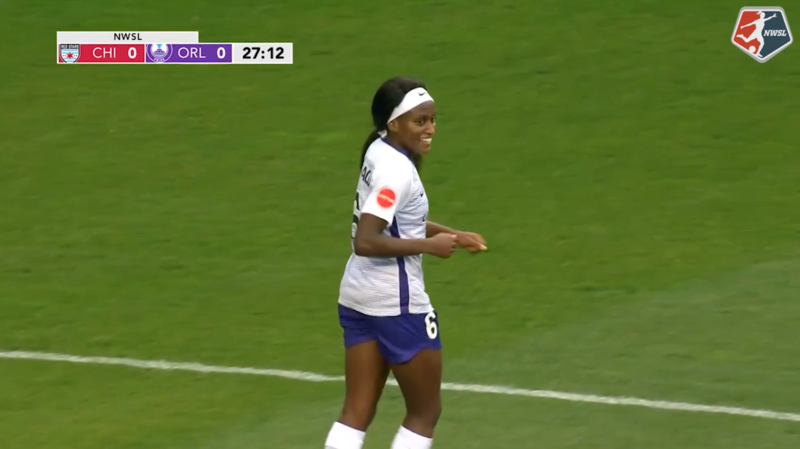 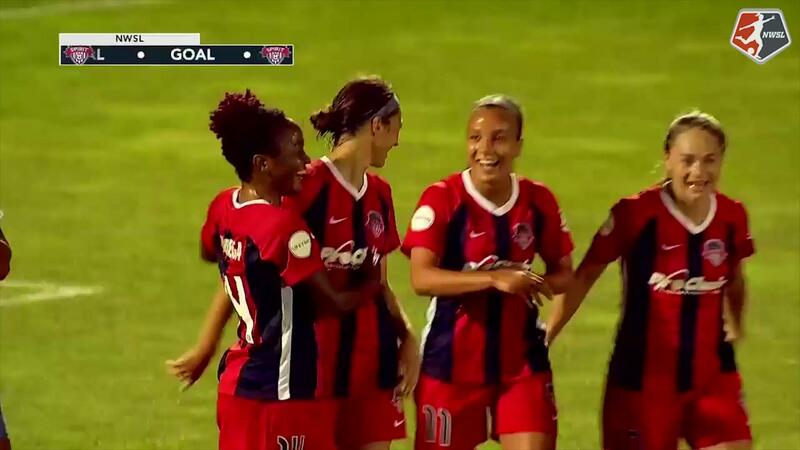 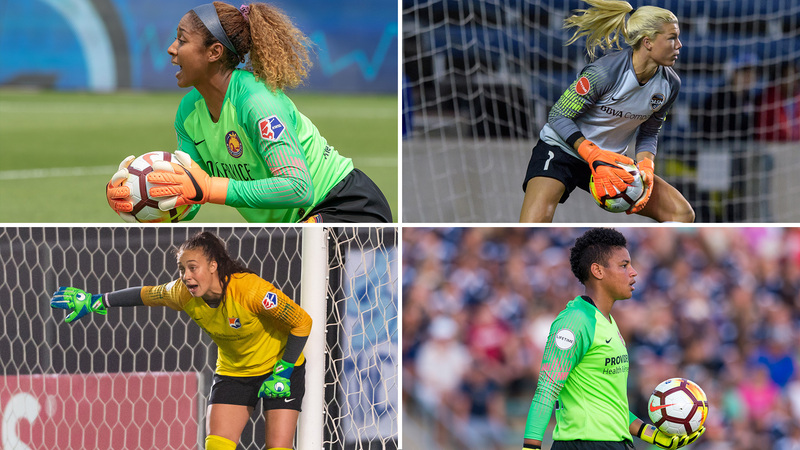 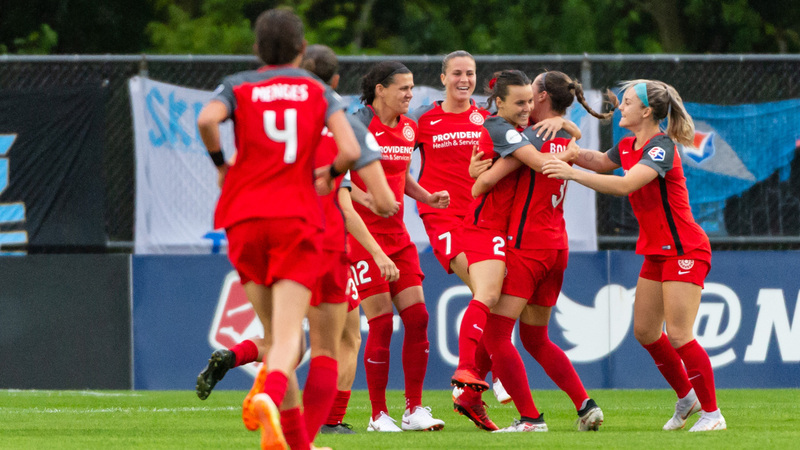 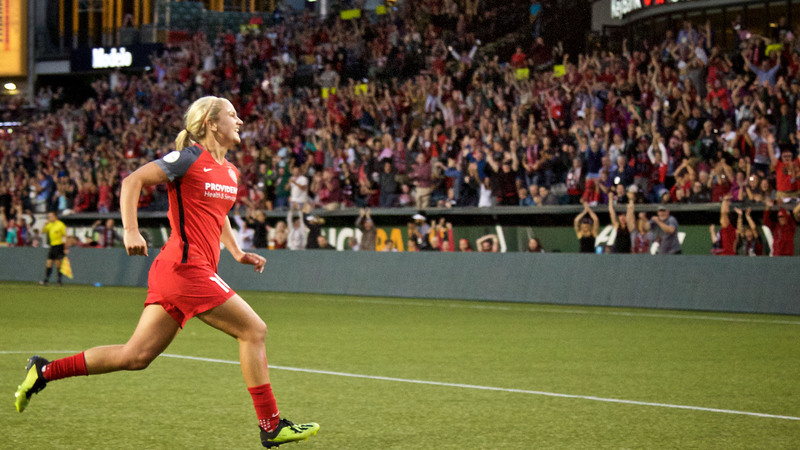 Sam Mewis, Lynn Williams, Debinha and Ashley Hatch all scored for the Courage in the win. 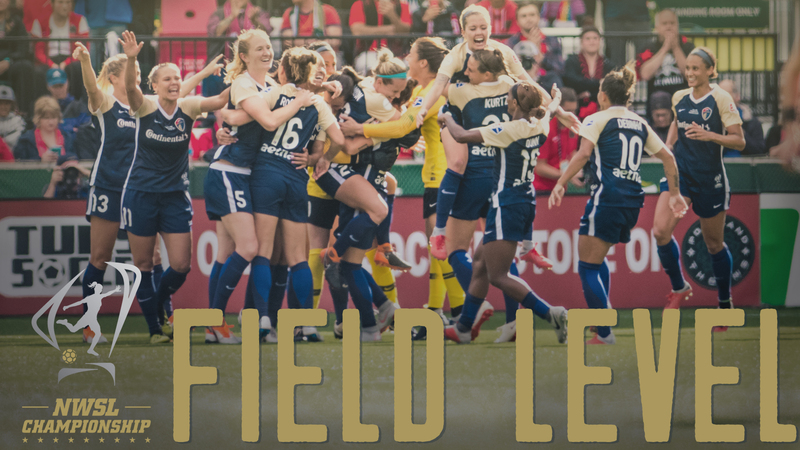 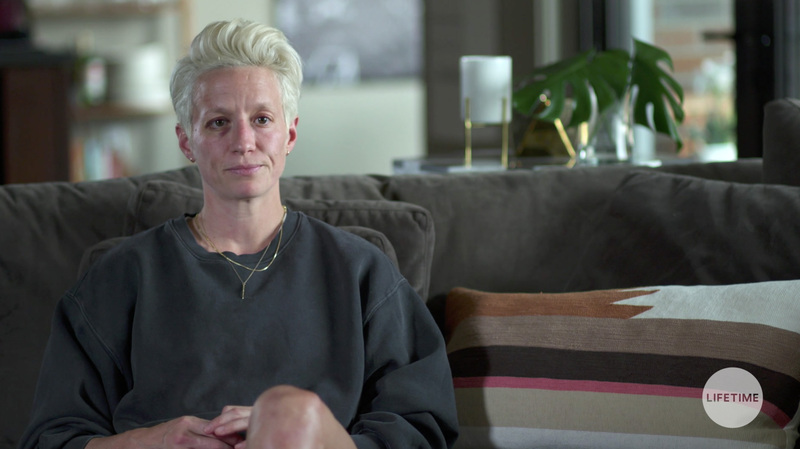 September 27, 2017.